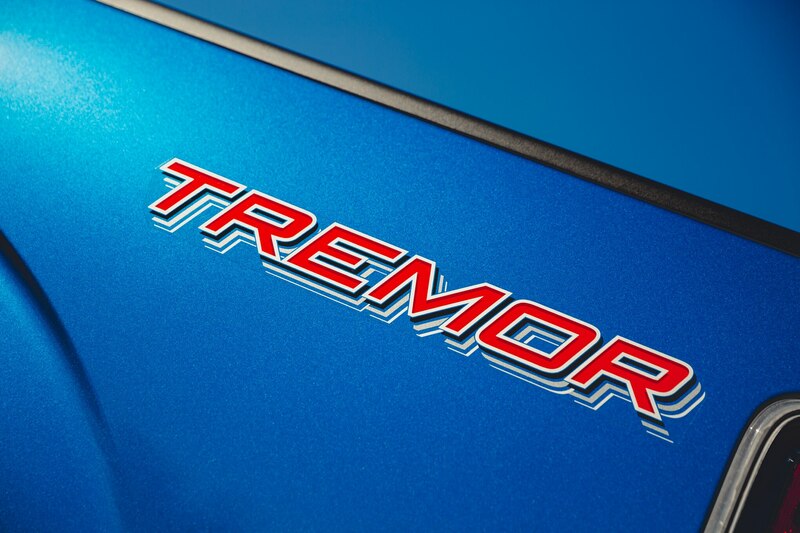 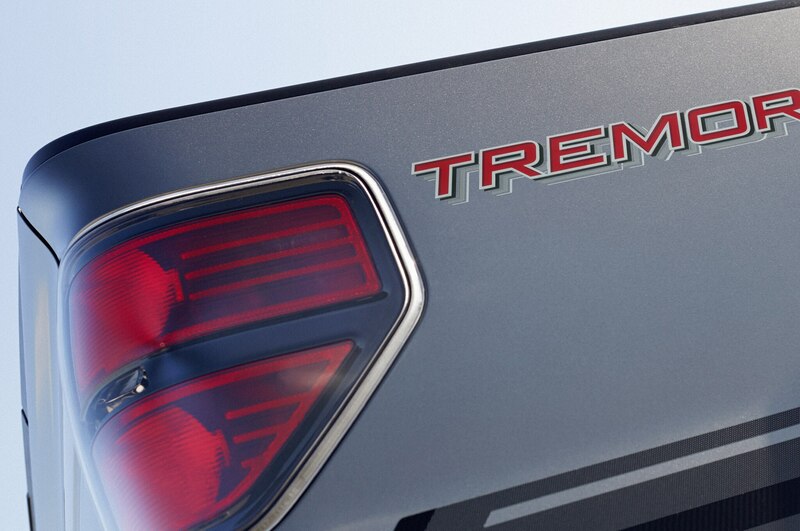 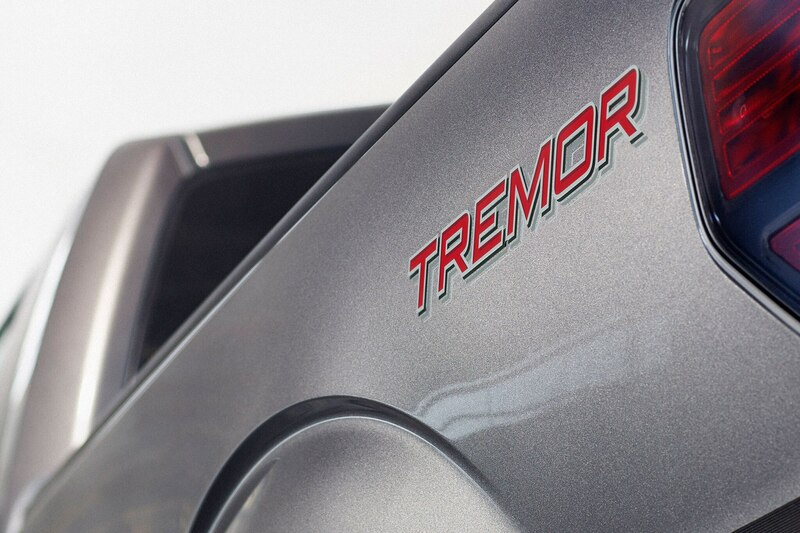 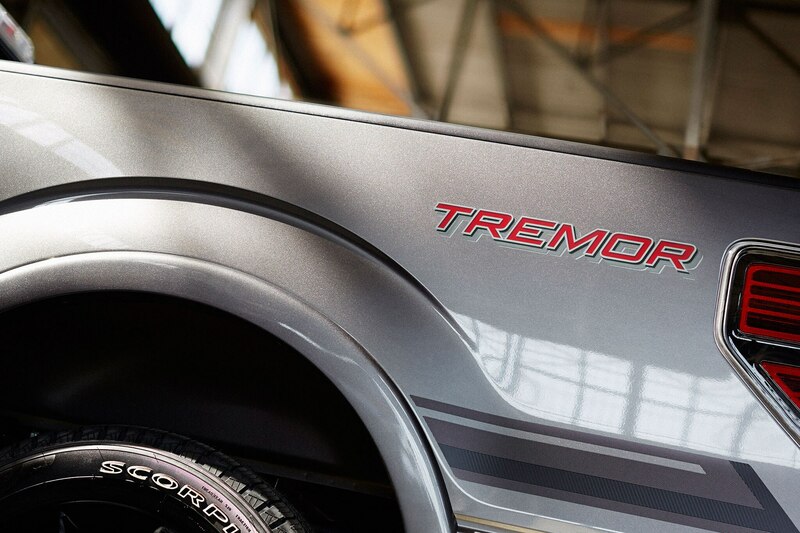 In the world of horsepower, the Hemi name still carries a lot of authority. 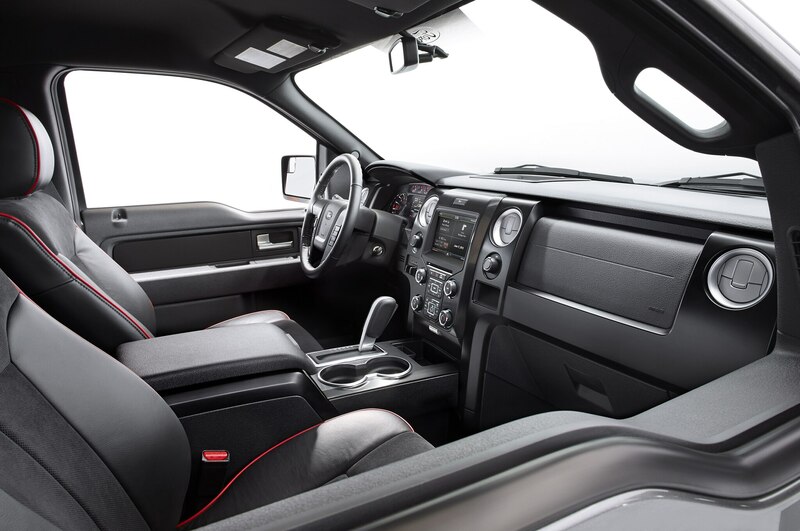 By opting for the 5.7-liter Hemi V-8 on the base Ram Tradesman (yes, it has a vinyl bench seat), you’ll walk out the door paying $25,365. 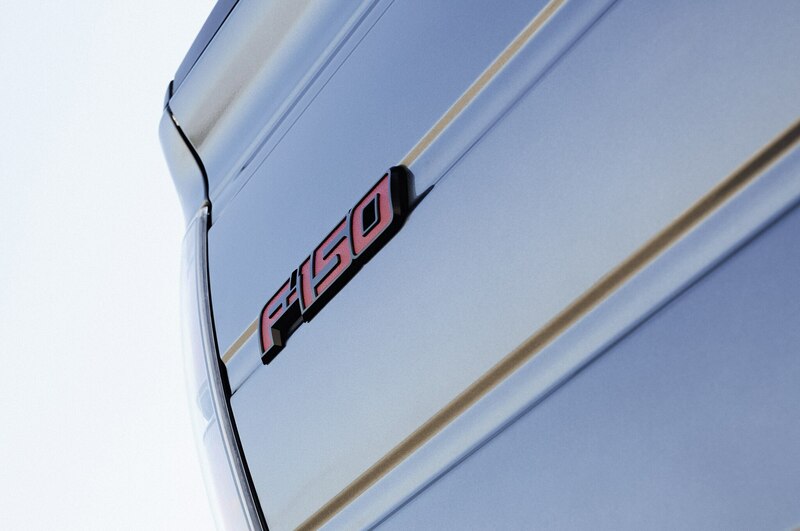 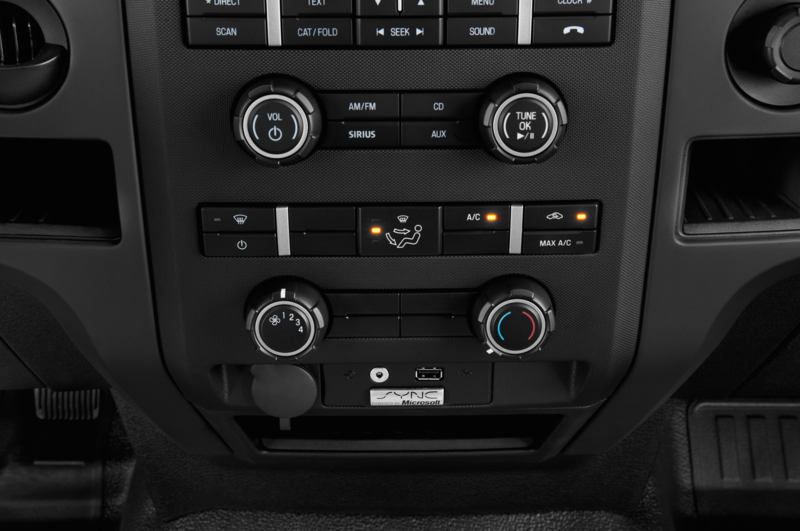 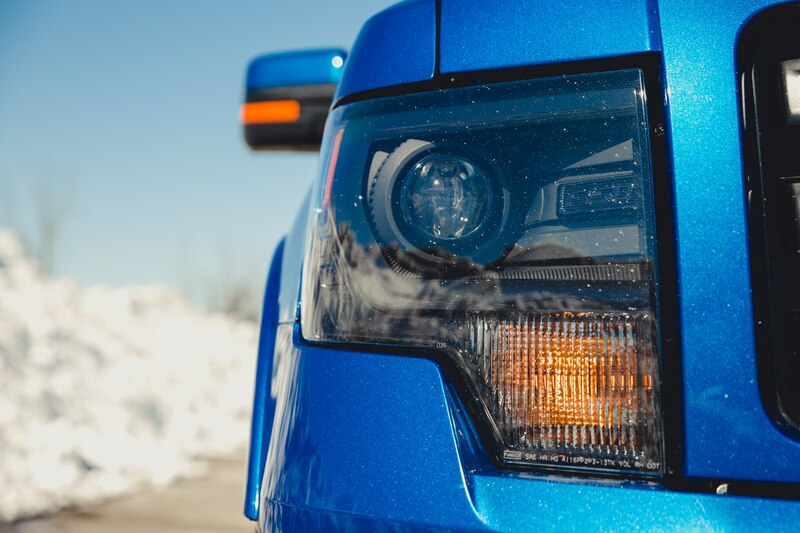 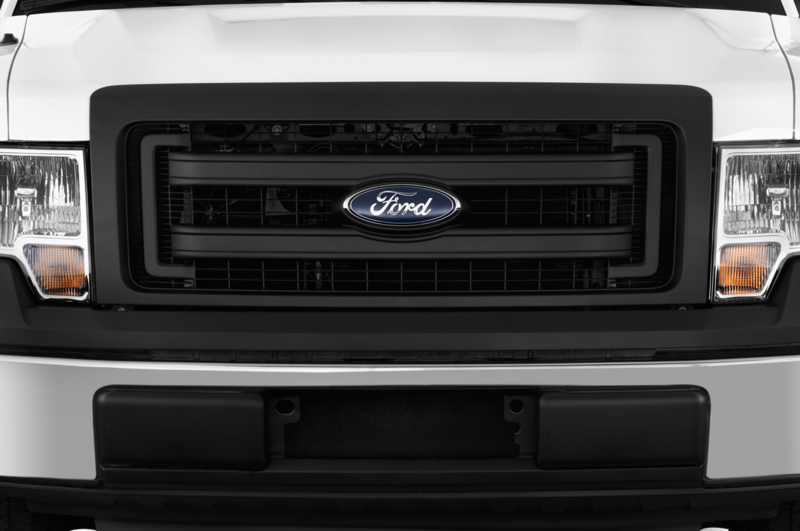 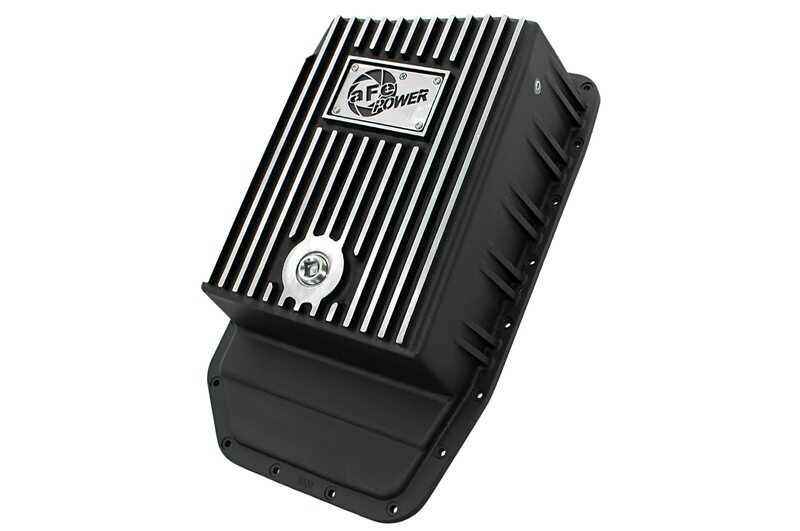 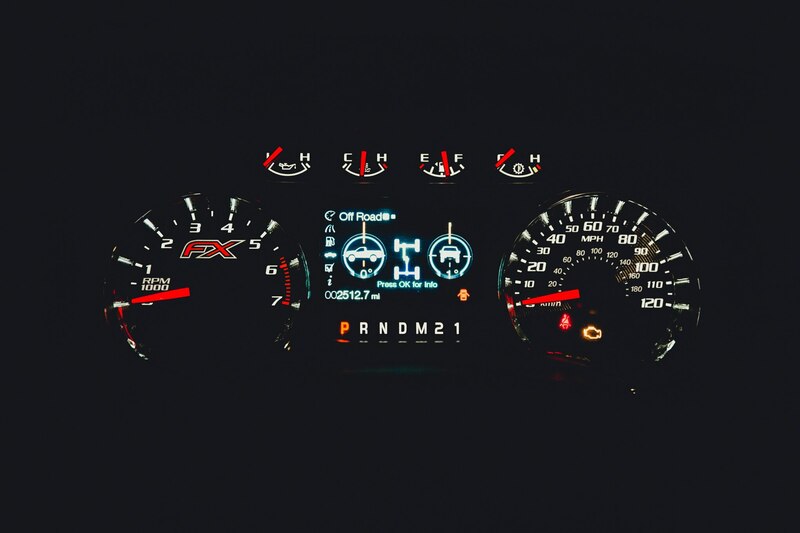 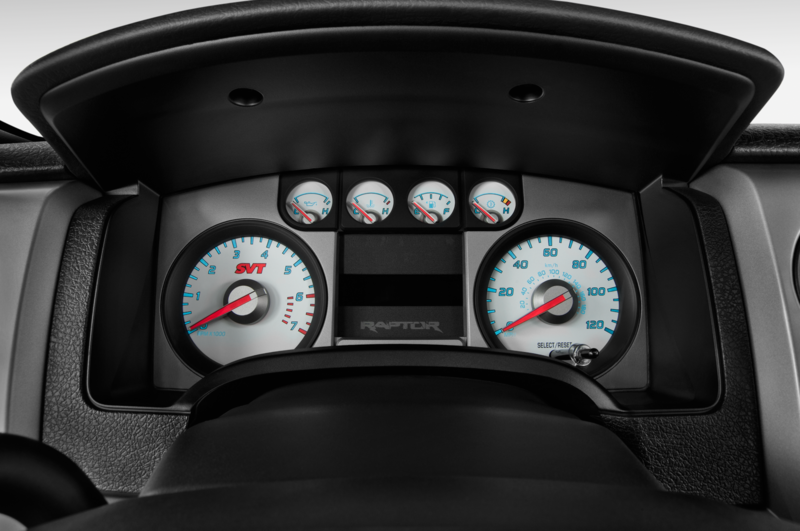 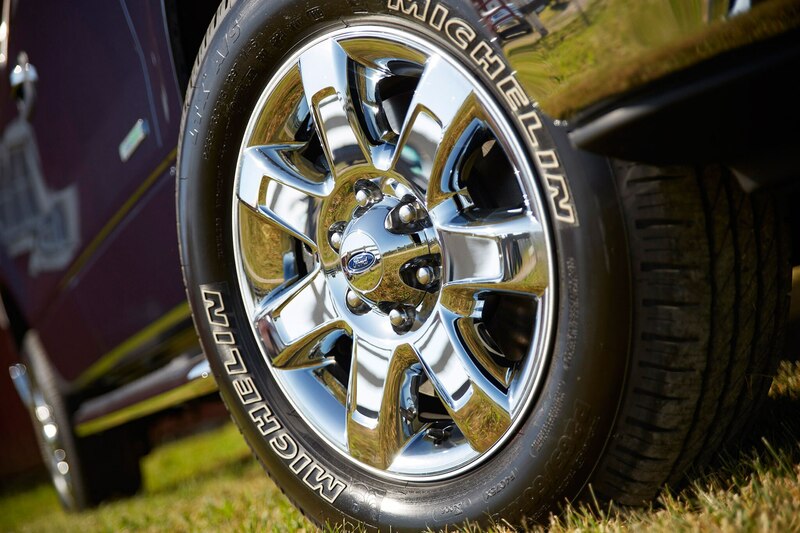 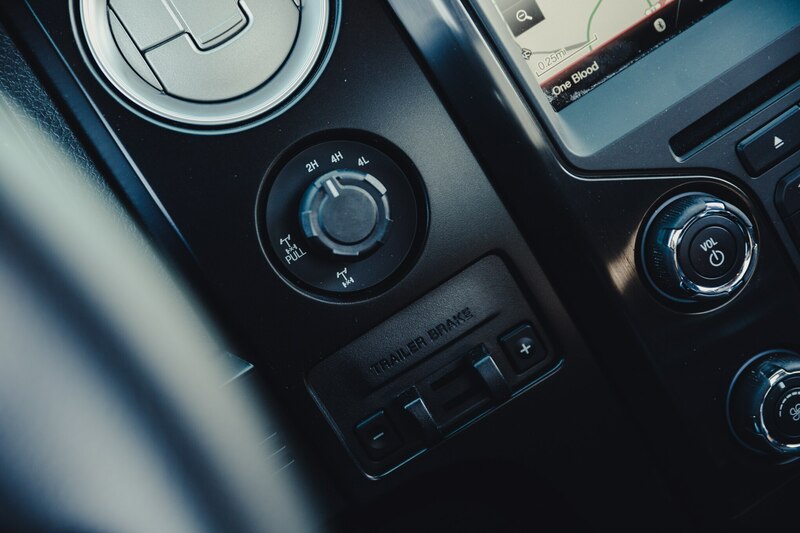 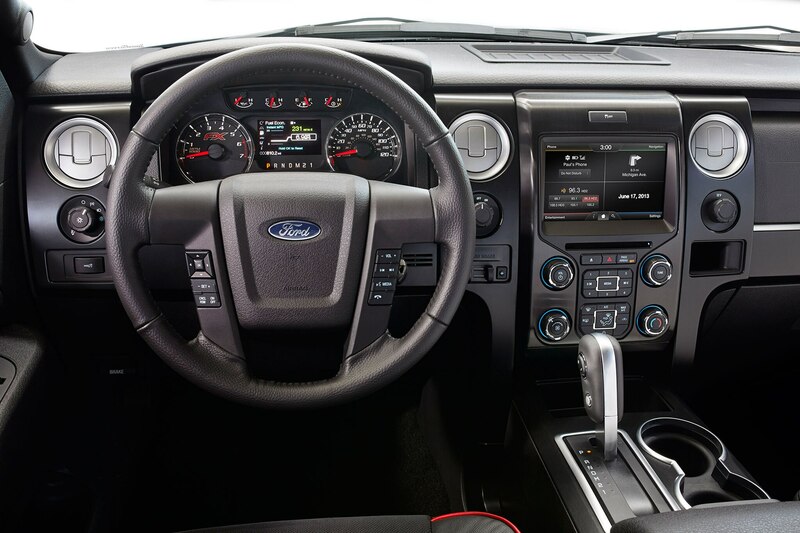 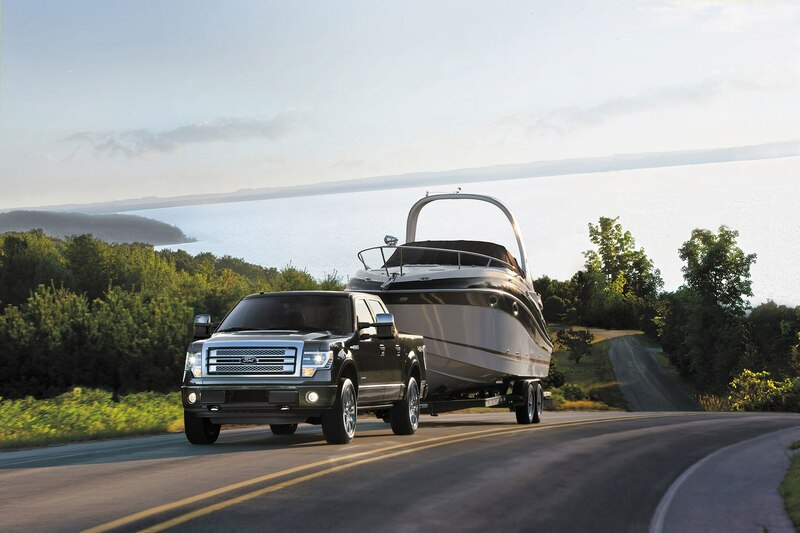 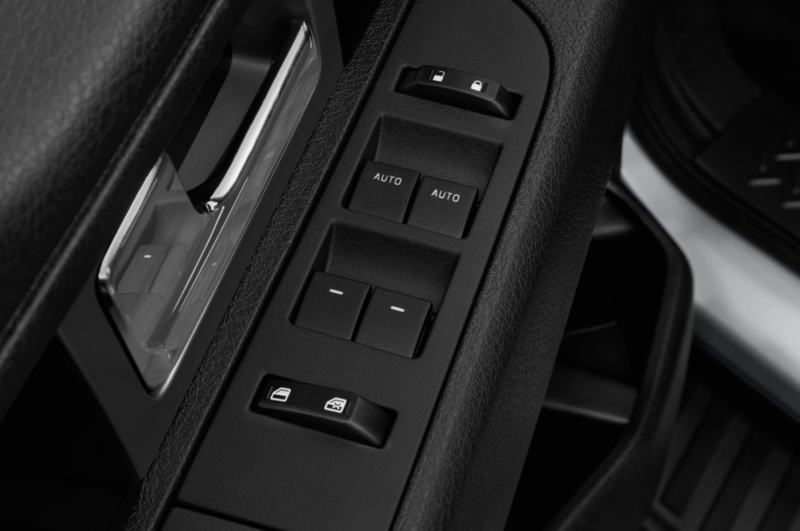 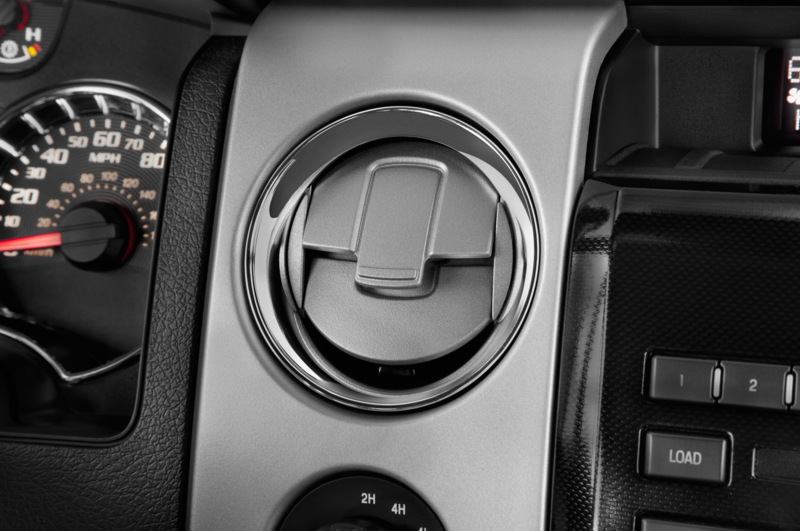 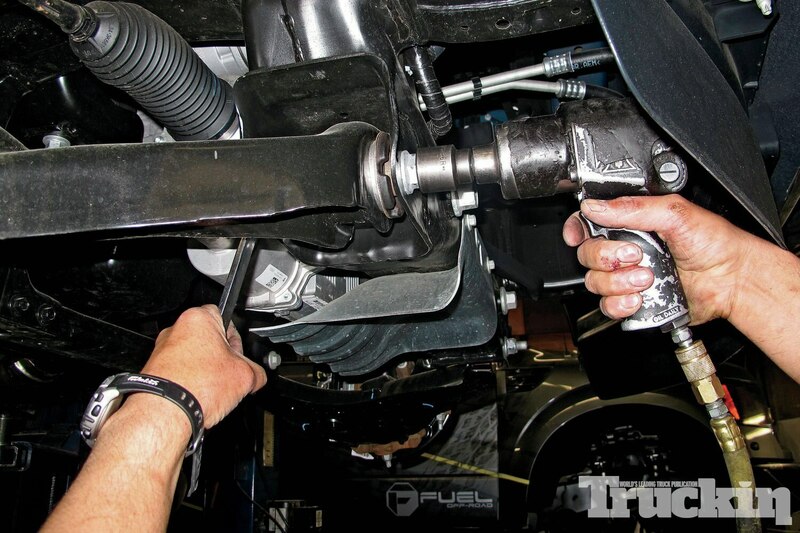 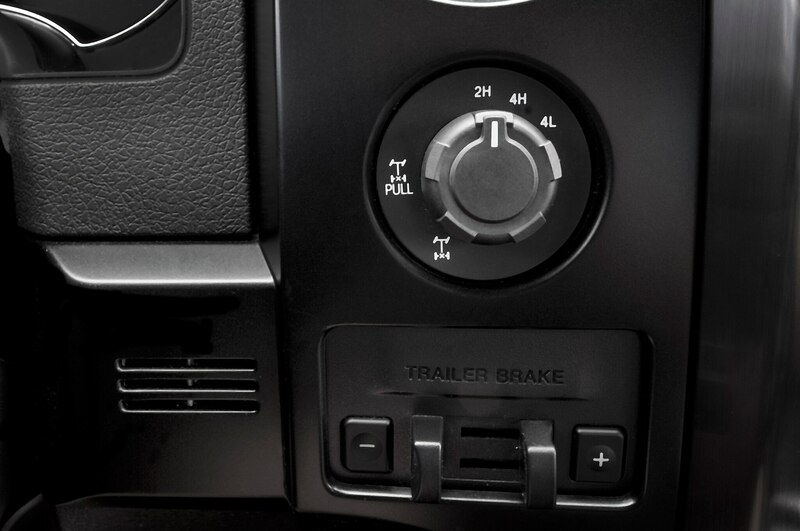 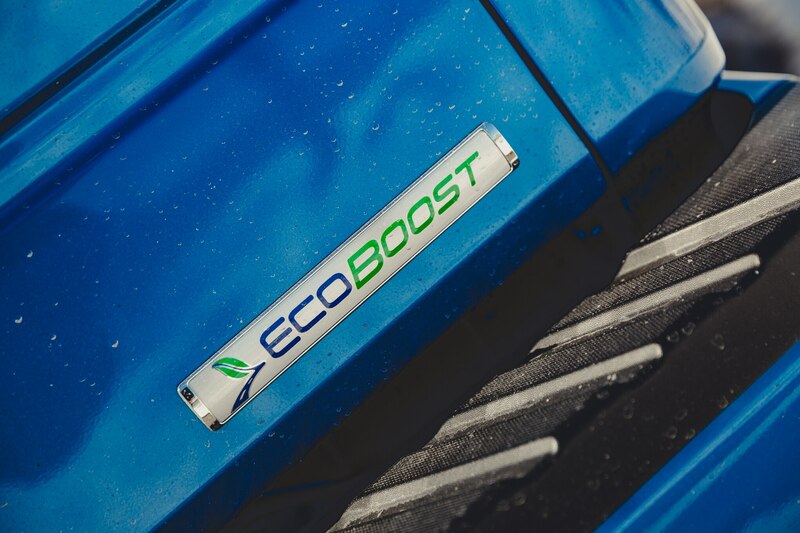 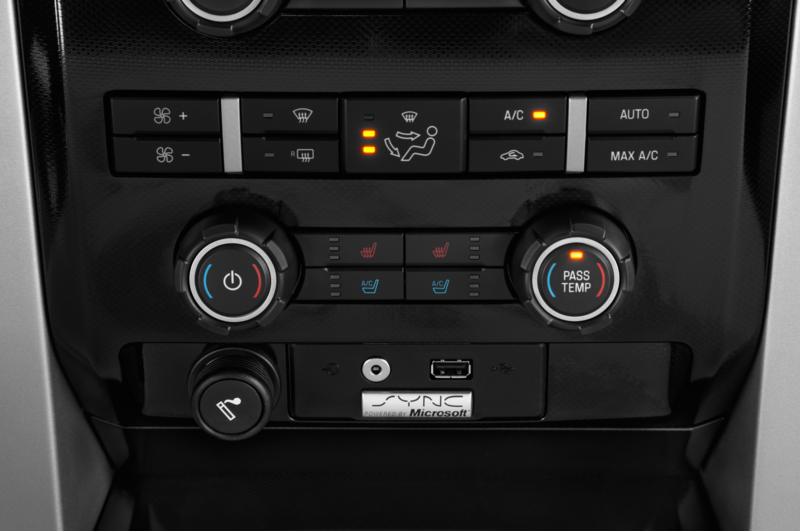 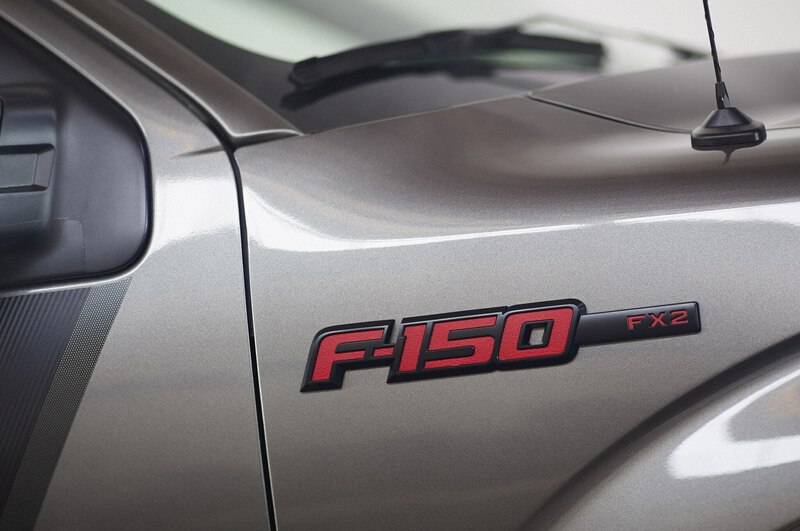 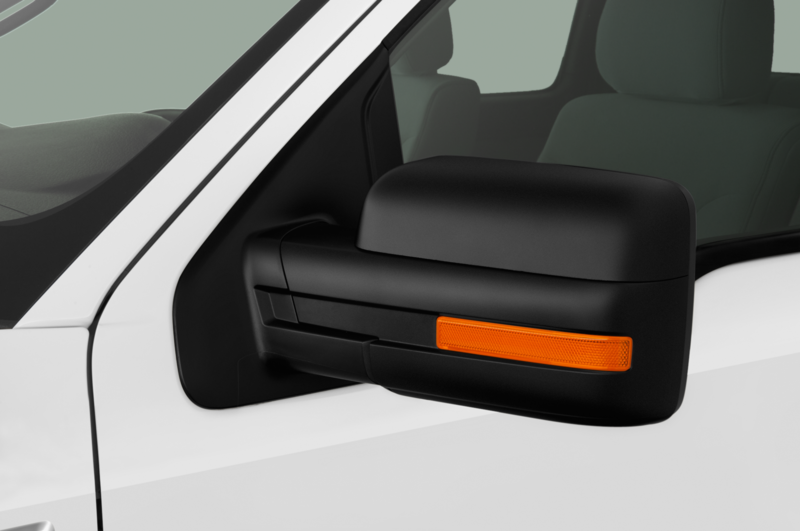 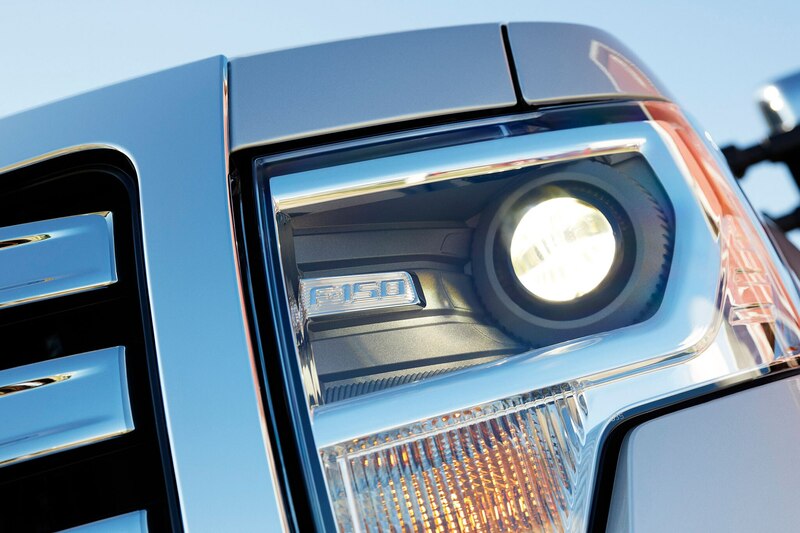 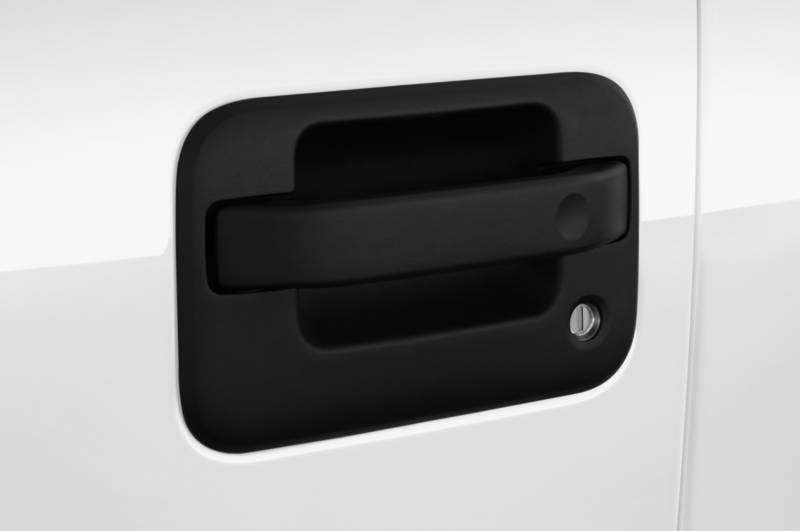 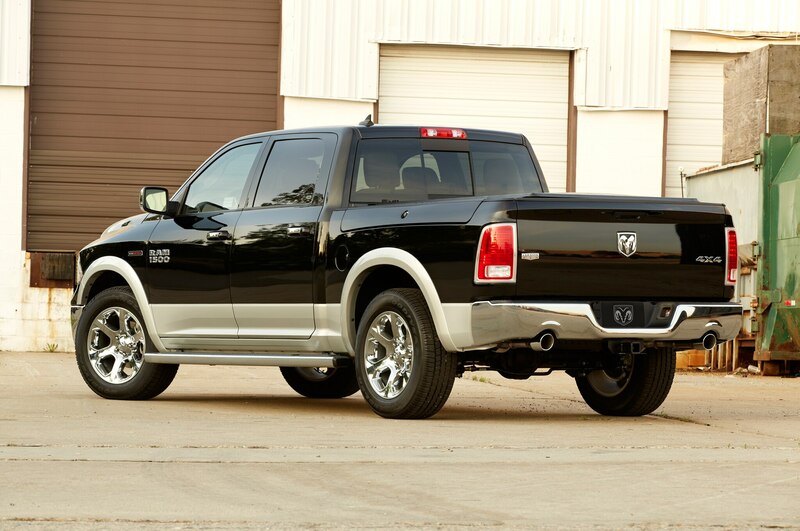 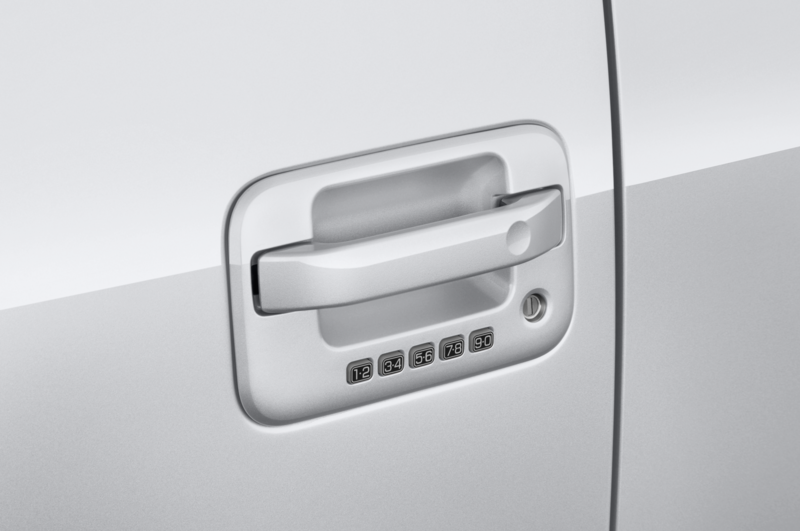 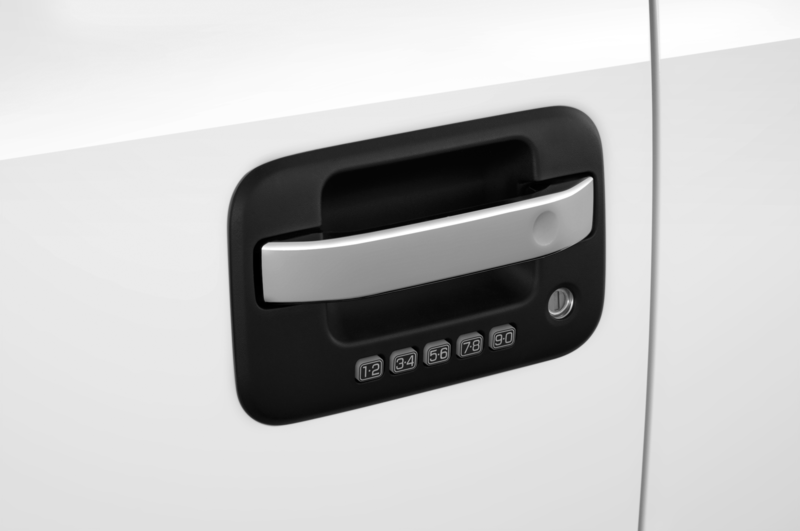 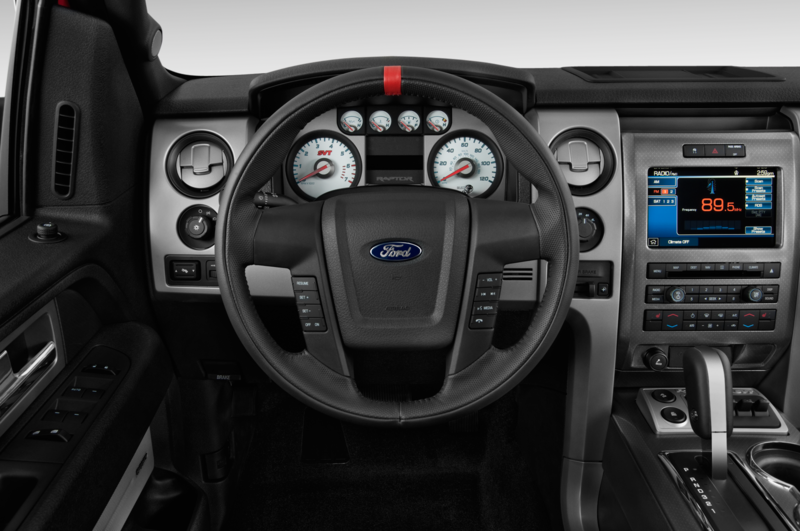 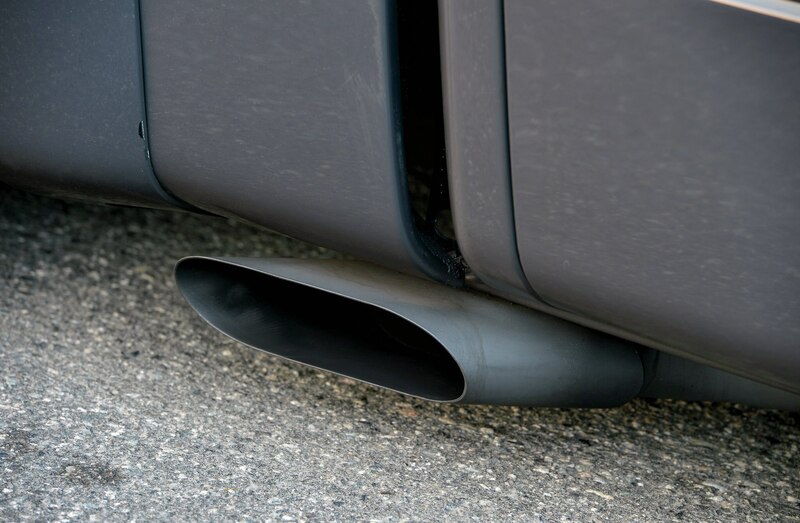 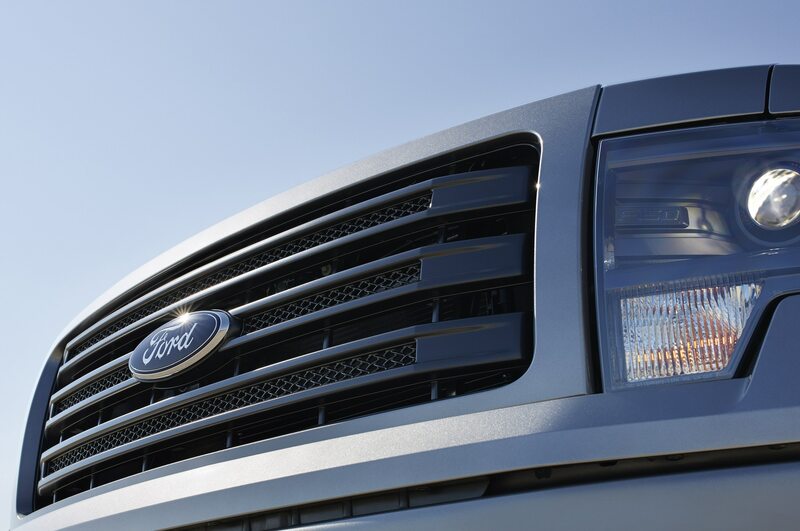 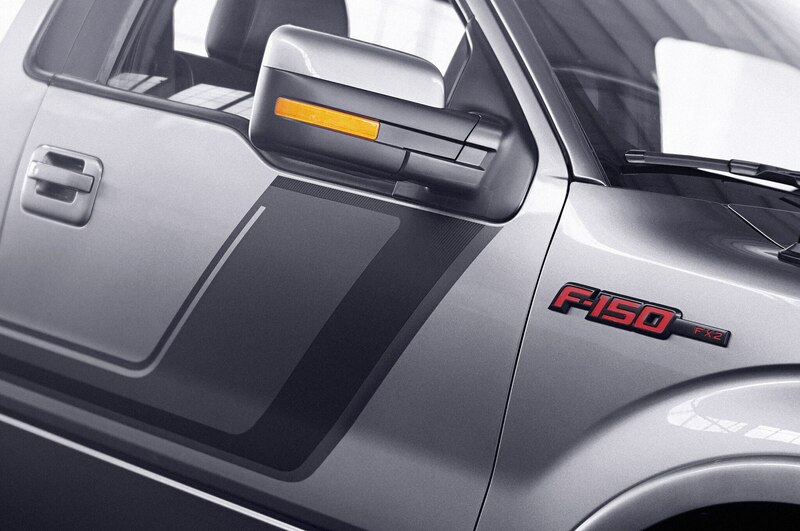 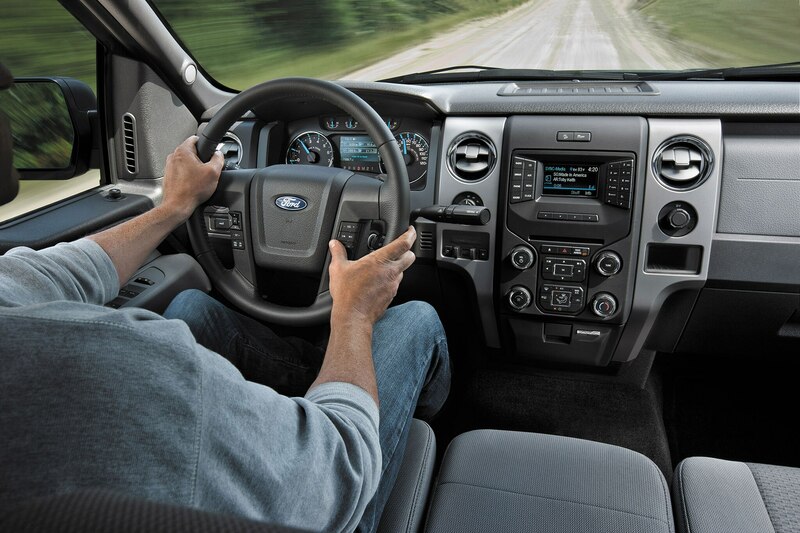 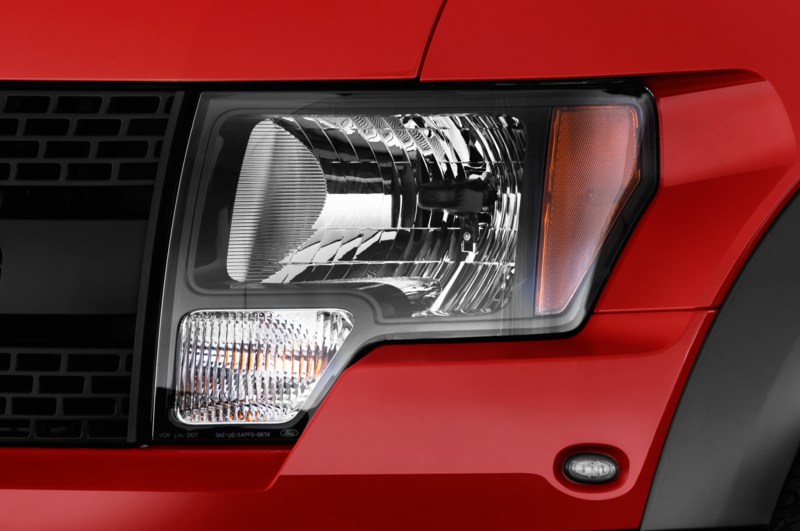 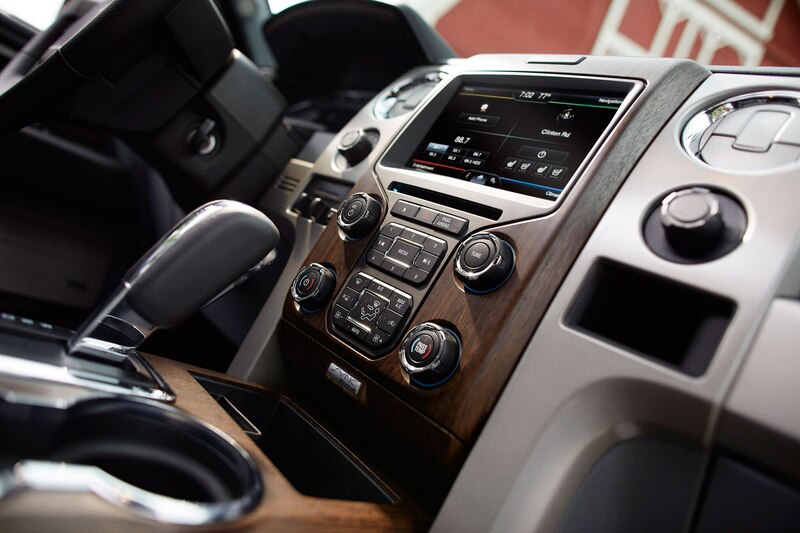 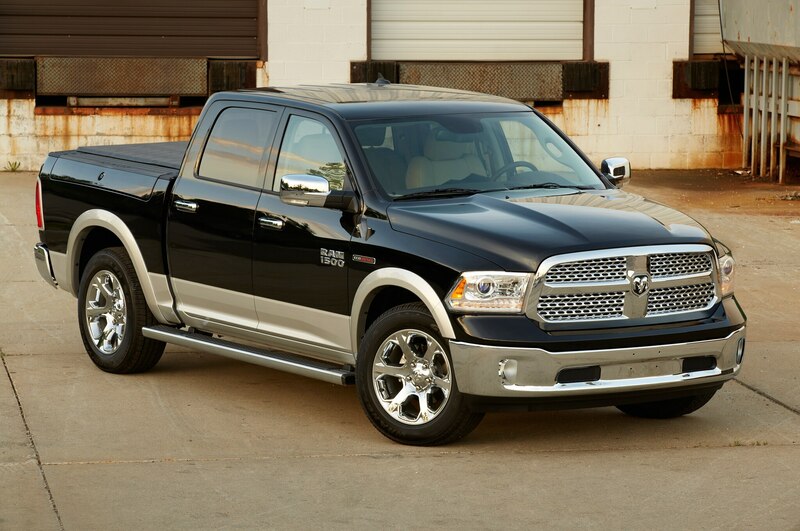 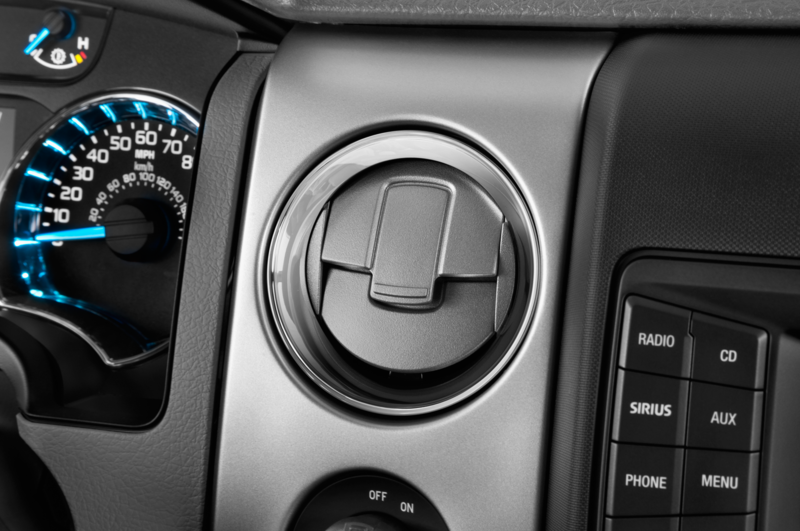 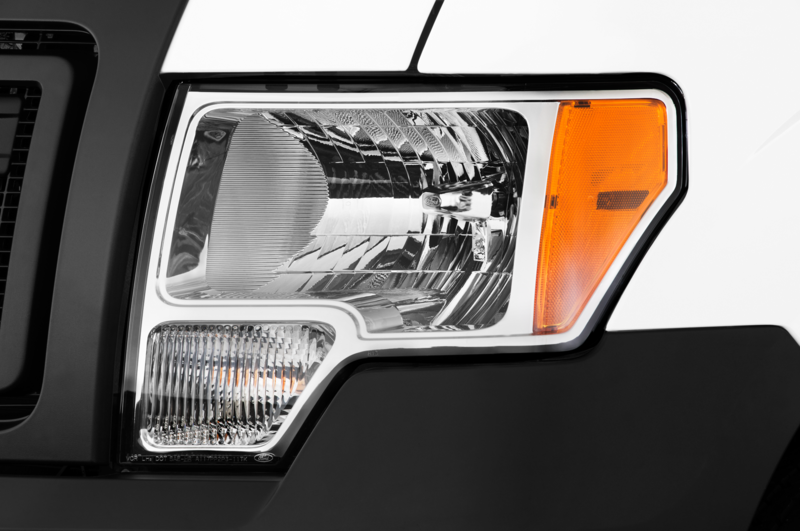 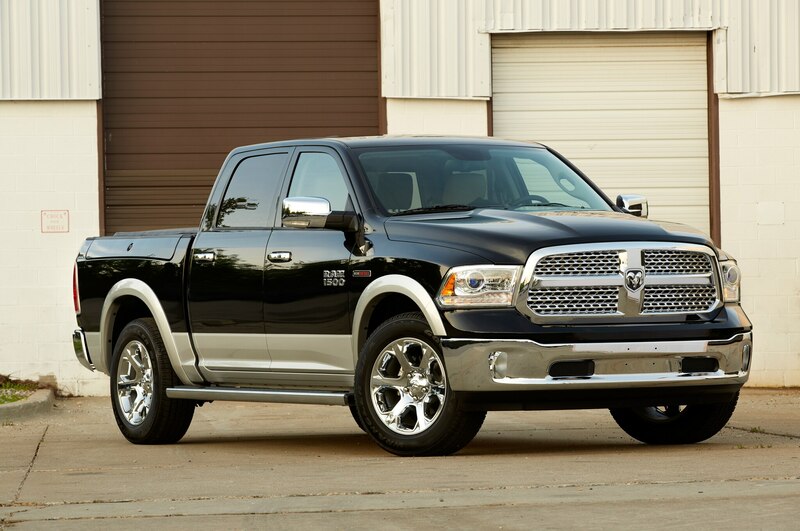 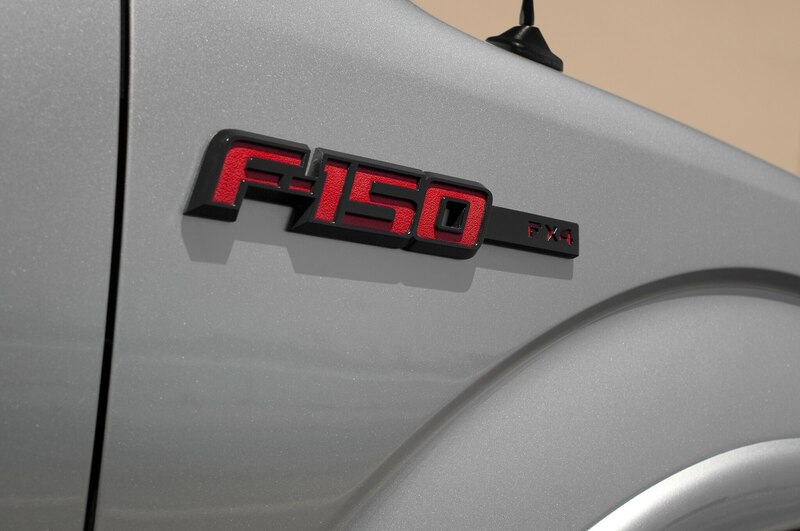 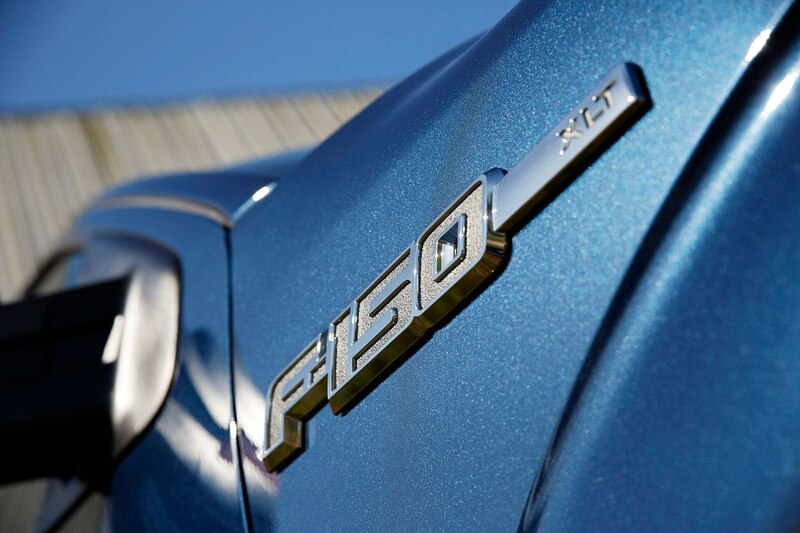 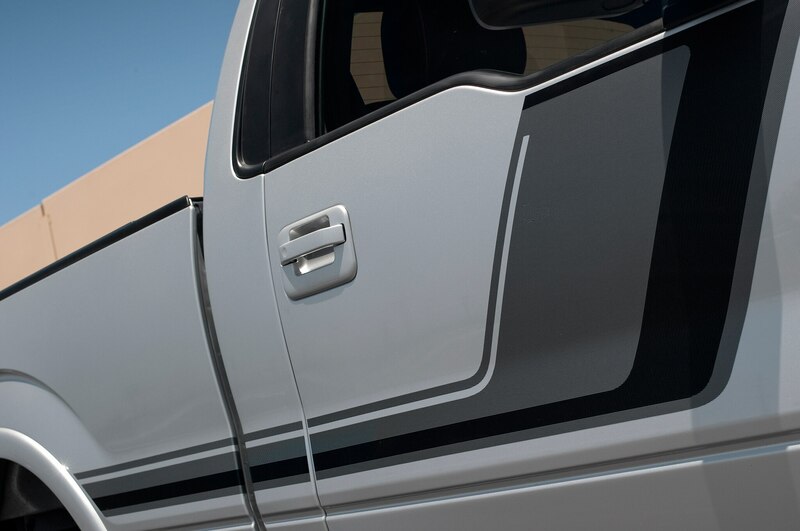 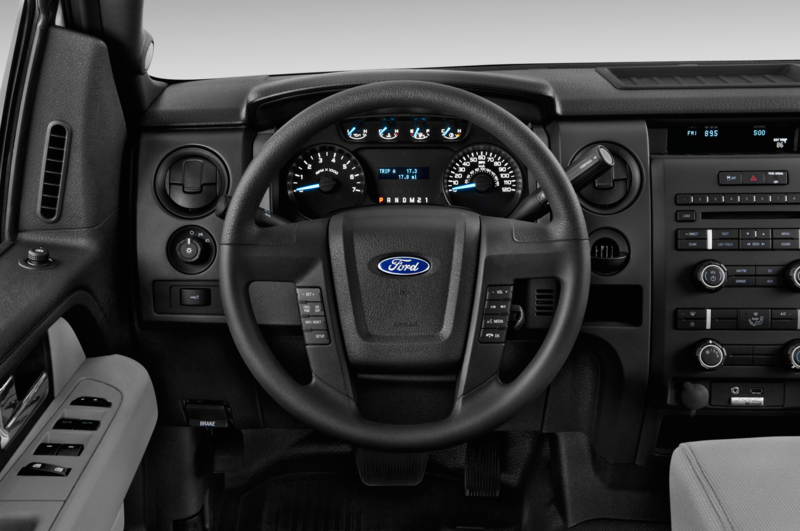 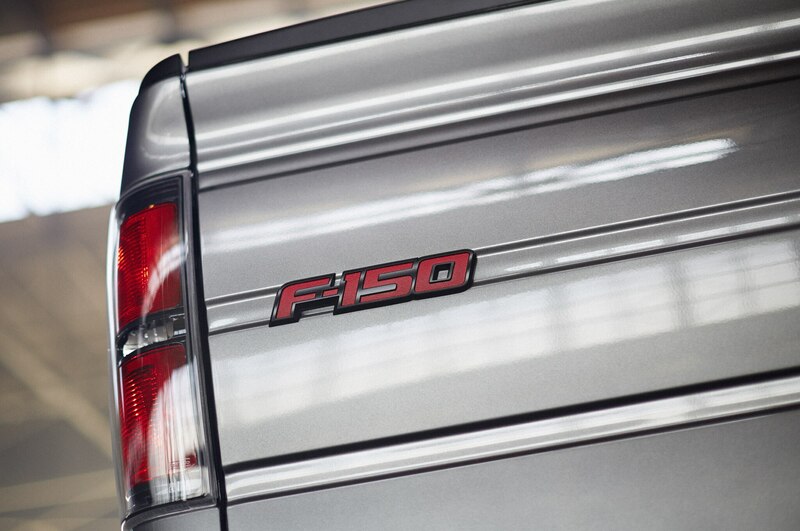 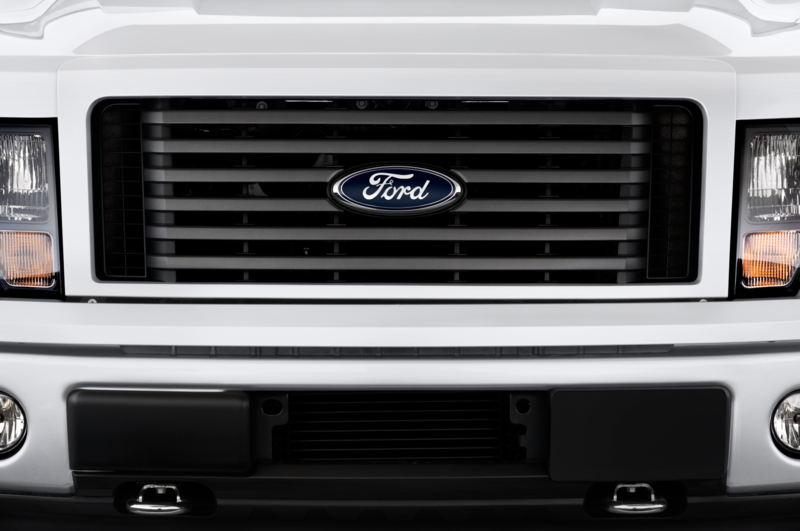 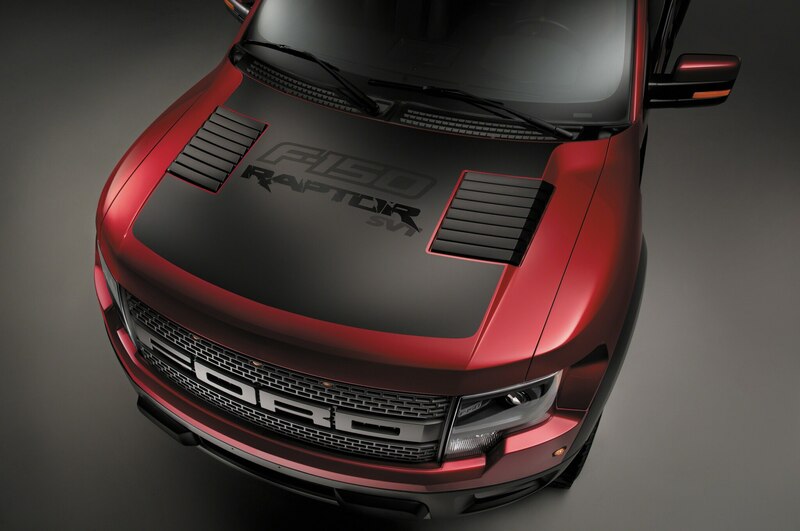 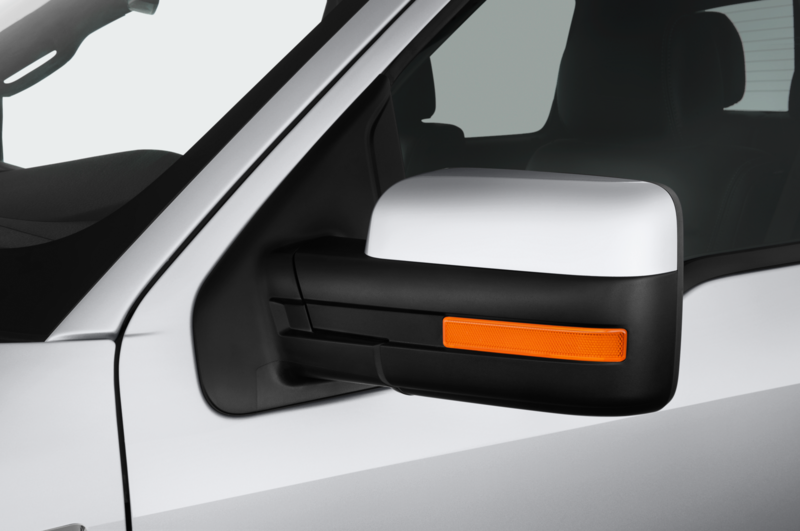 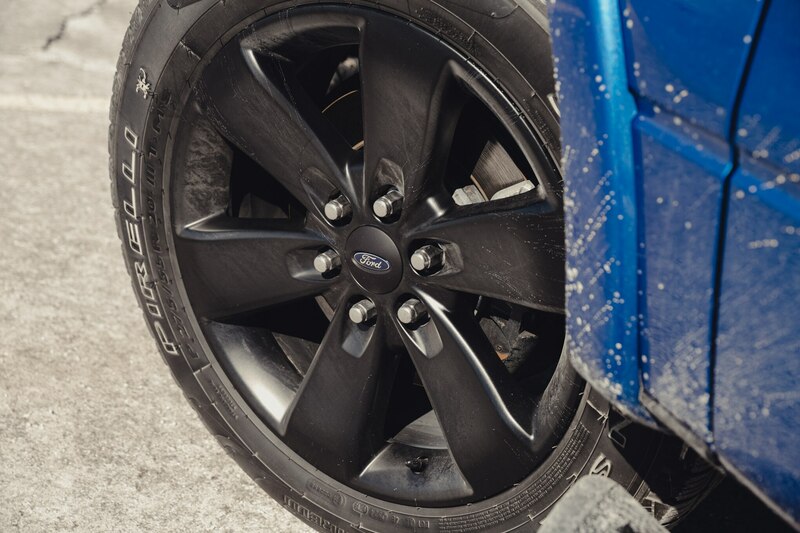 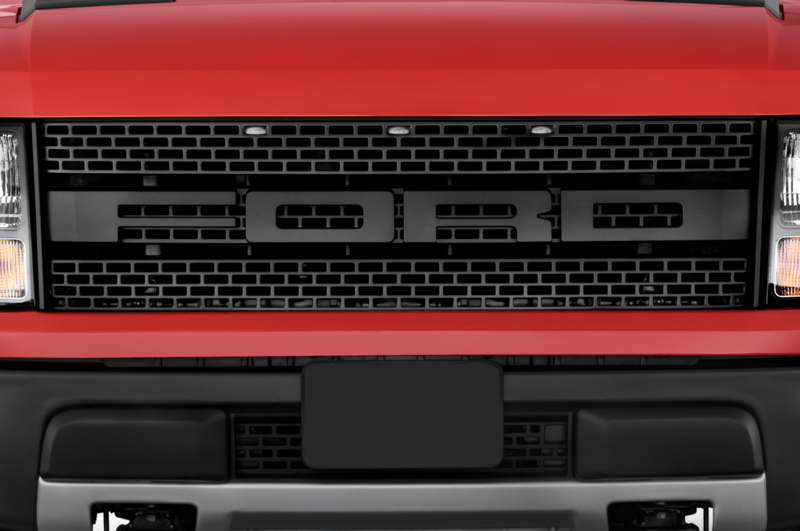 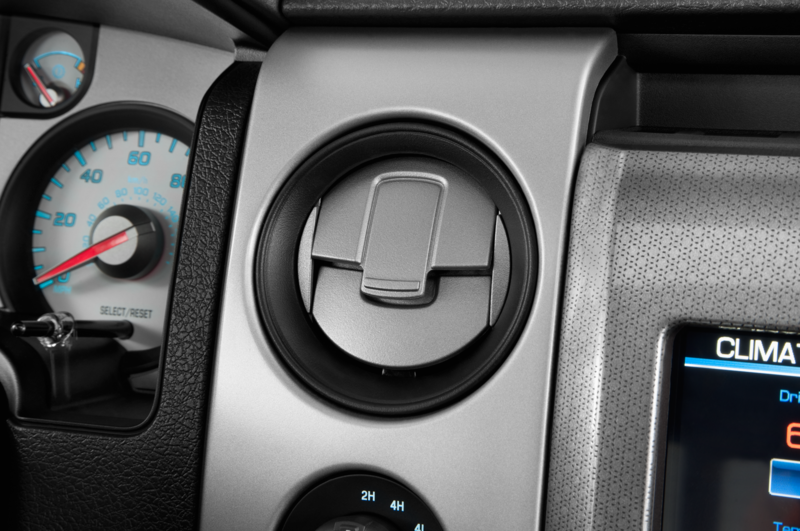 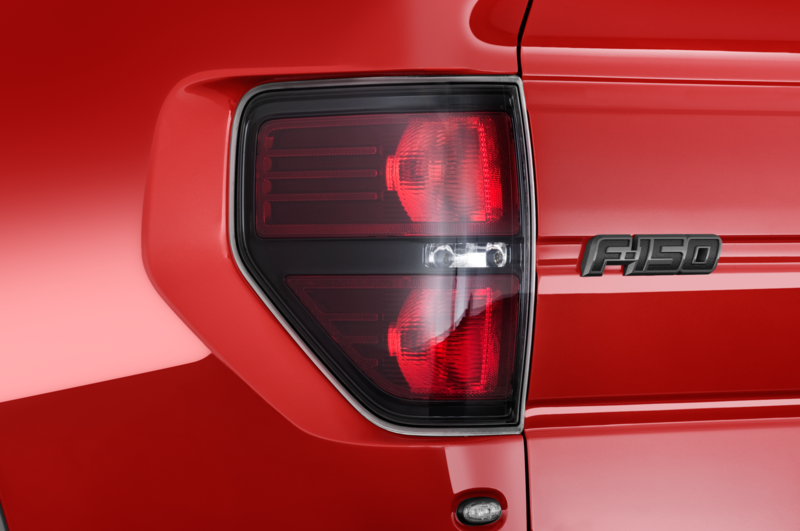 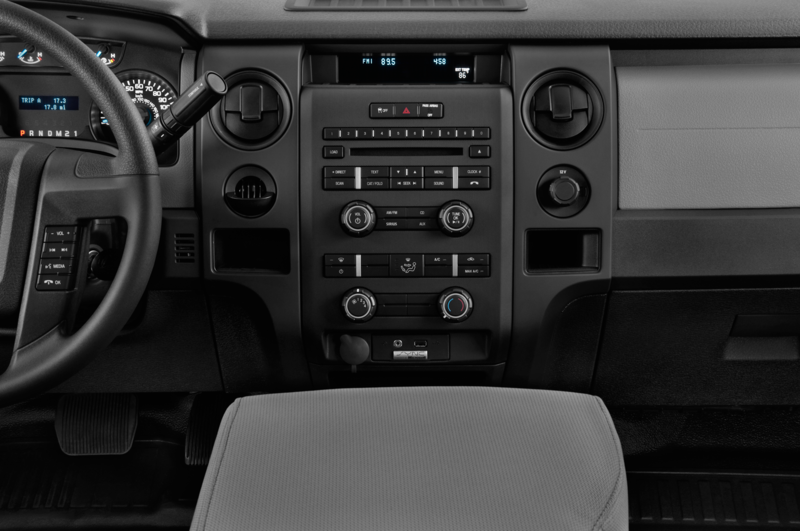 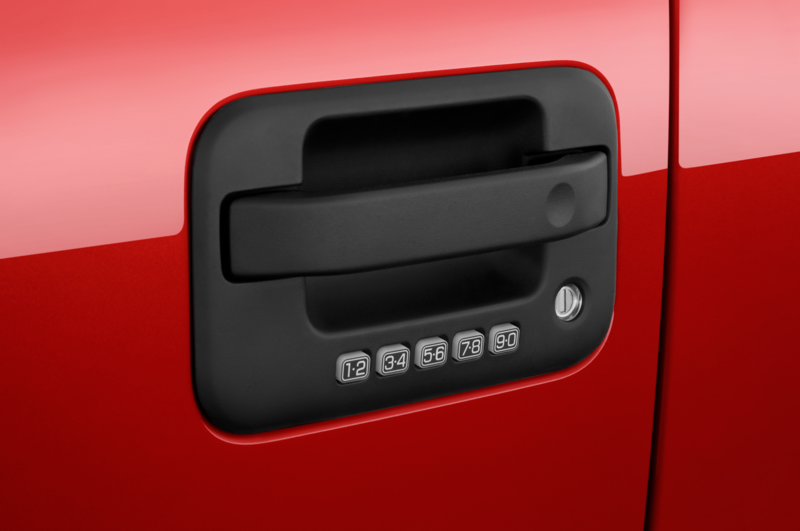 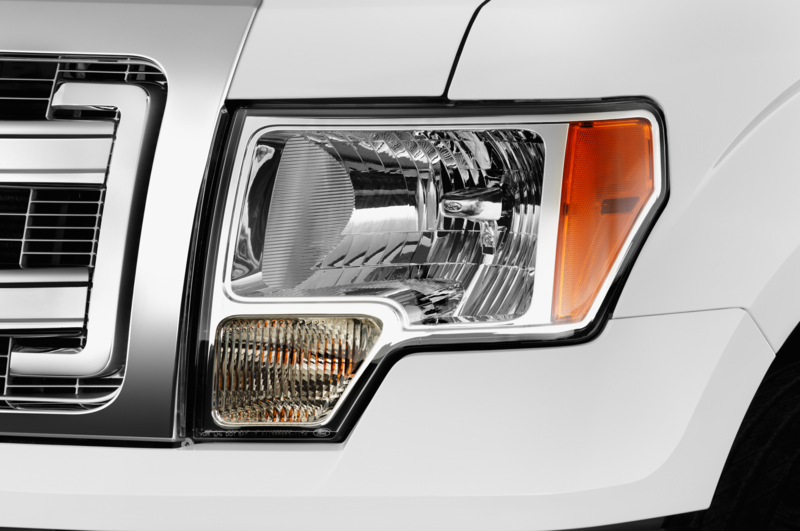 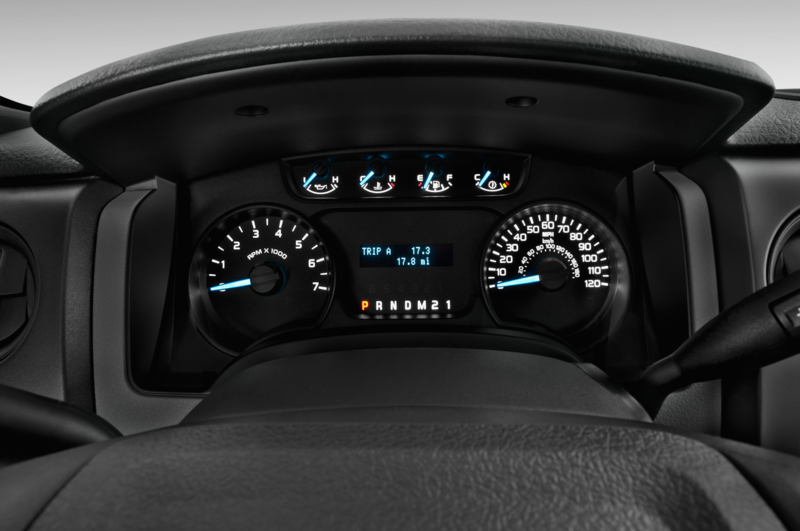 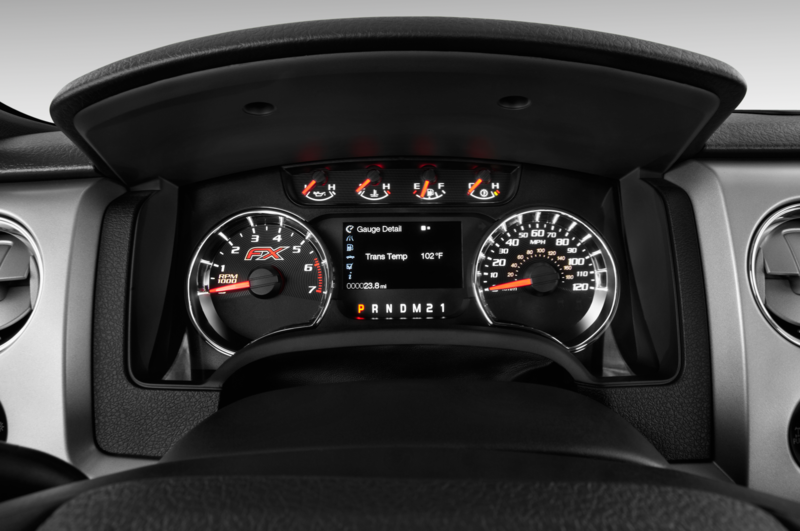 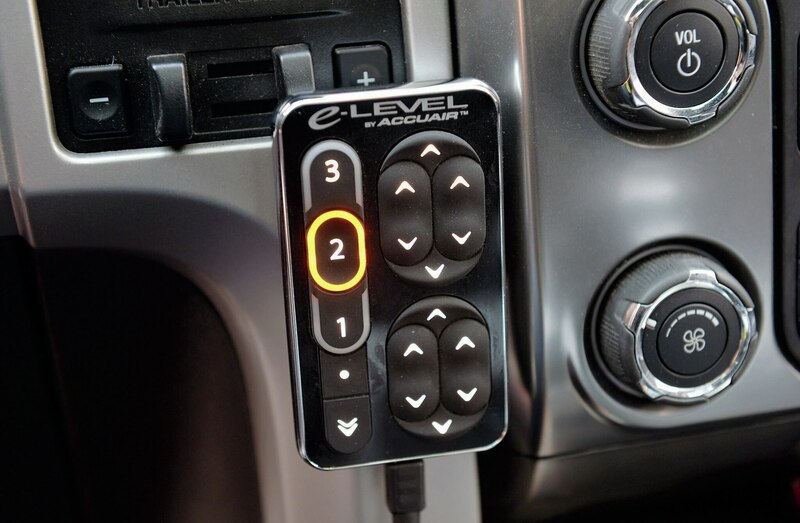 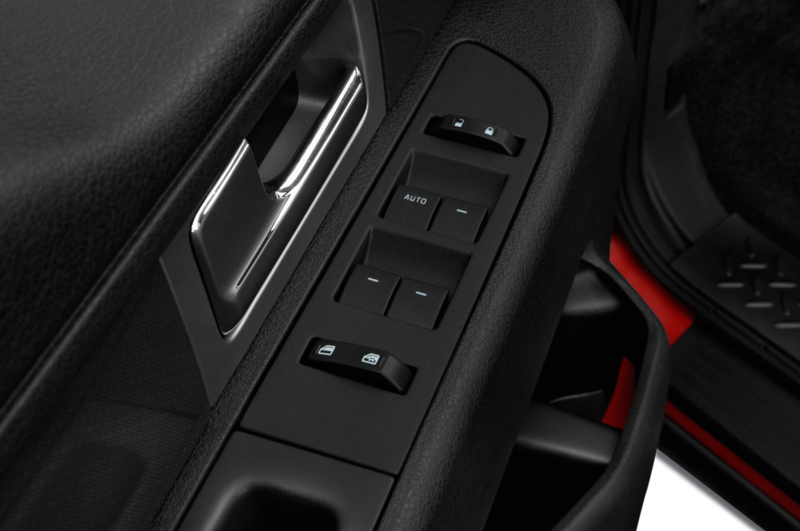 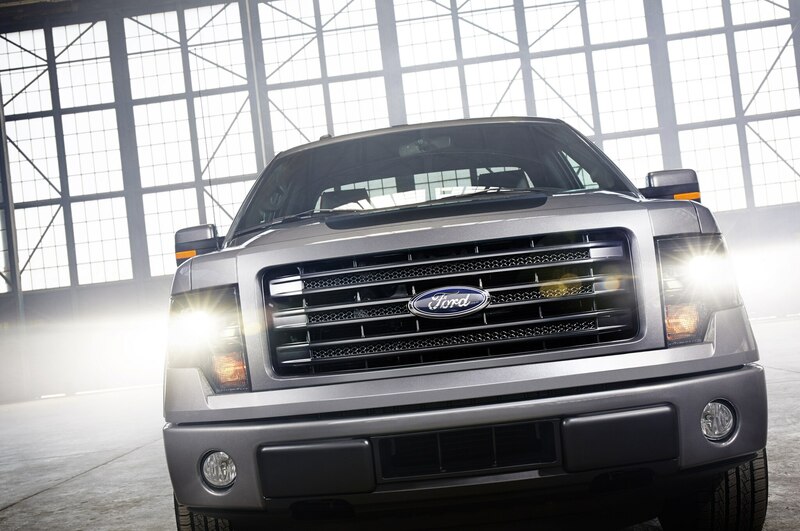 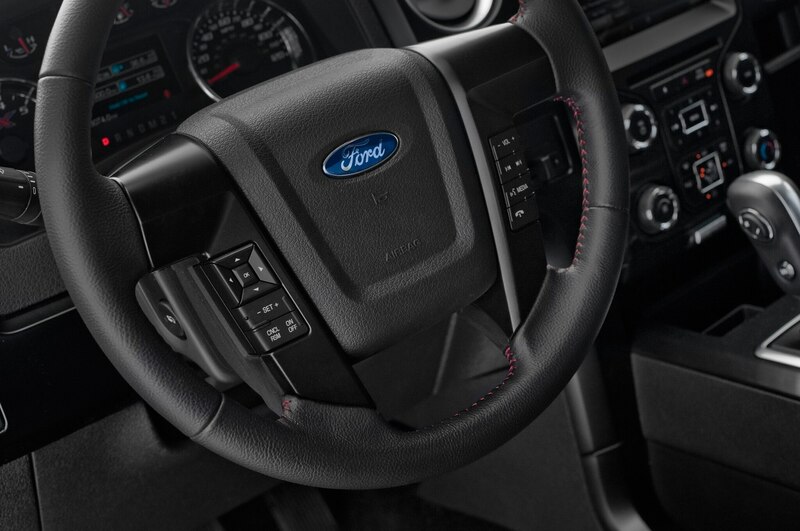 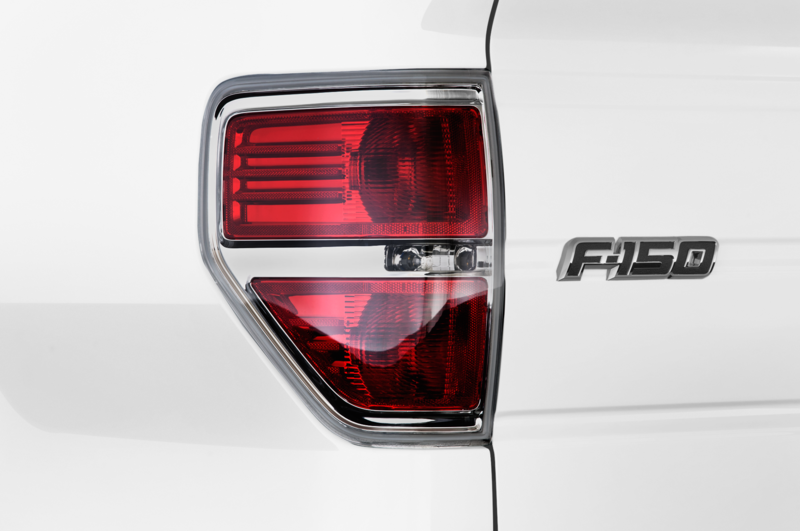 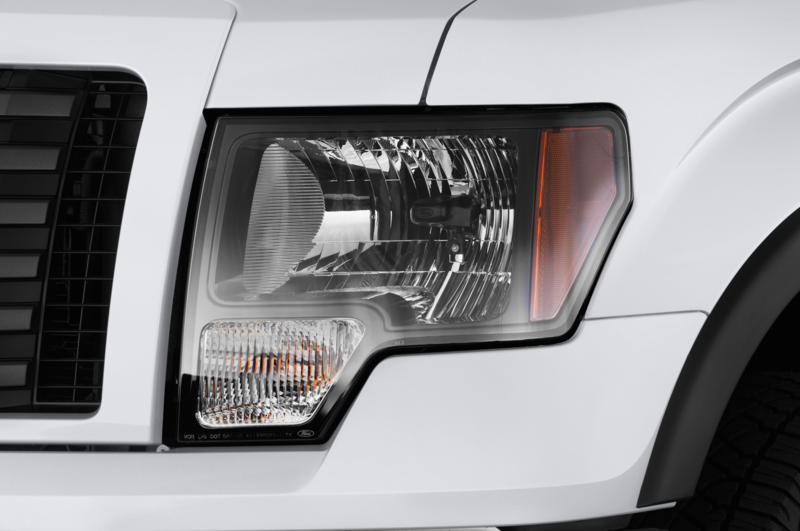 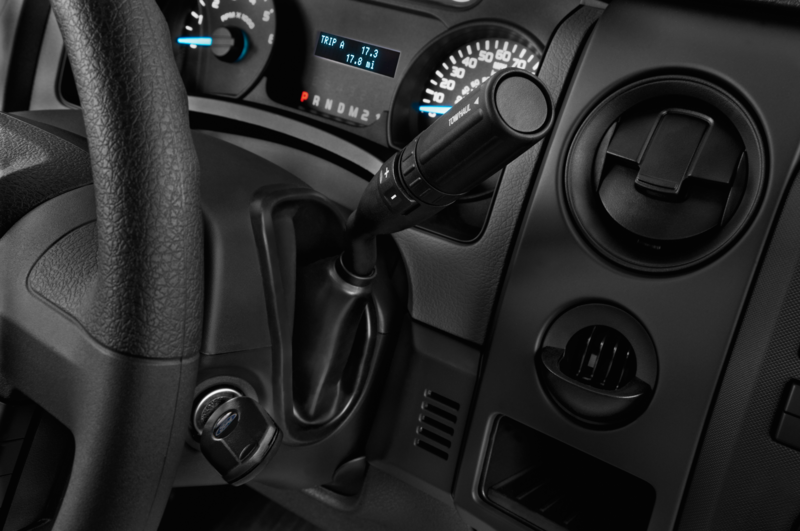 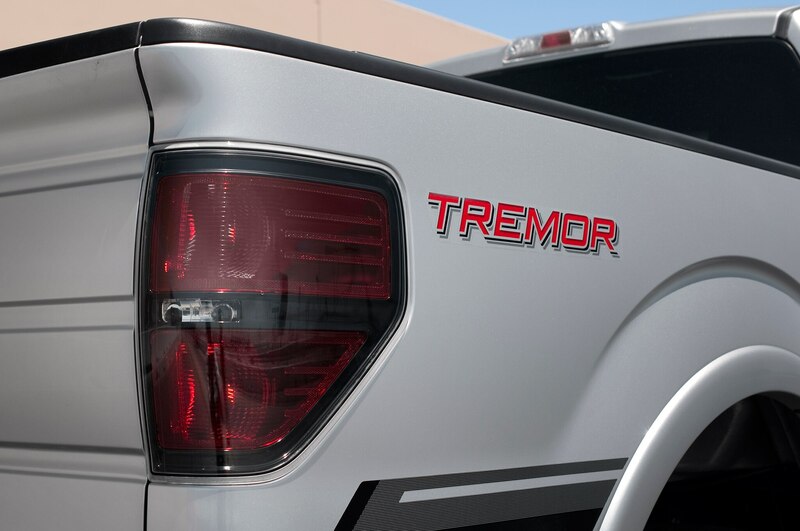 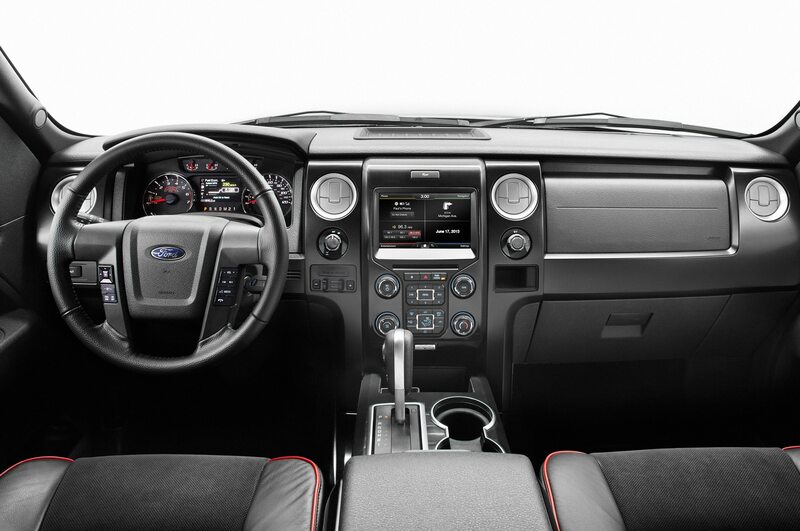 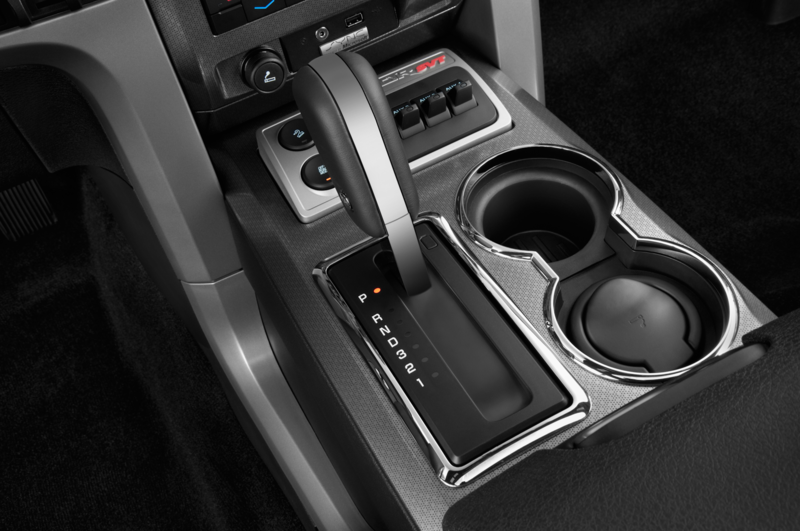 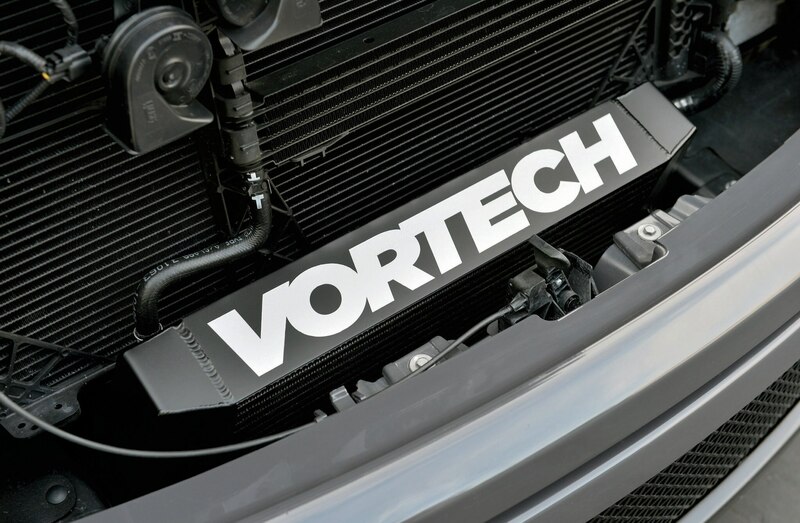 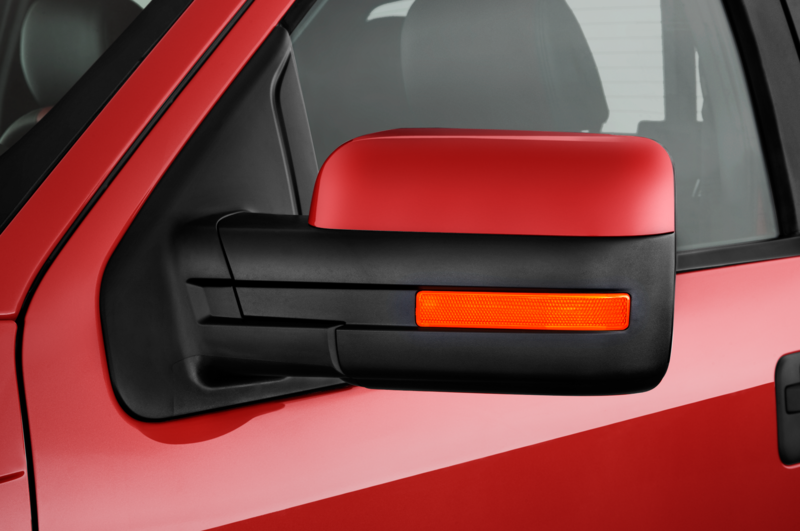 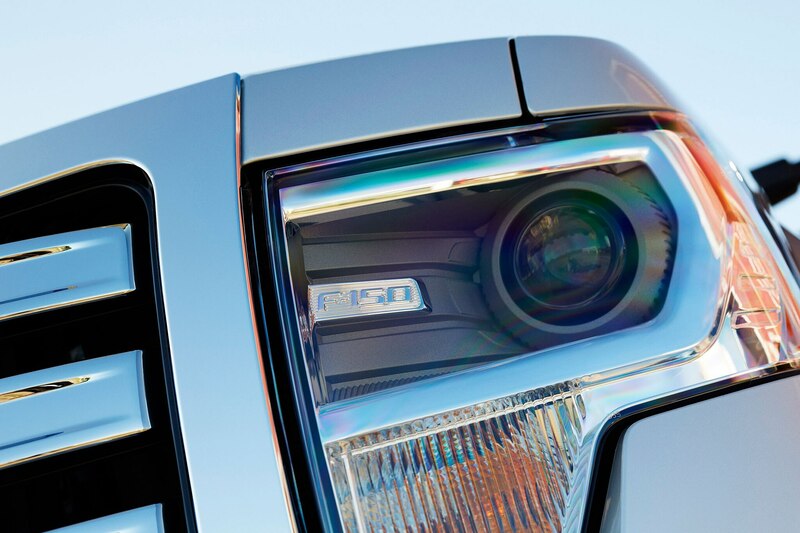 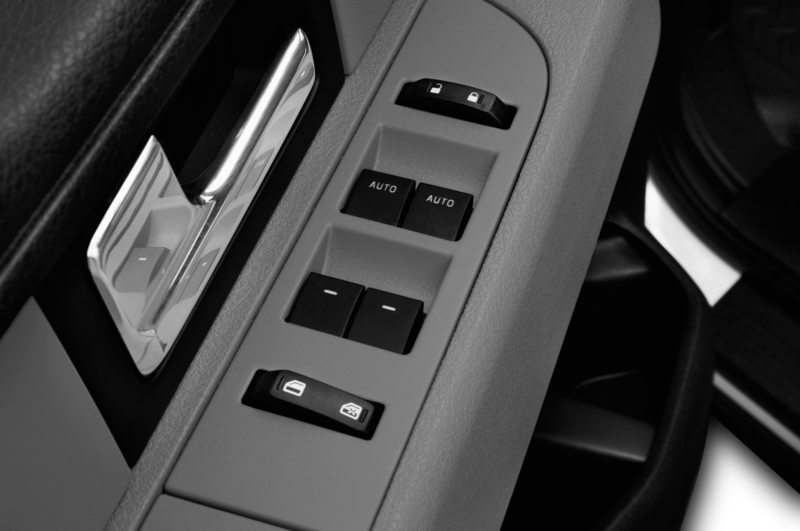 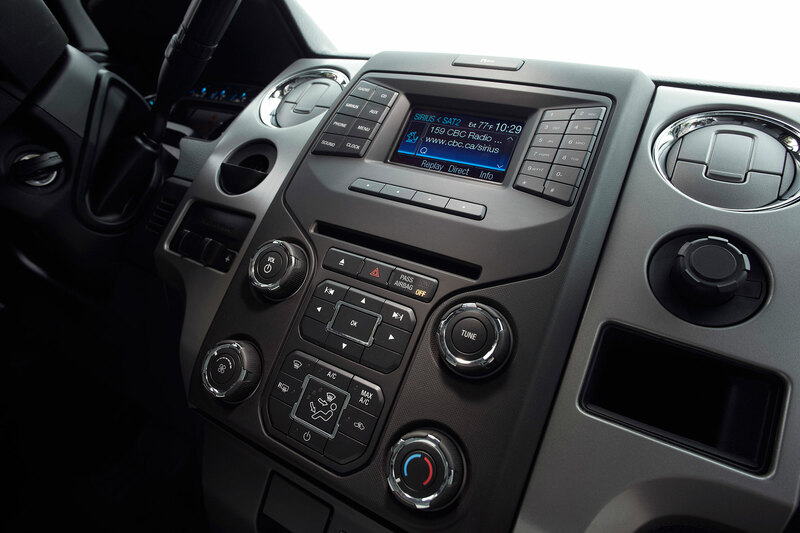 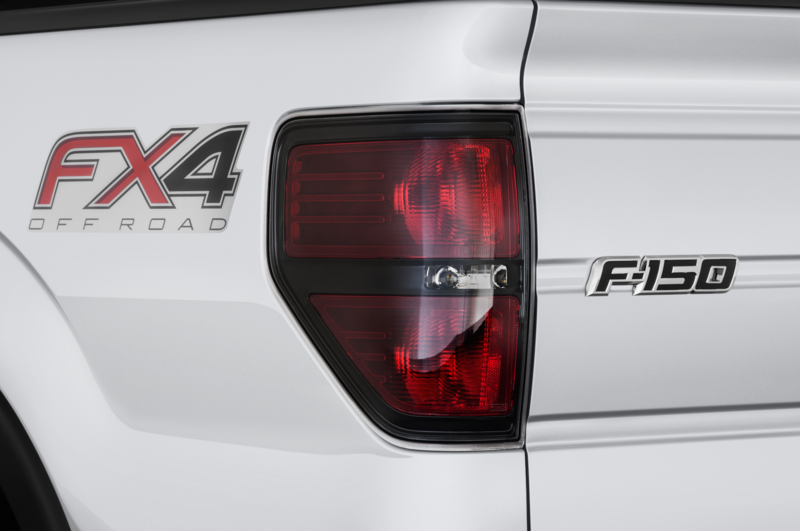 Your horn-bearing pickup will wield 395 hp and 407 lb-ft of torque. 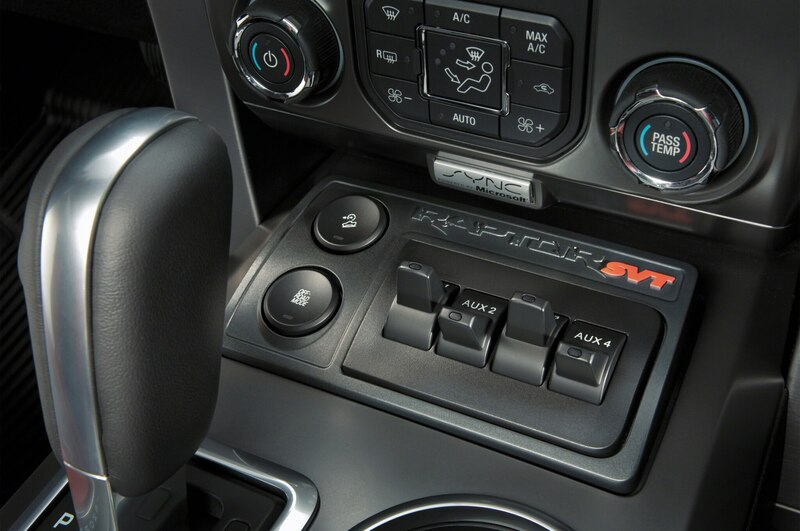 Interestingly, the V-8 Ram 1500 is cheaper than the V-6 version; with the Hemi, you get a credit for dropping down to a six-speed automatic from the six-cylinder’s eight-speed unit. 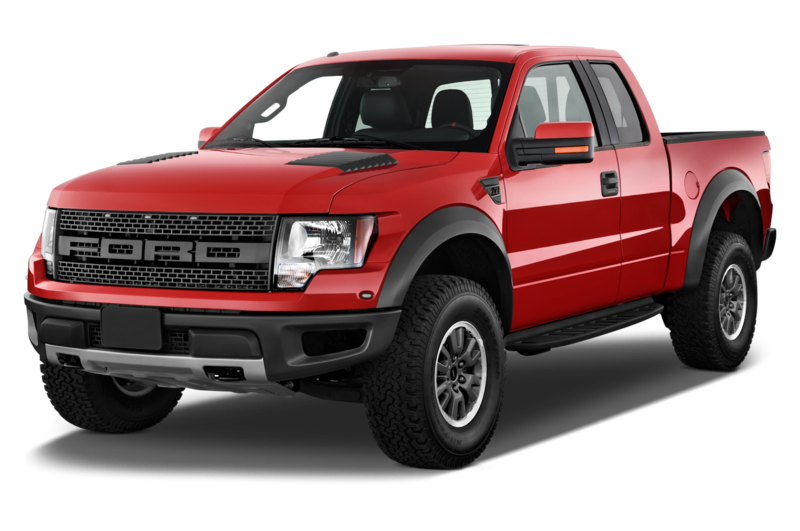 At $26,005, the V-6 version, with 305 hp, would equal $85.26/hp. 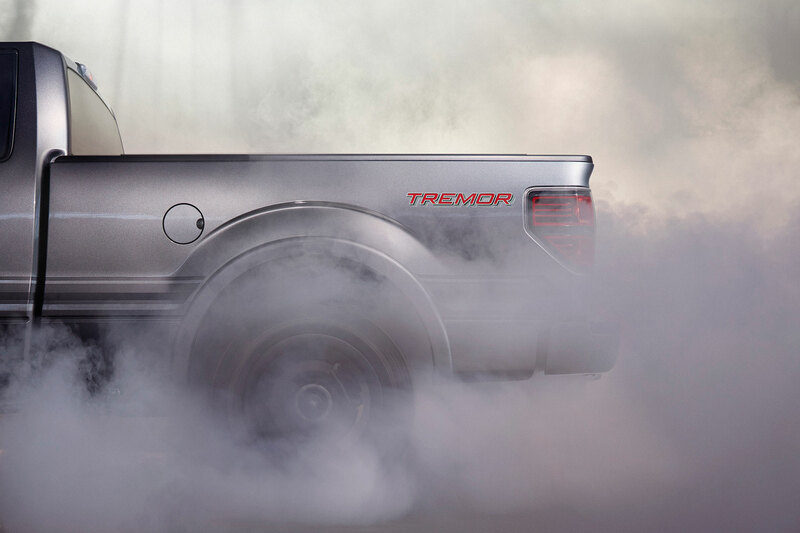 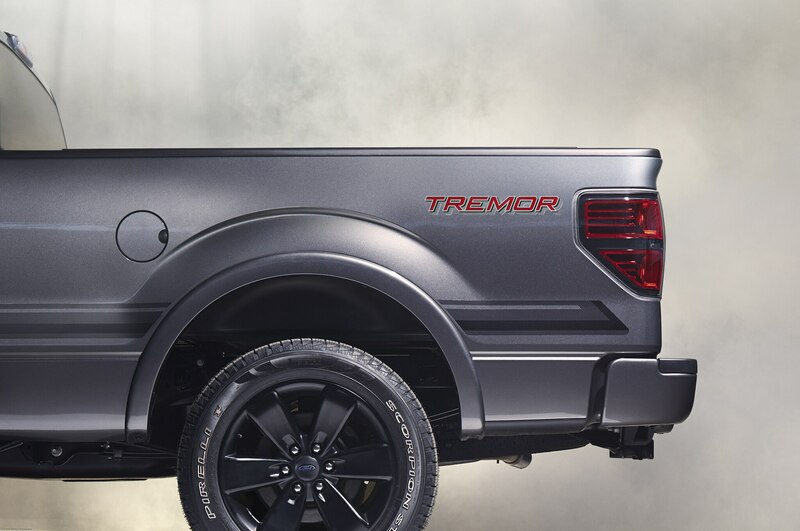 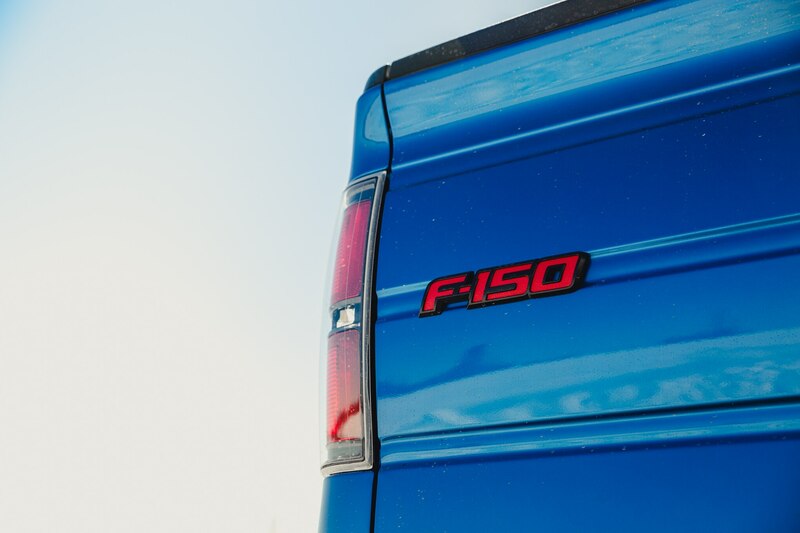 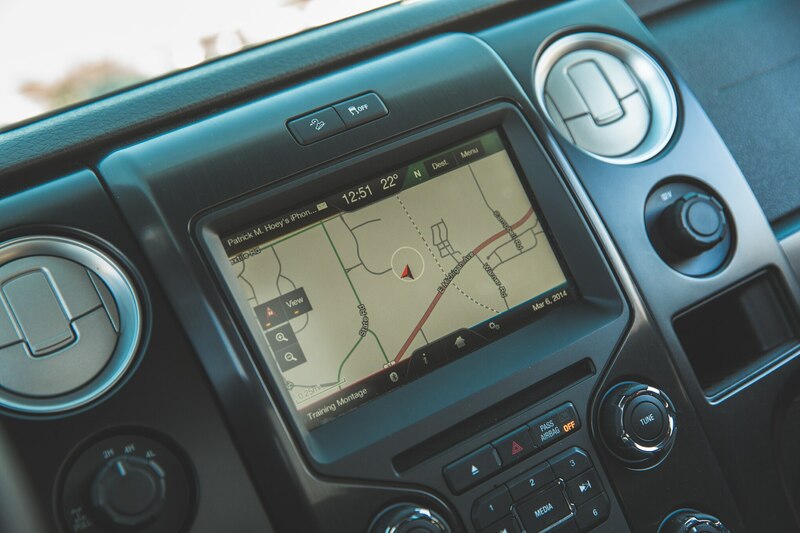 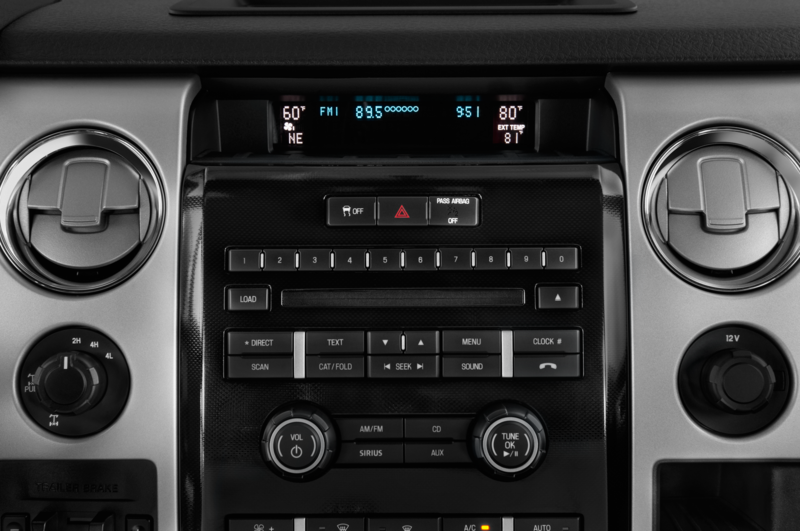 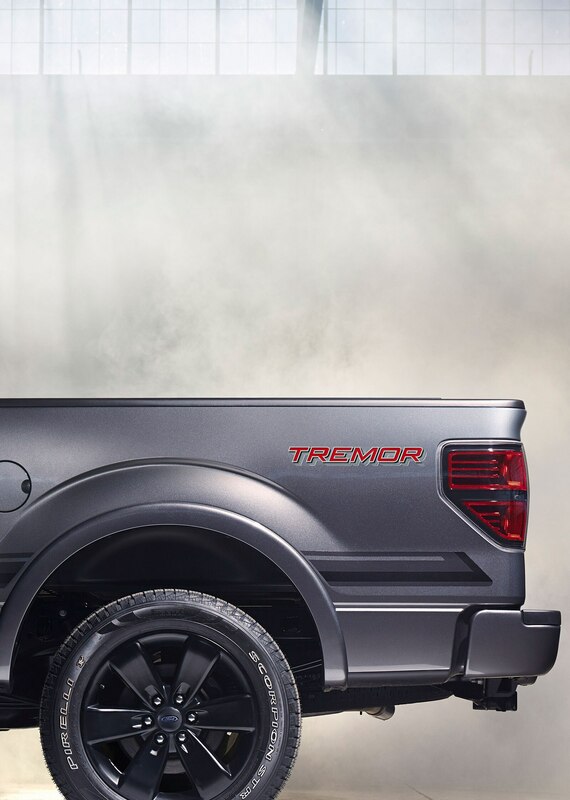 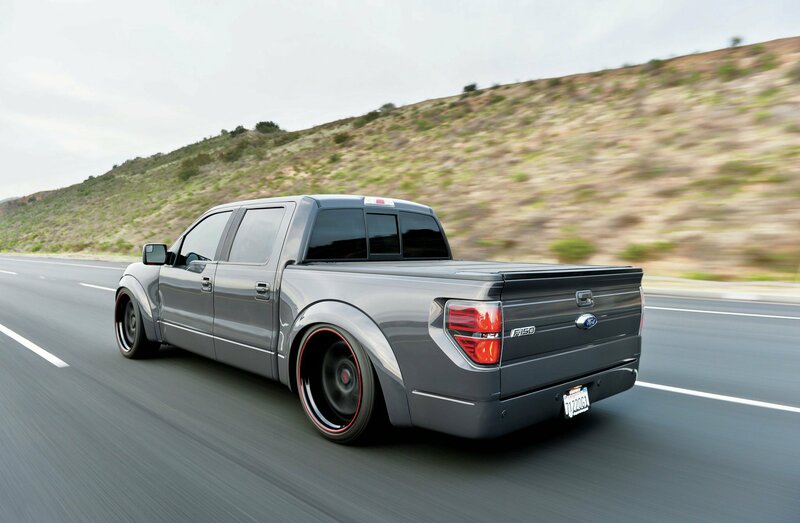 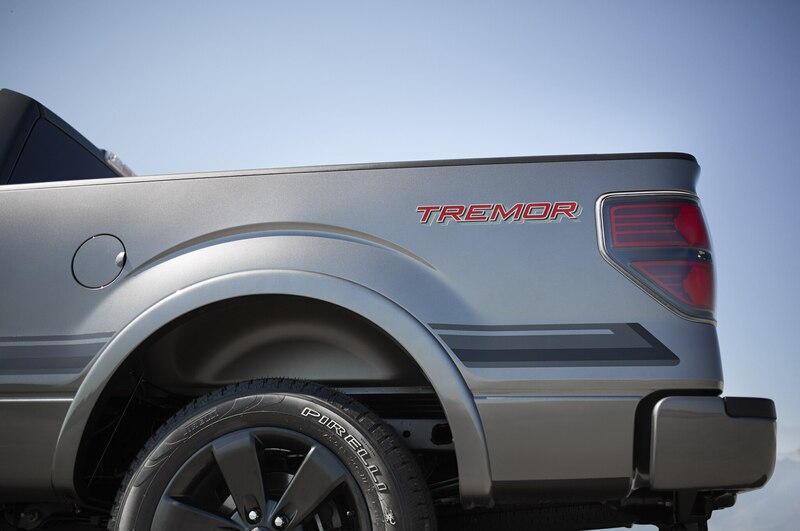 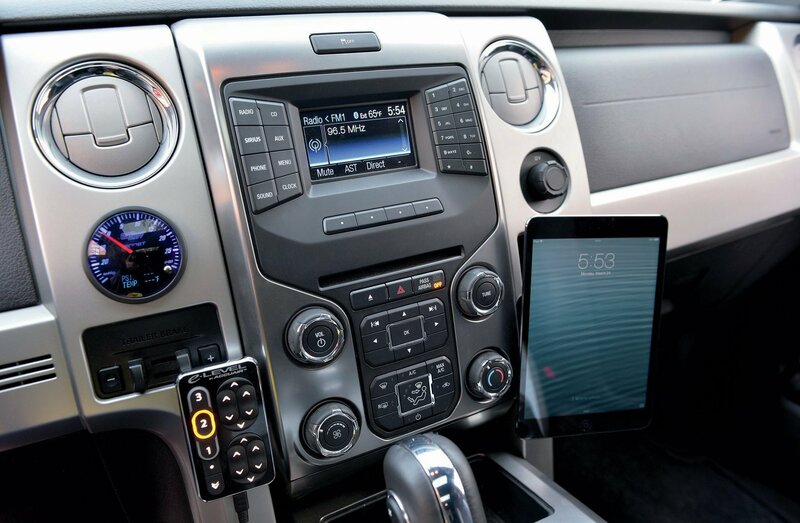 While Ford’s 5.0-liter V-8 can’t quite match the output of Ram’s Hemi, the Ford F-150 brings a hearty 360 hp to the table. 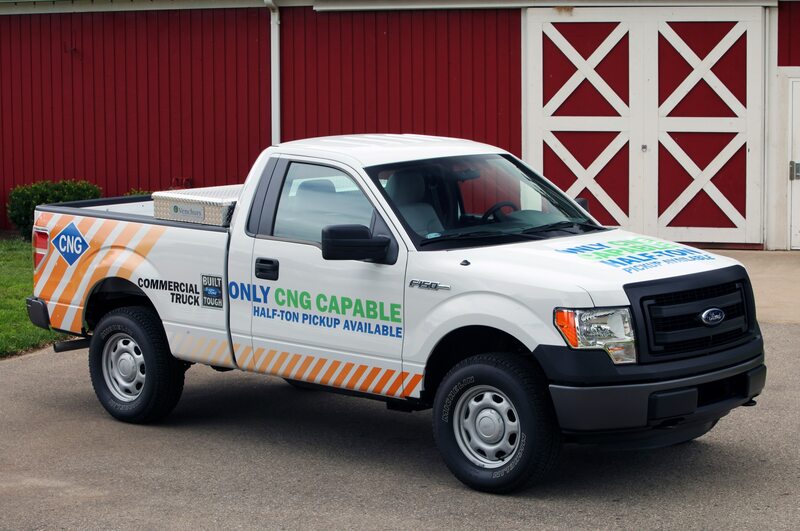 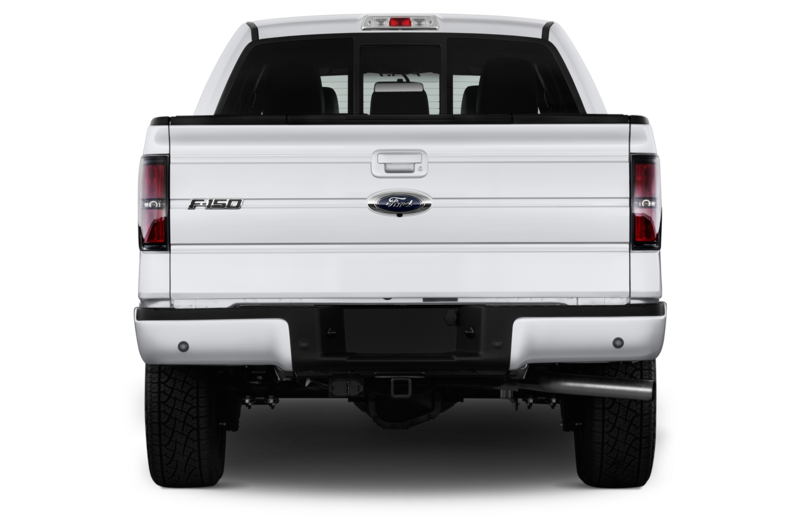 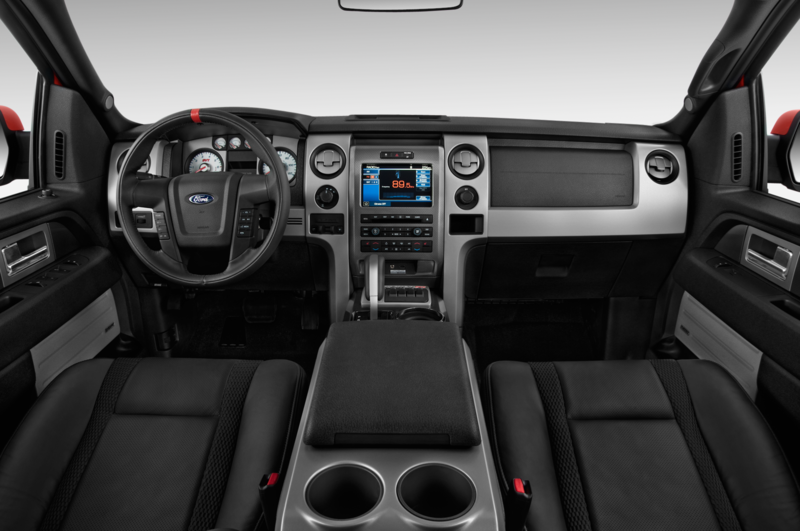 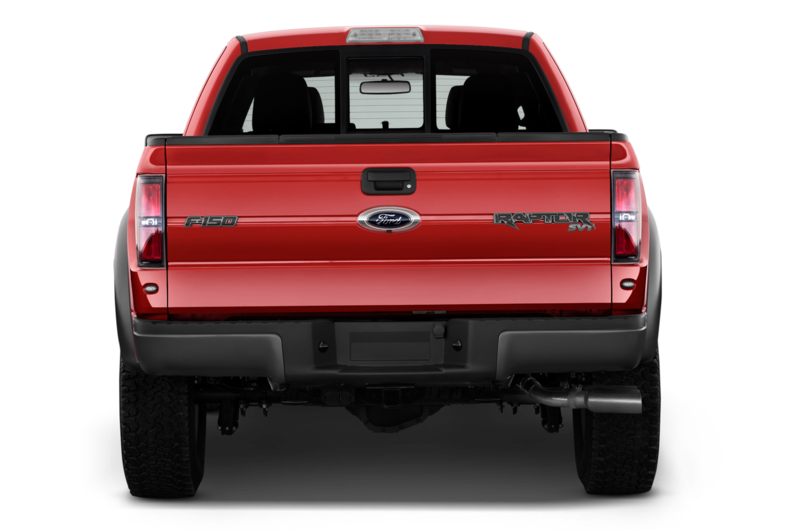 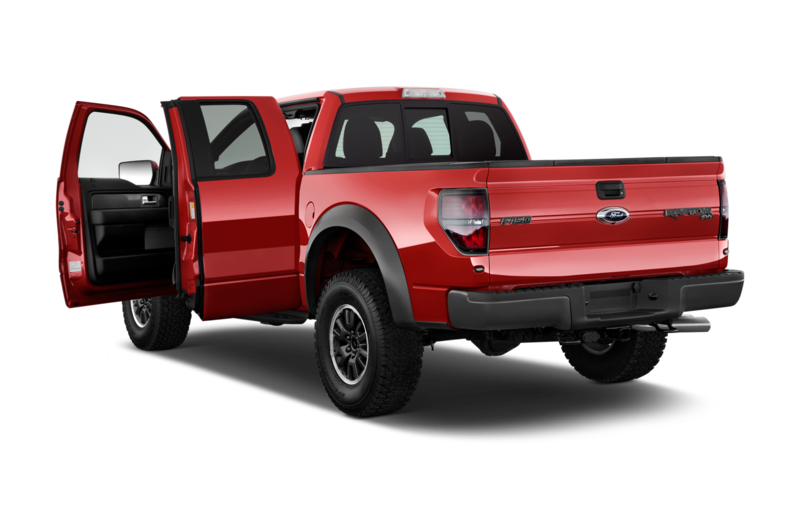 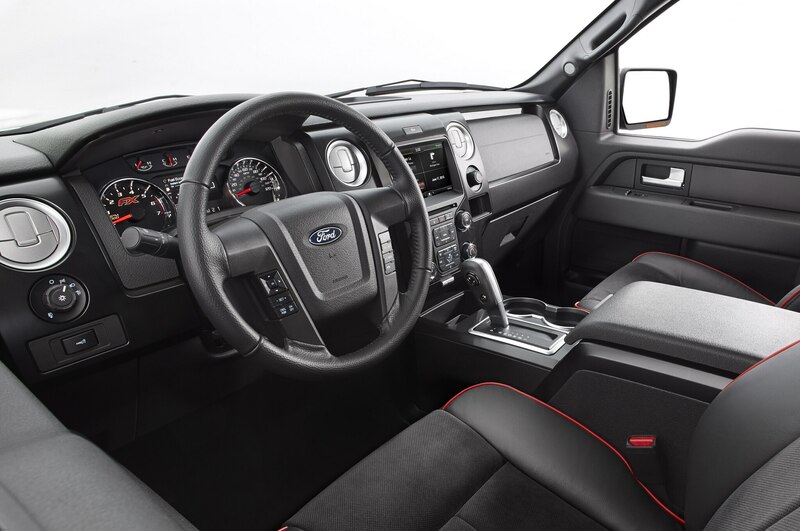 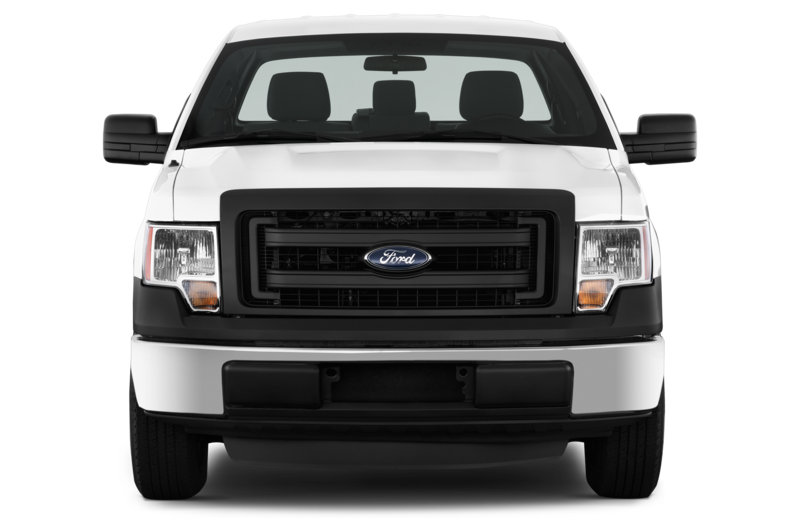 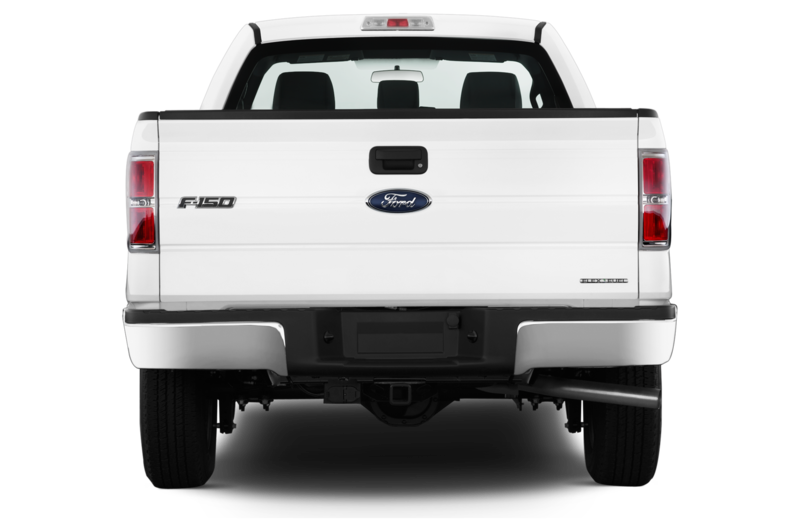 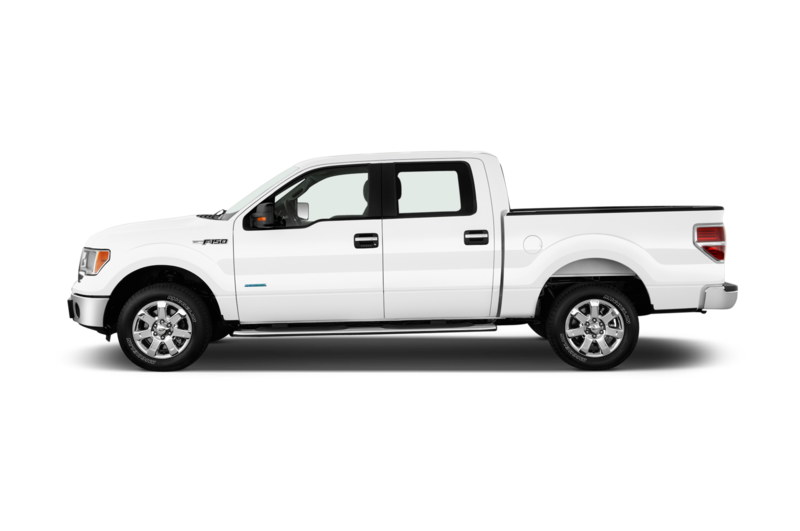 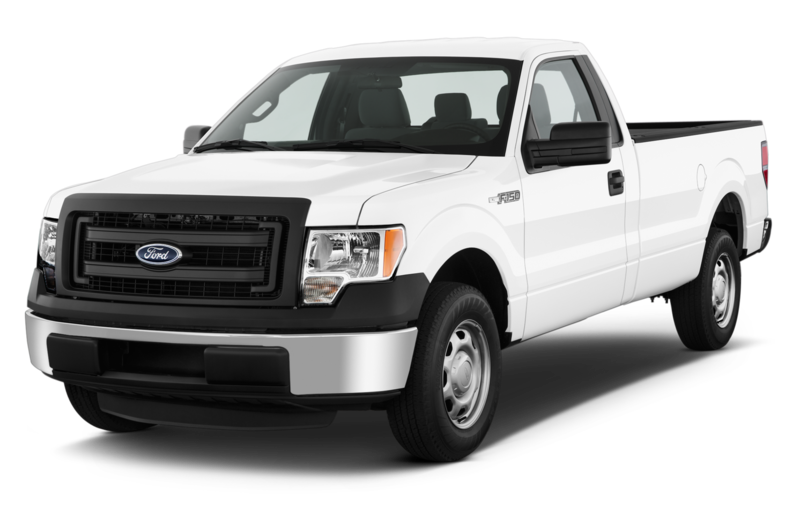 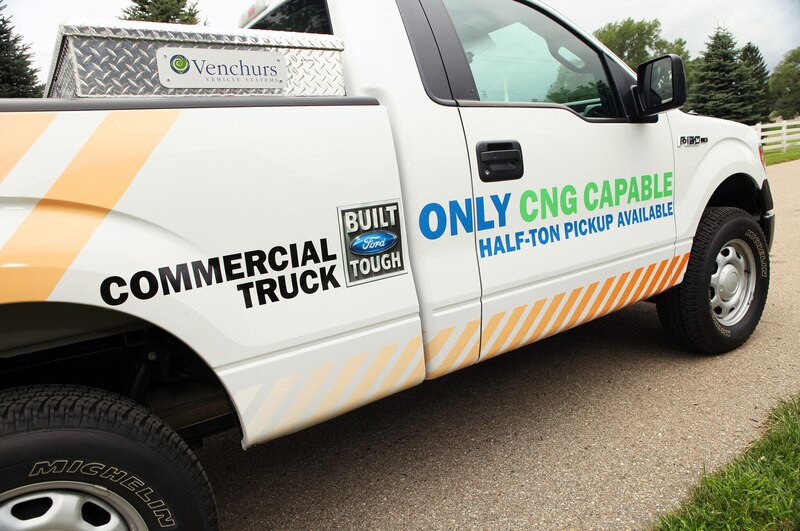 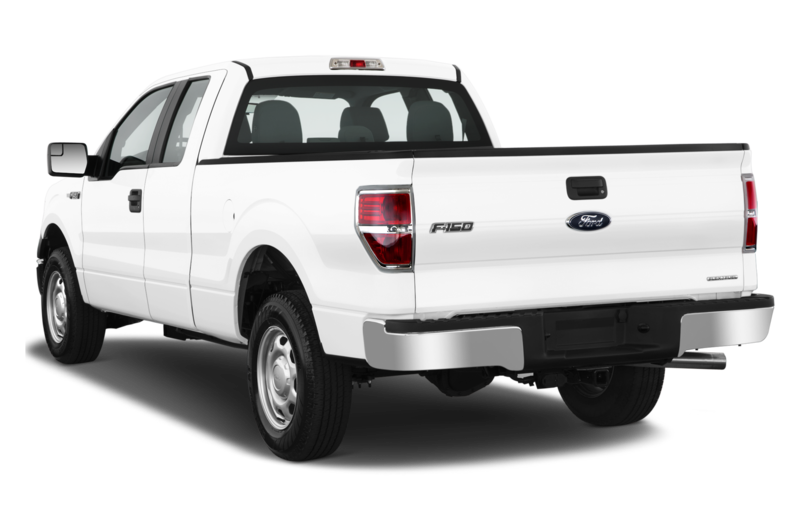 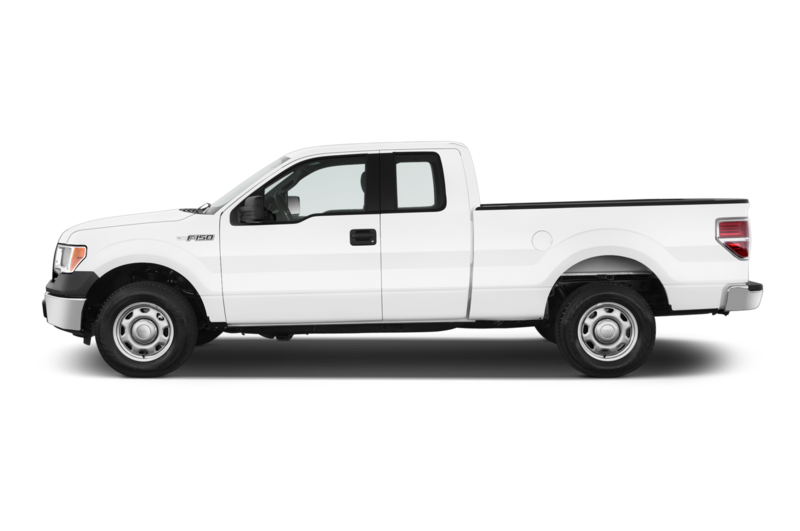 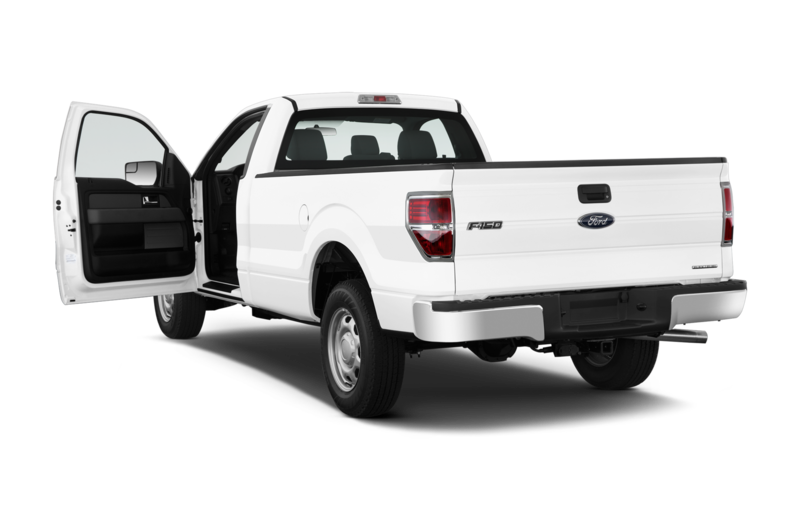 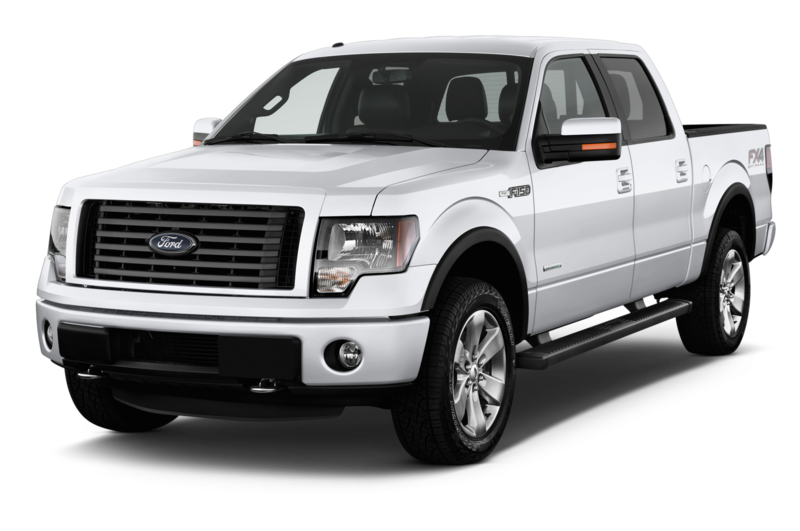 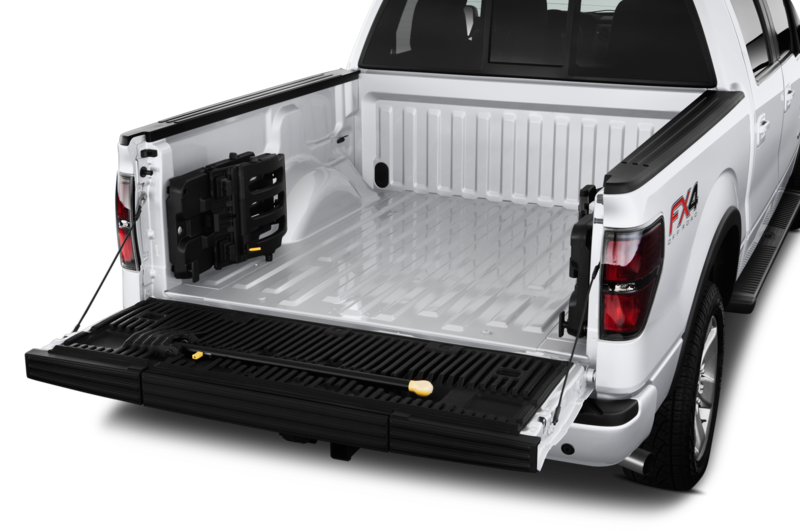 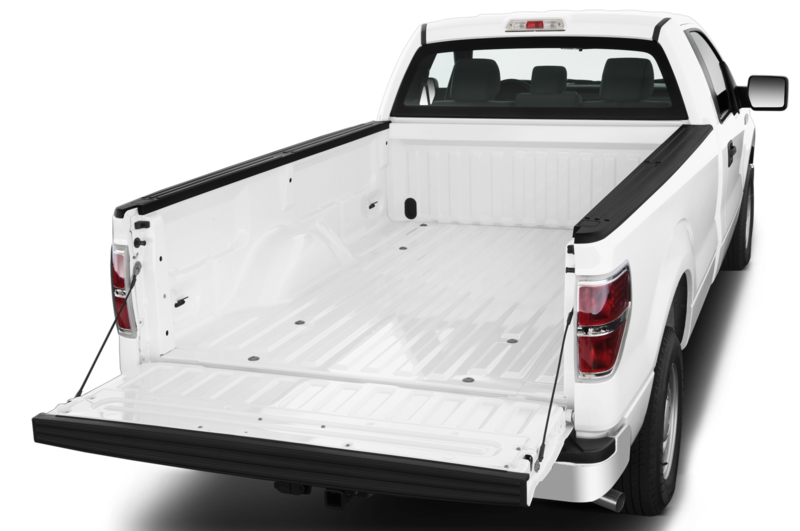 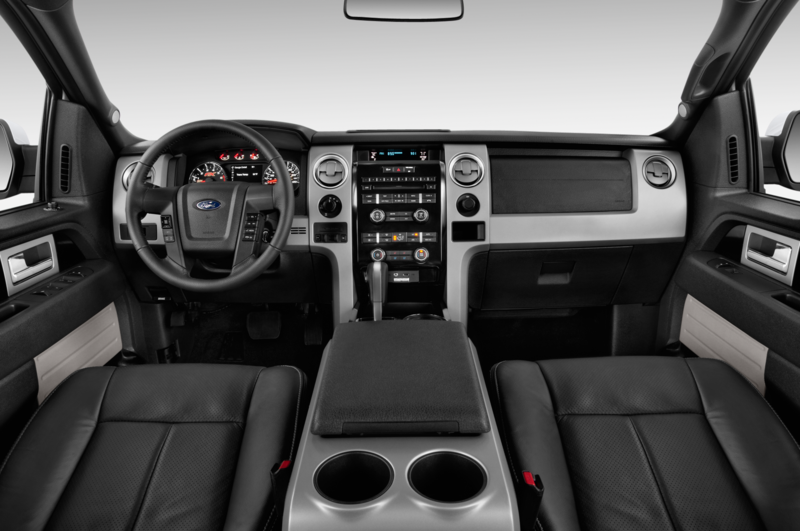 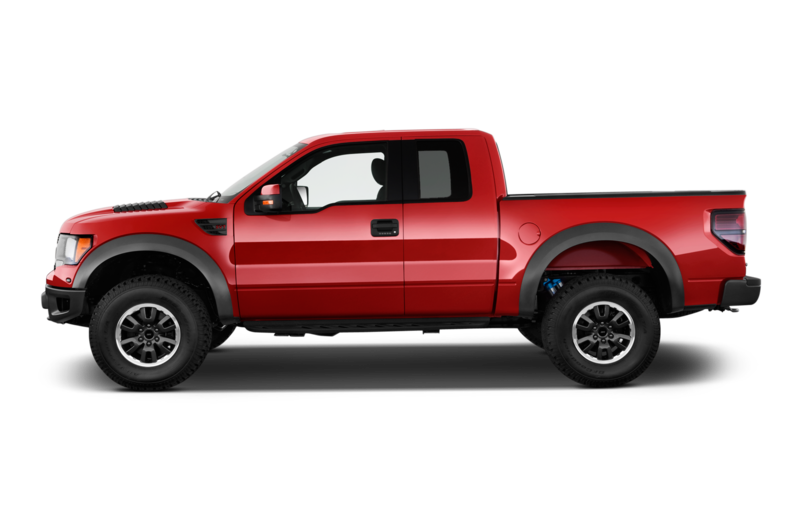 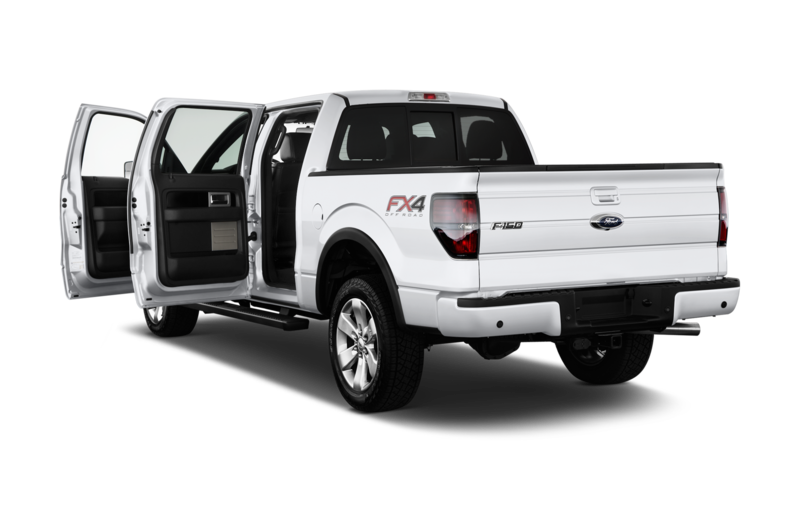 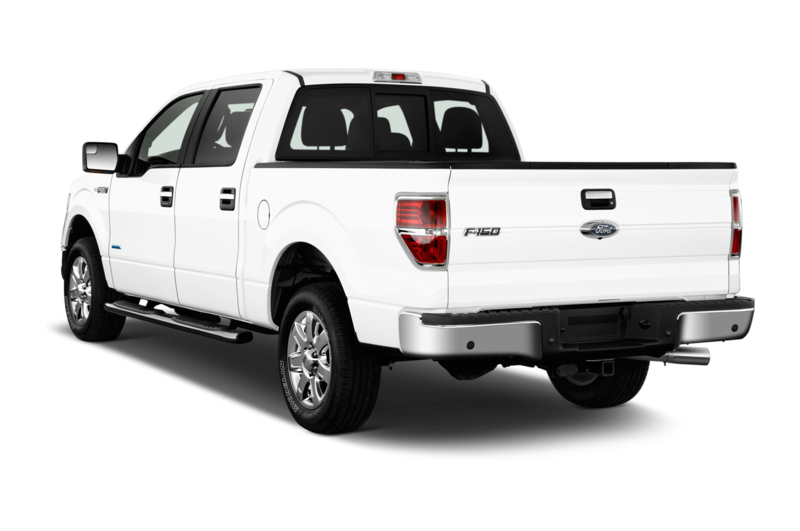 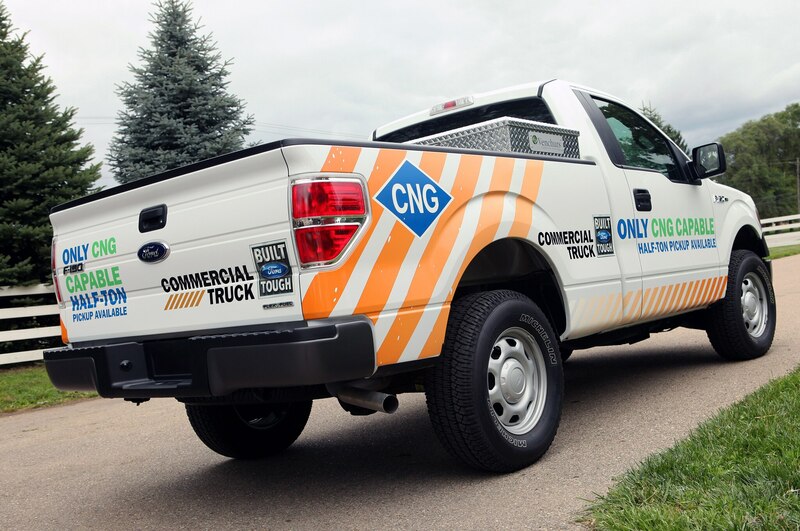 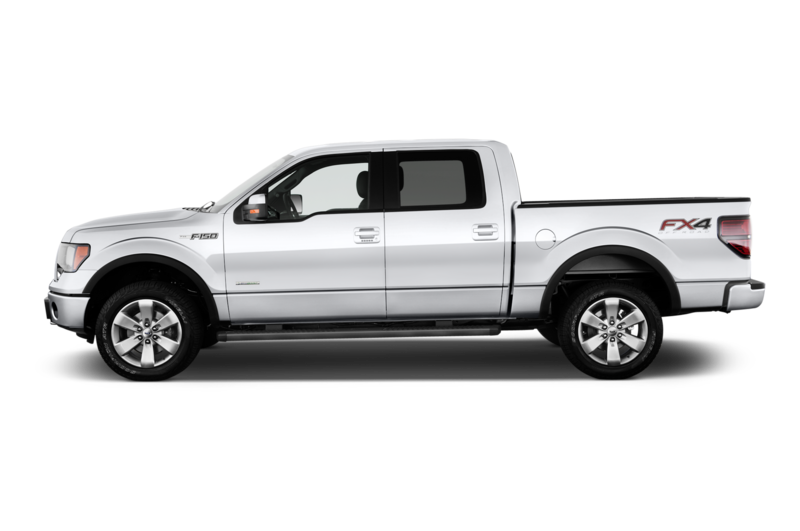 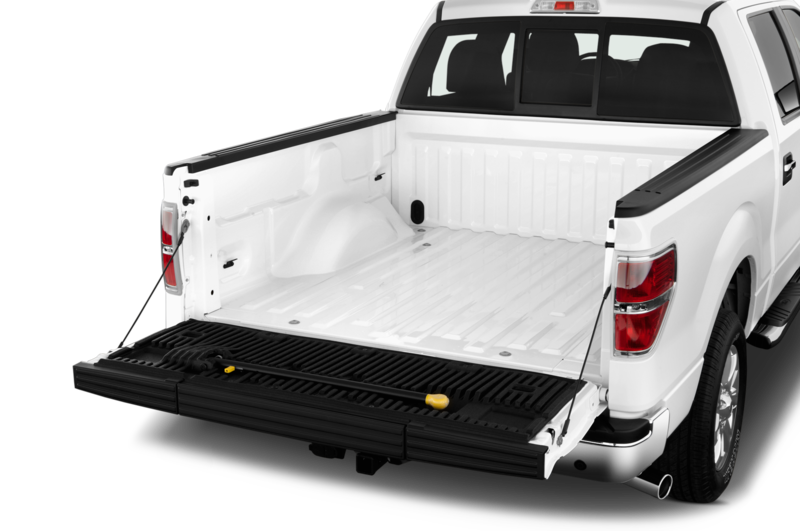 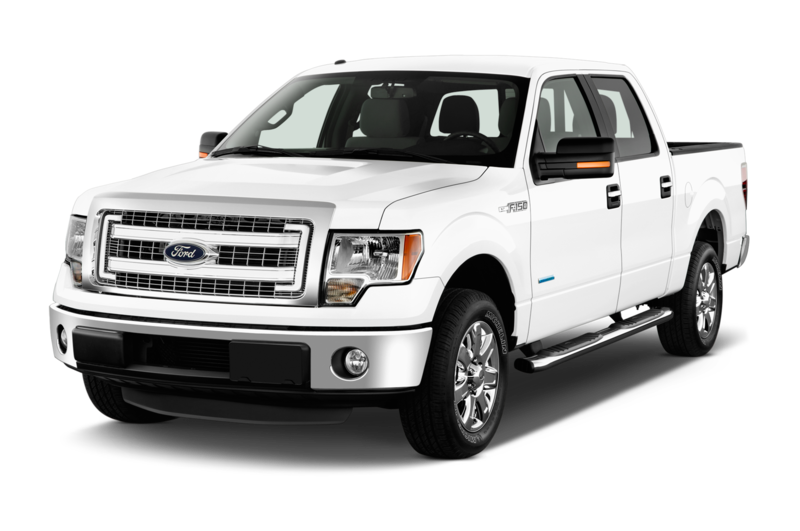 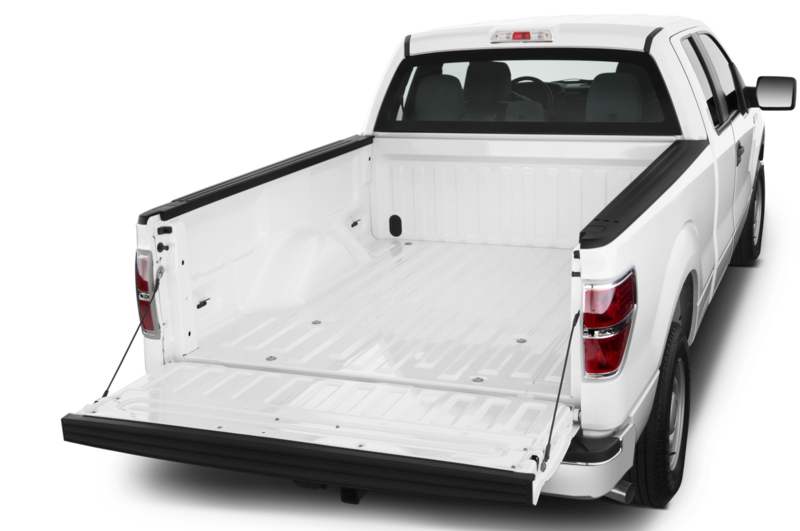 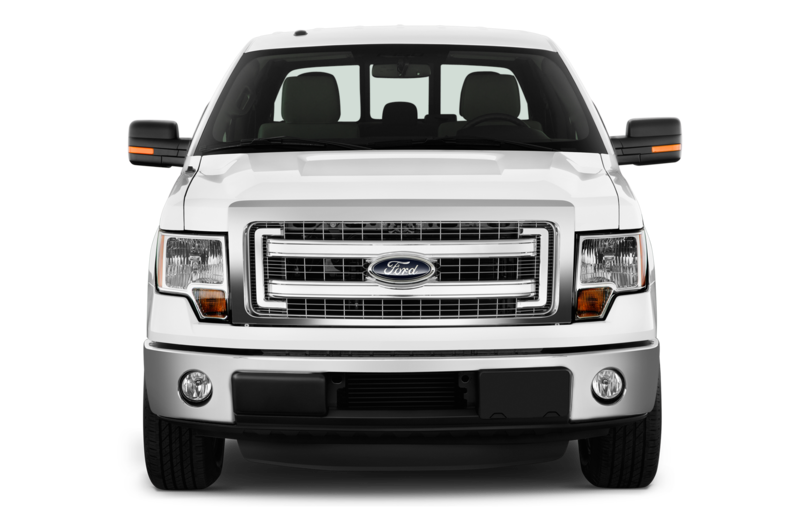 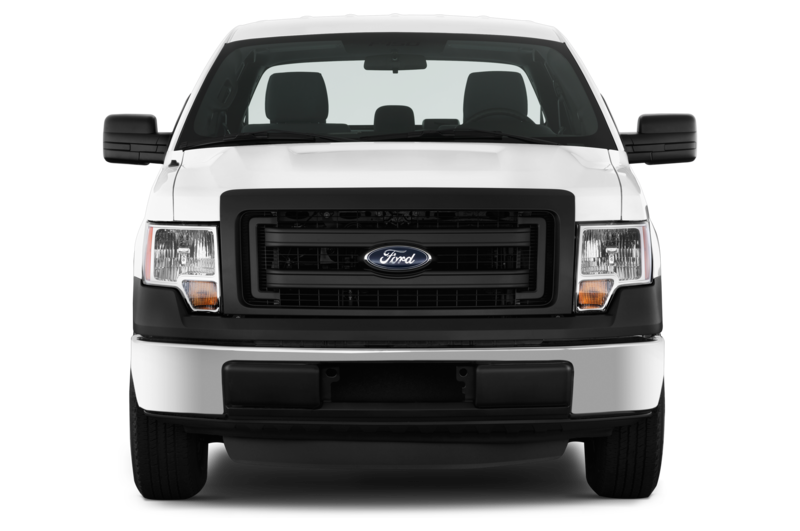 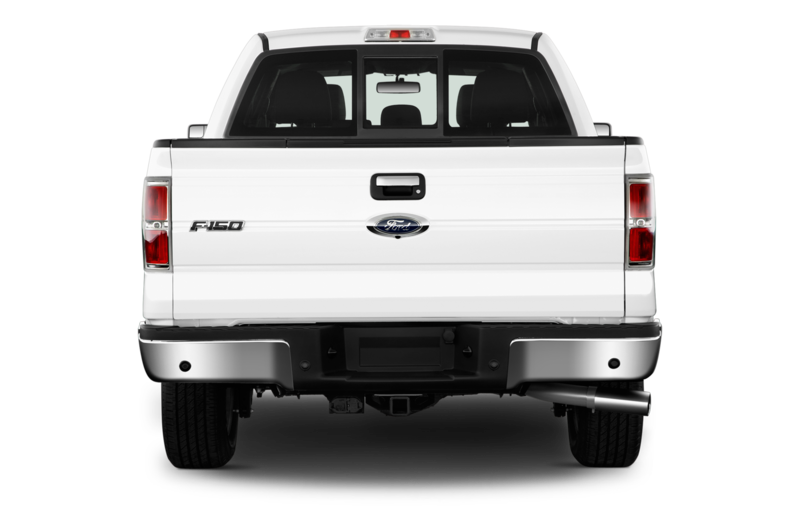 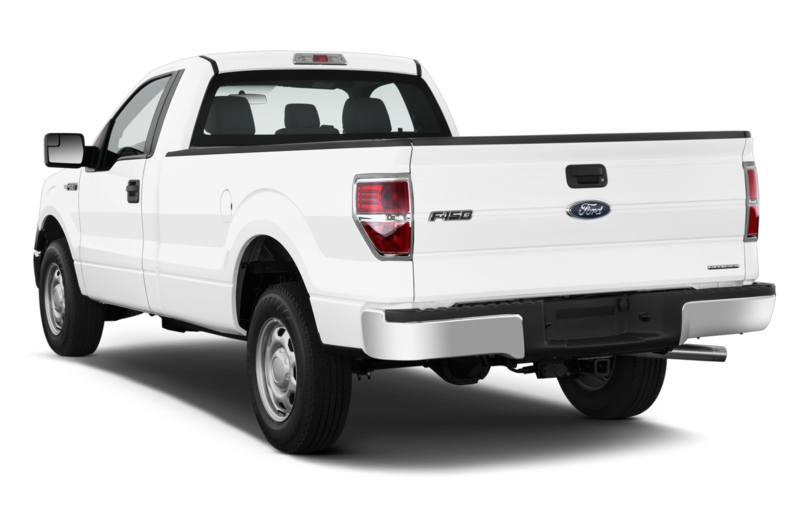 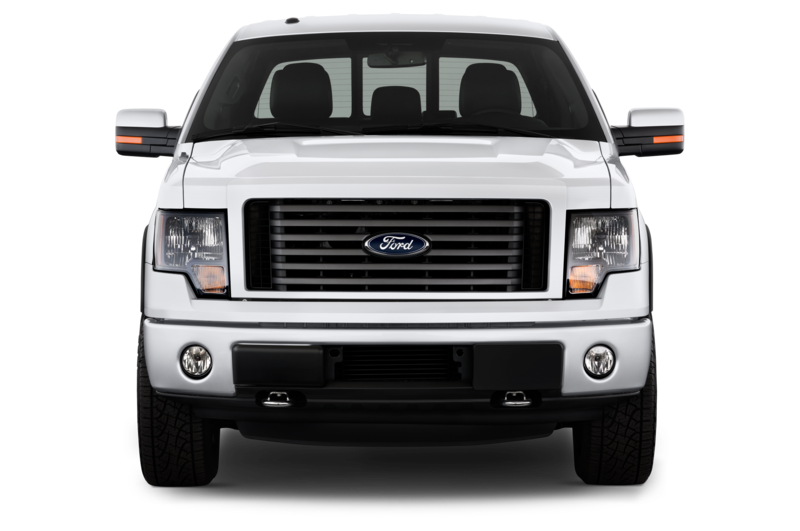 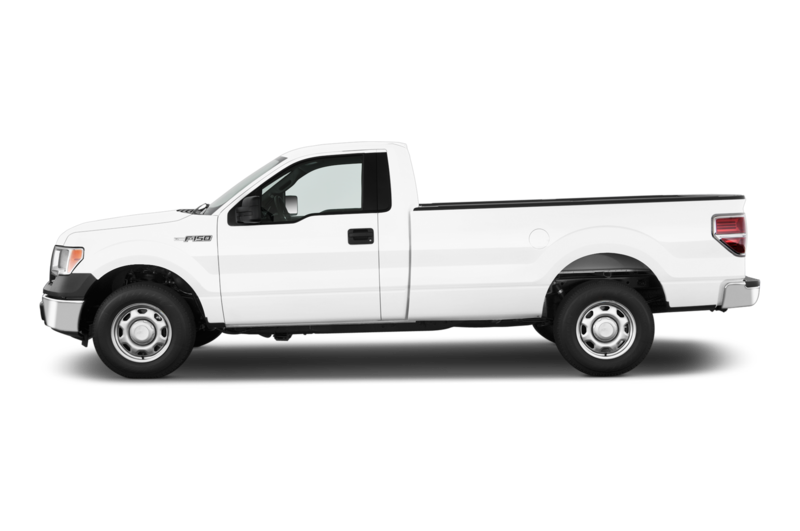 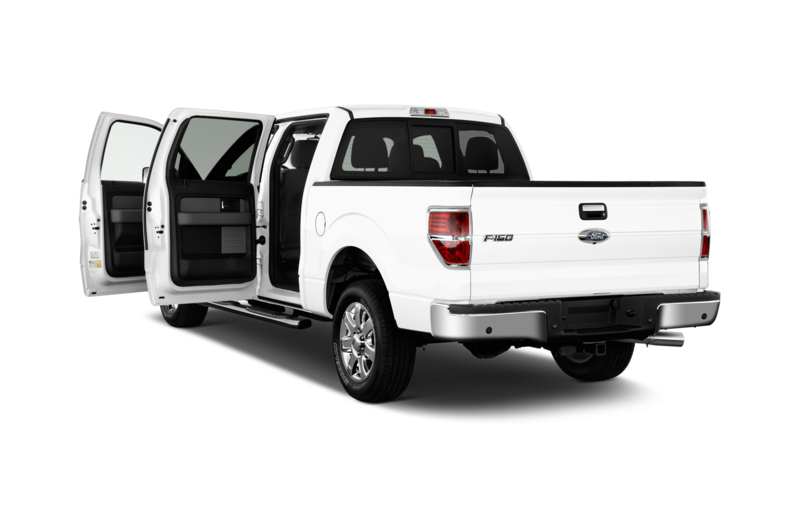 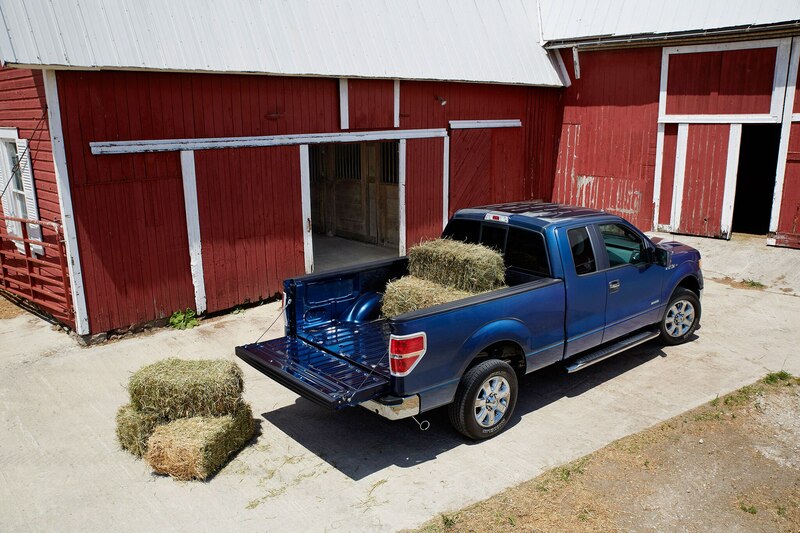 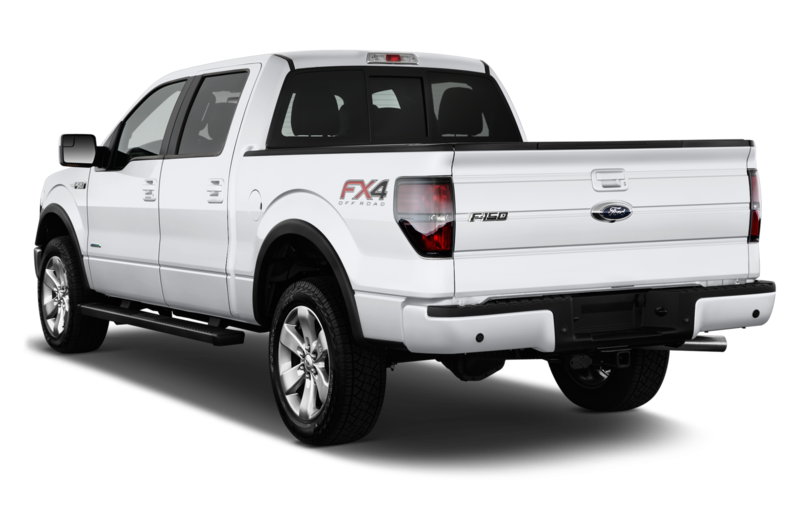 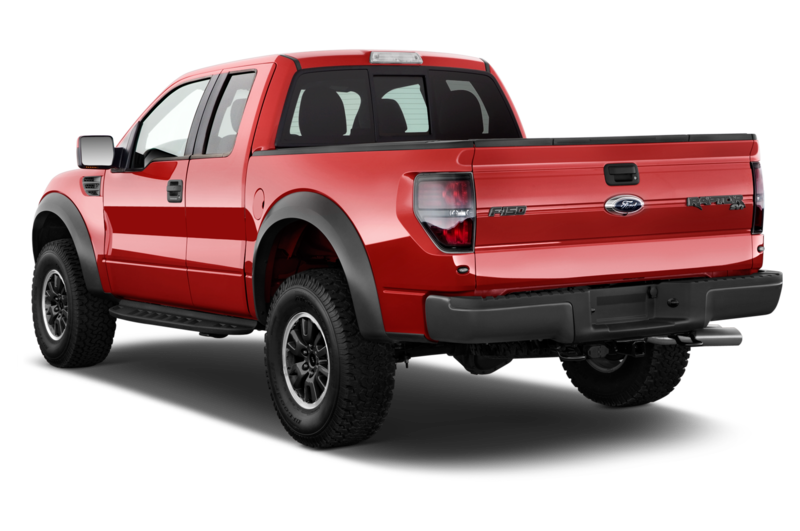 Buyers looking to minimize their outlay should look to the standard Ford F-150 XL Regular Cab; the optional 5.0-liter FFV V-8 adds $1000. 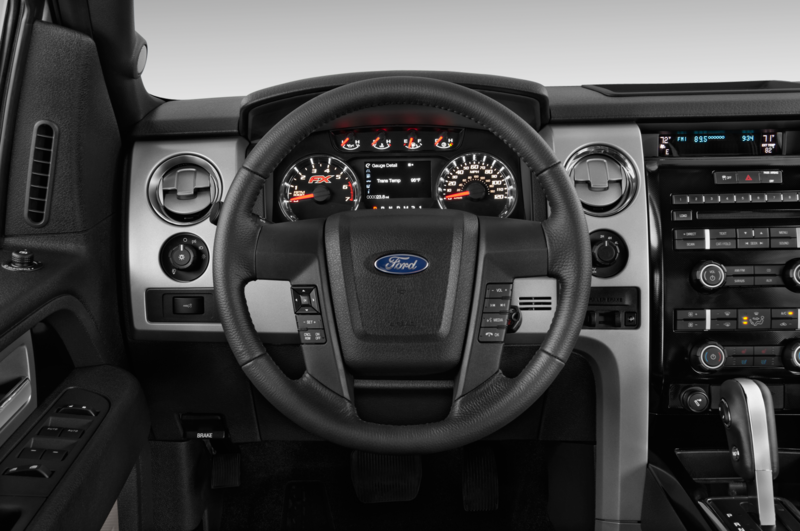 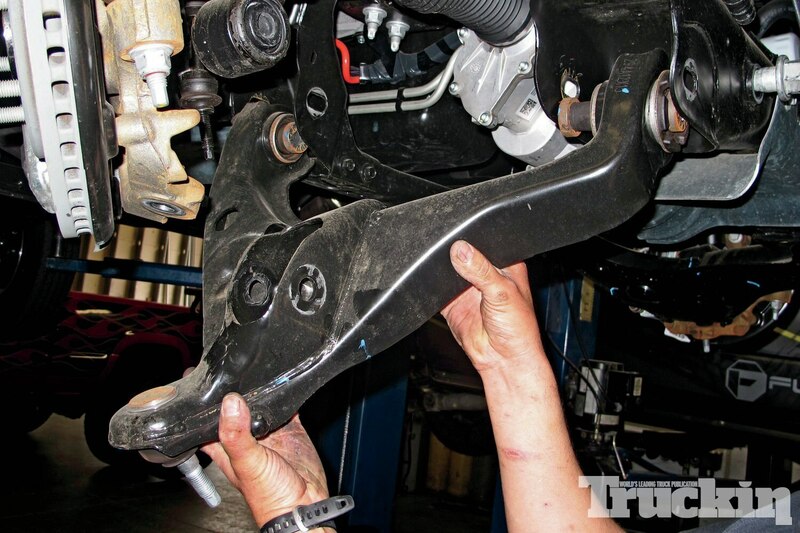 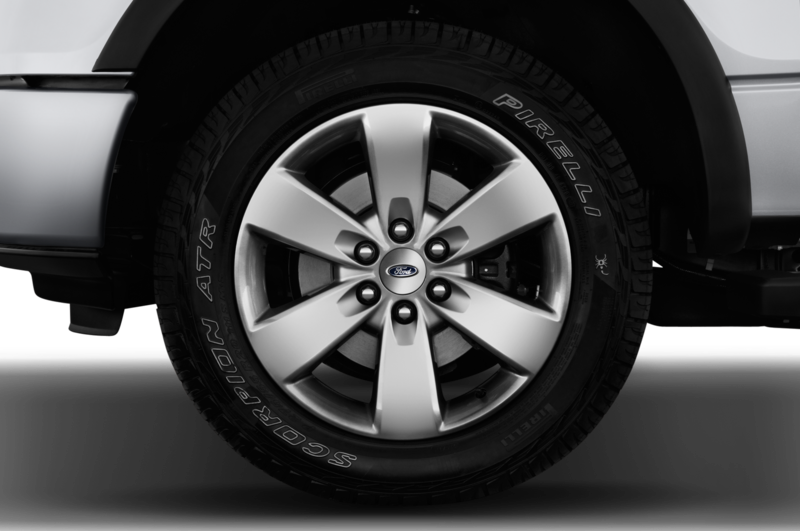 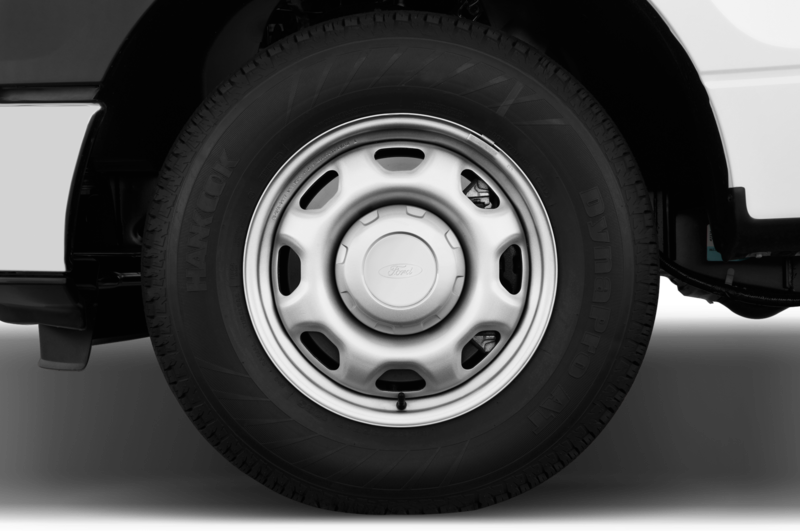 You’ll also have to switch to a 3.31 non-limited slip axle ratio, but it won’t cost extra. 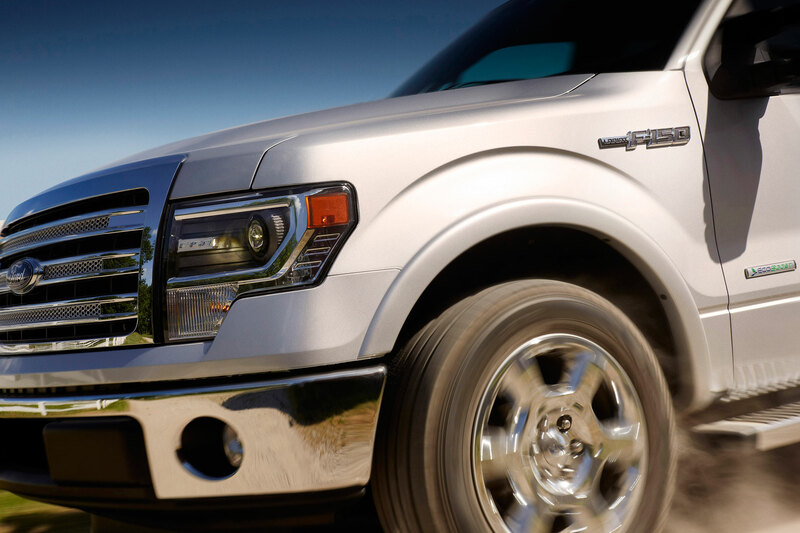 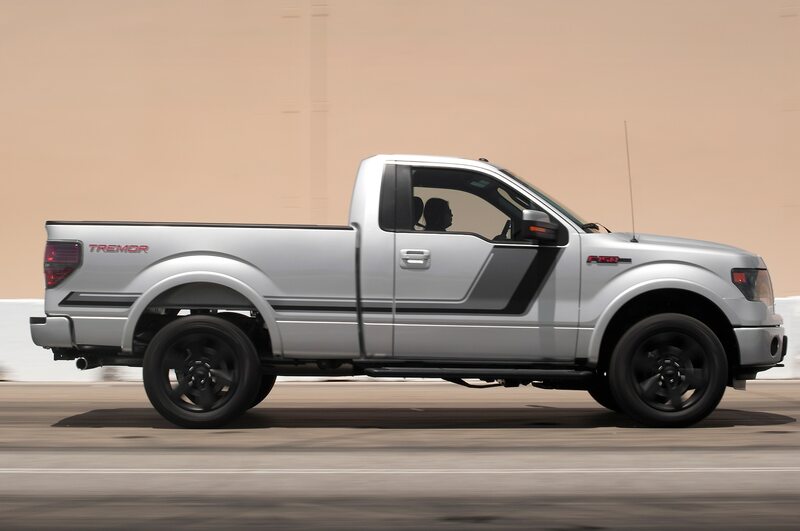 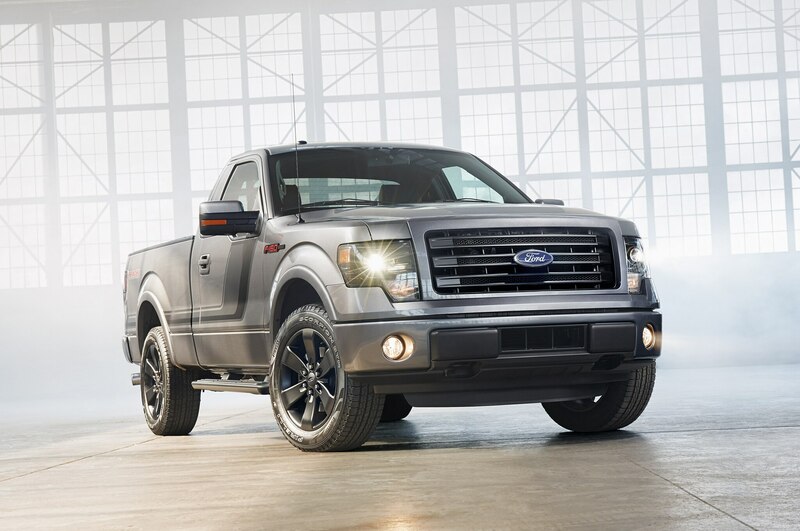 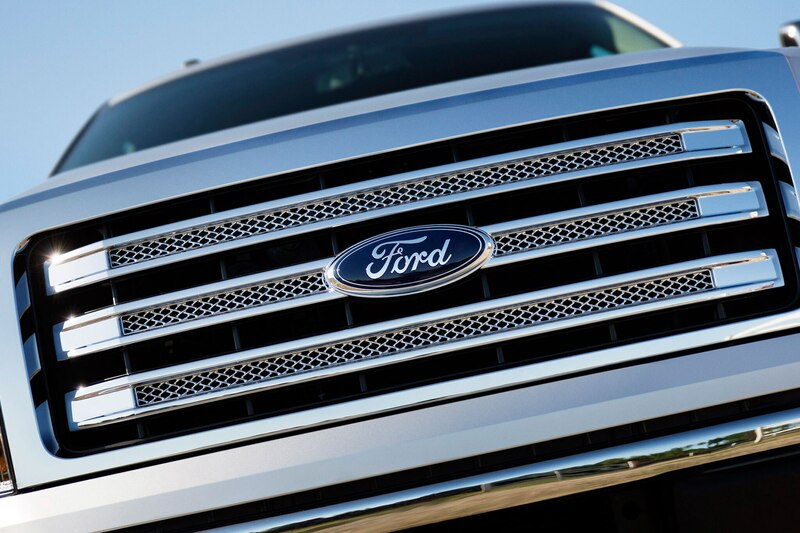 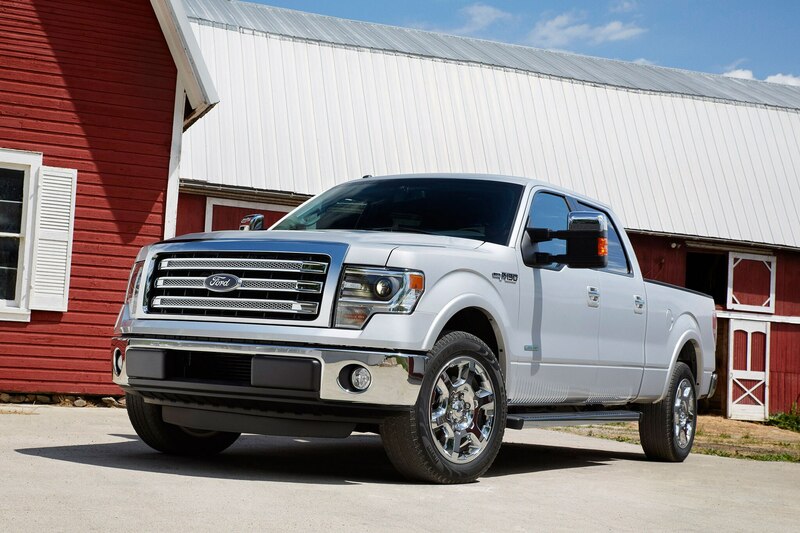 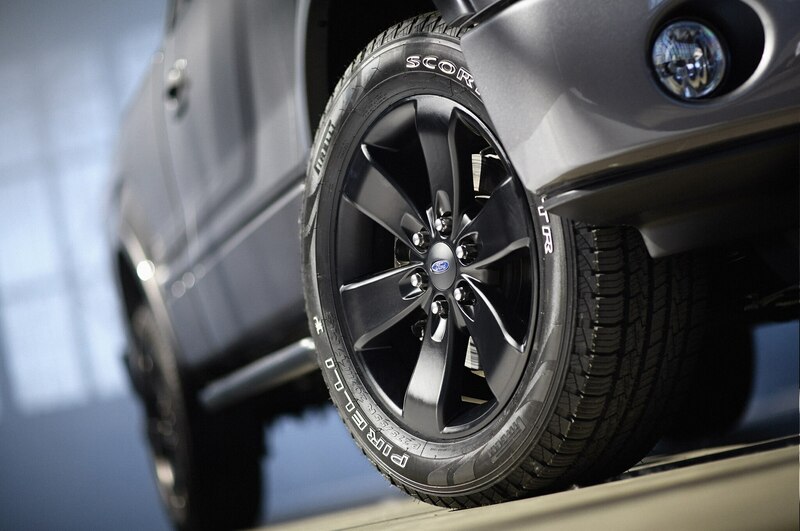 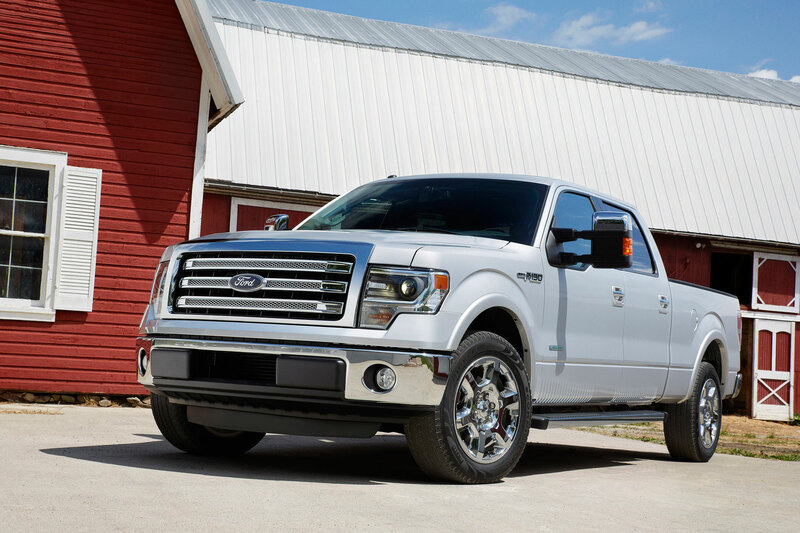 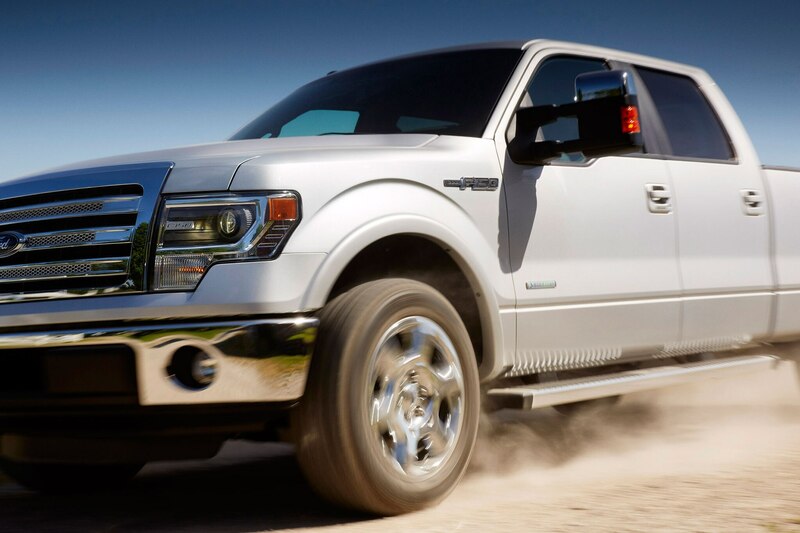 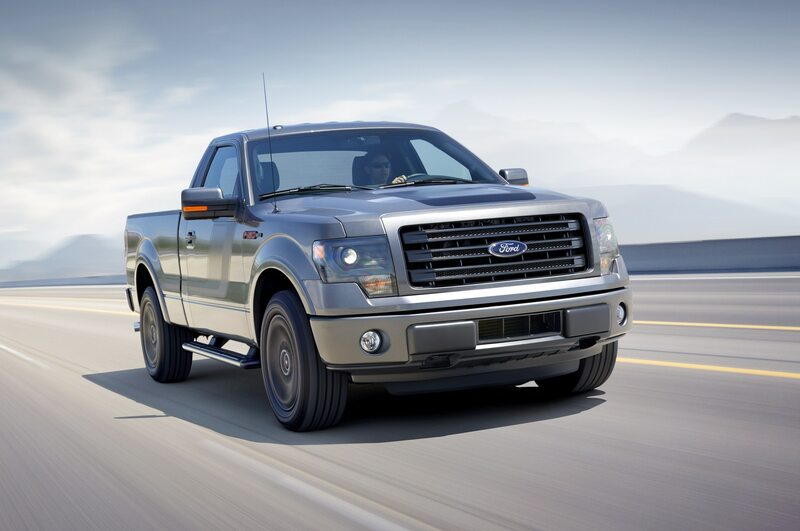 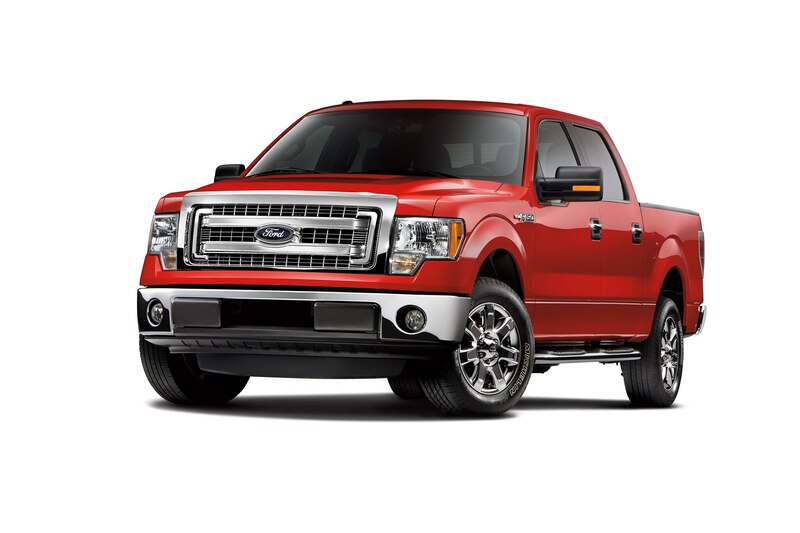 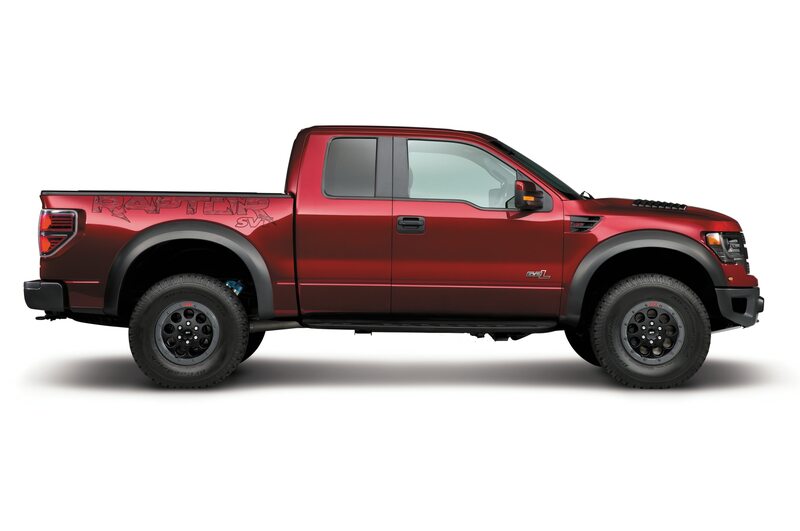 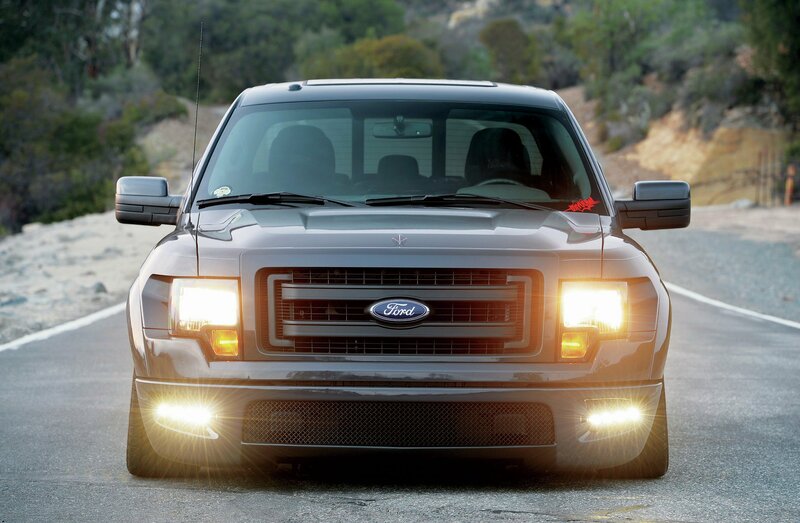 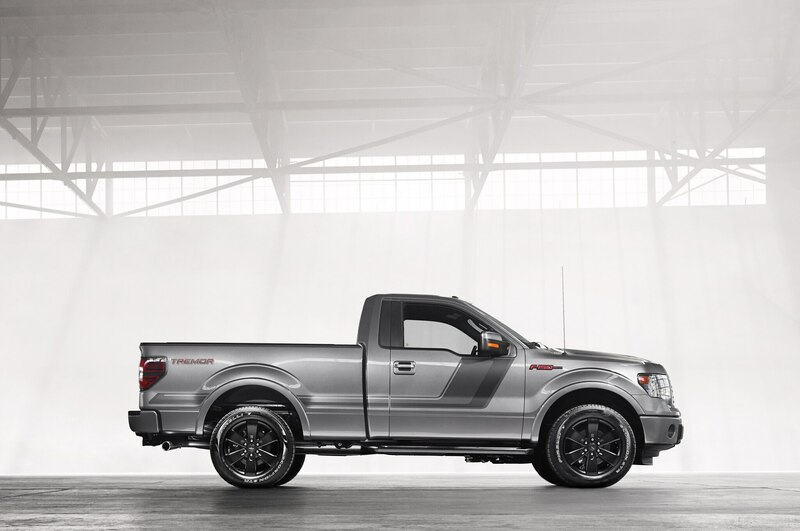 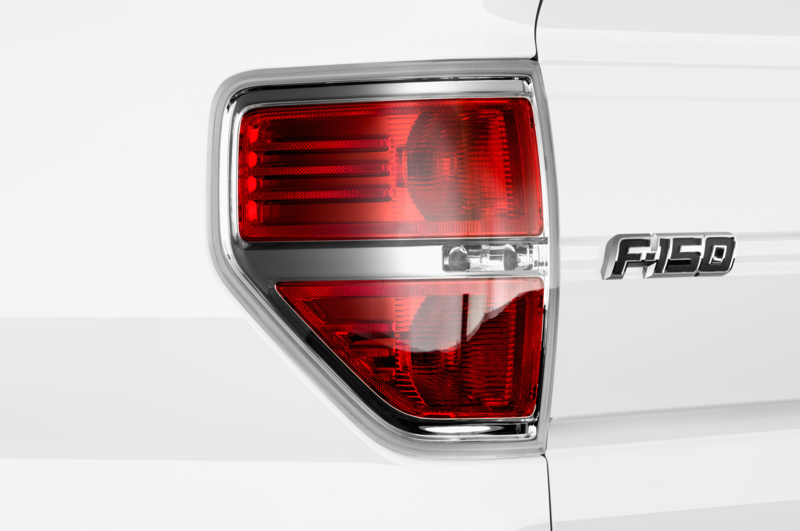 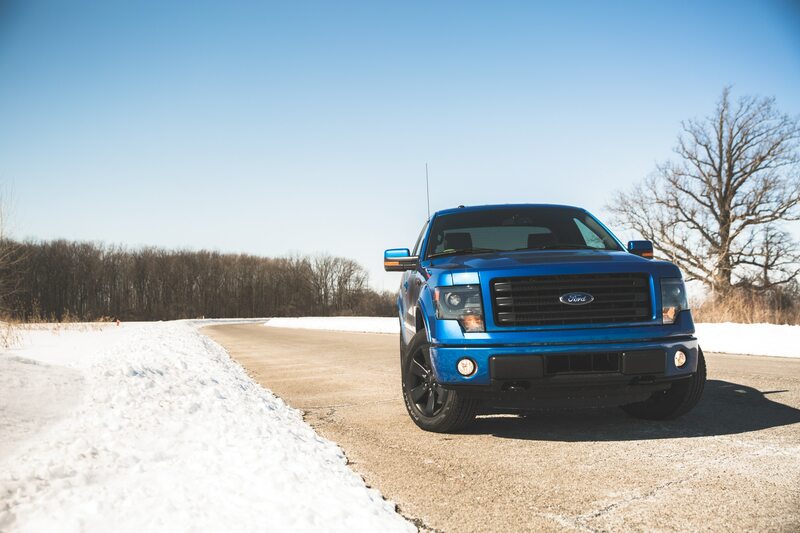 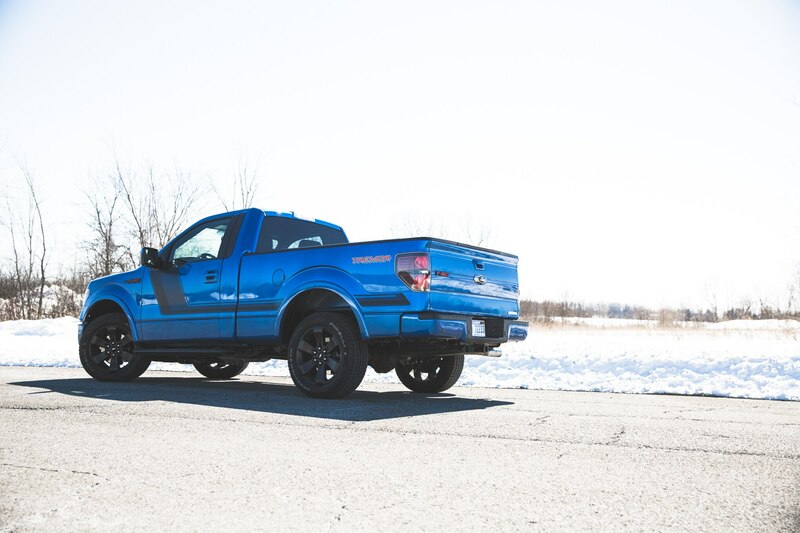 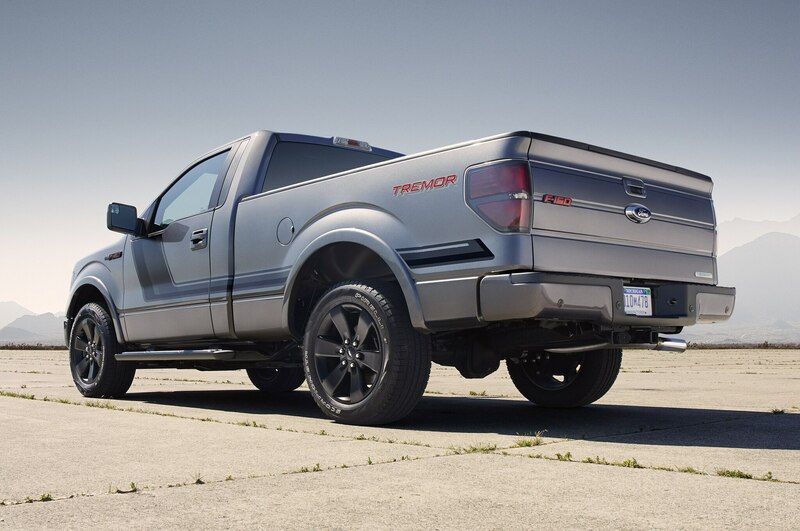 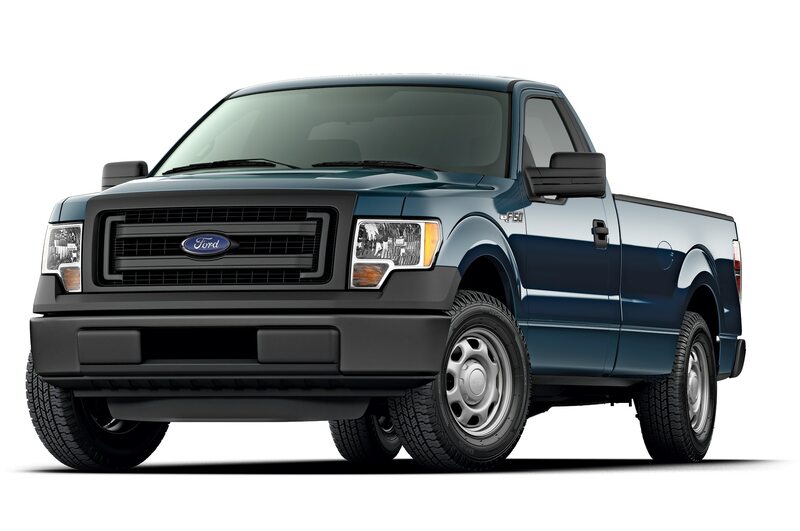 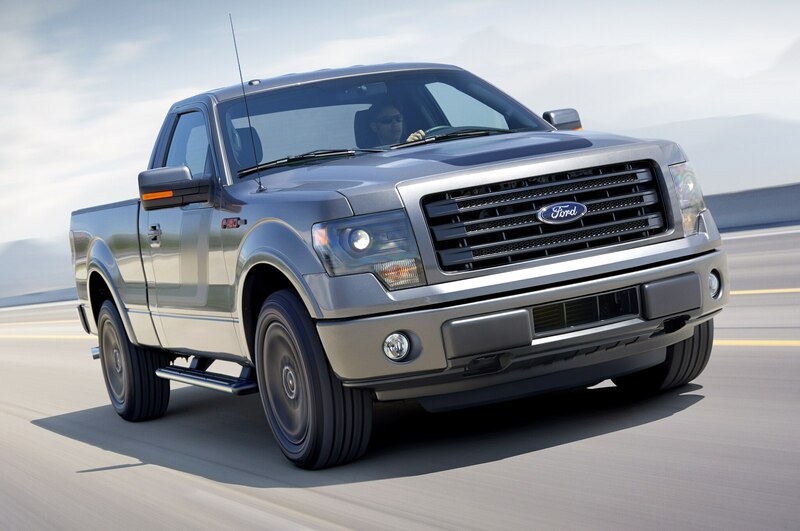 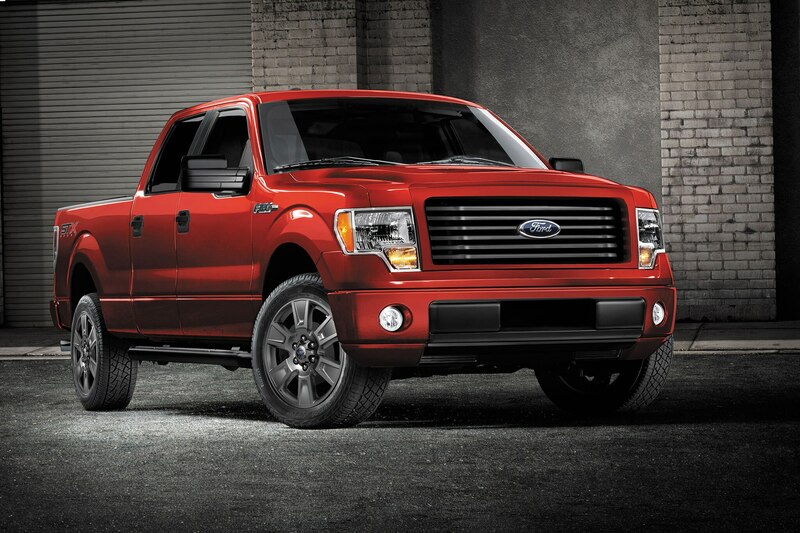 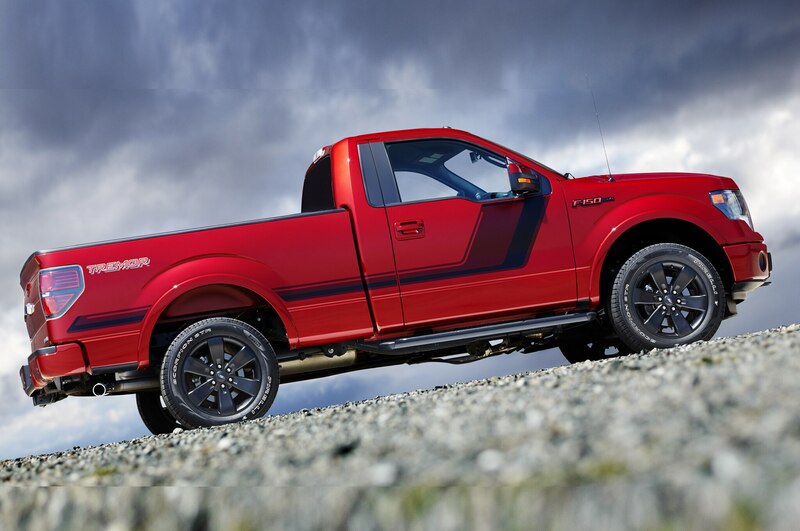 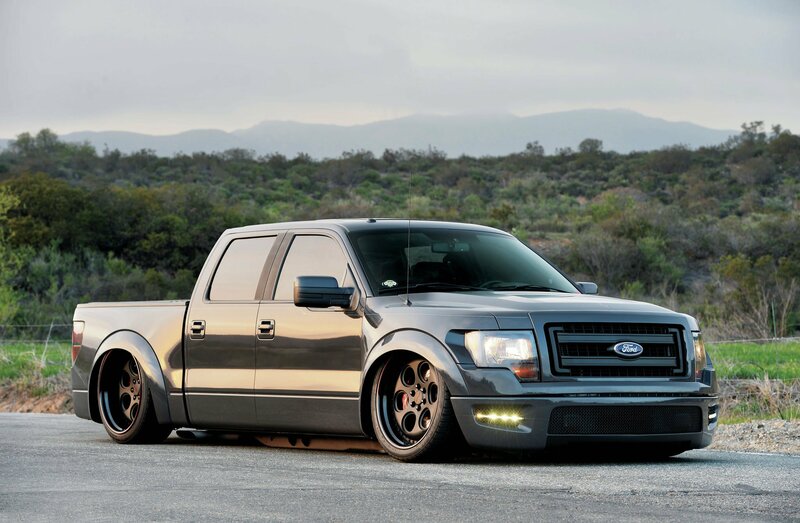 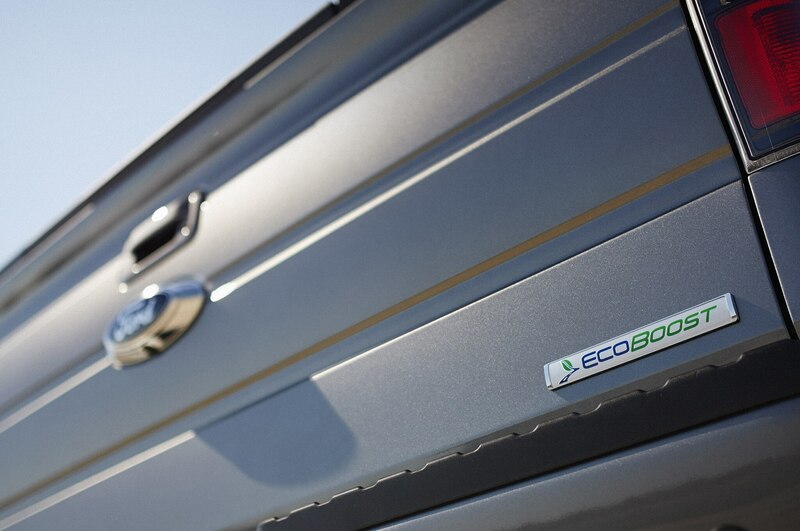 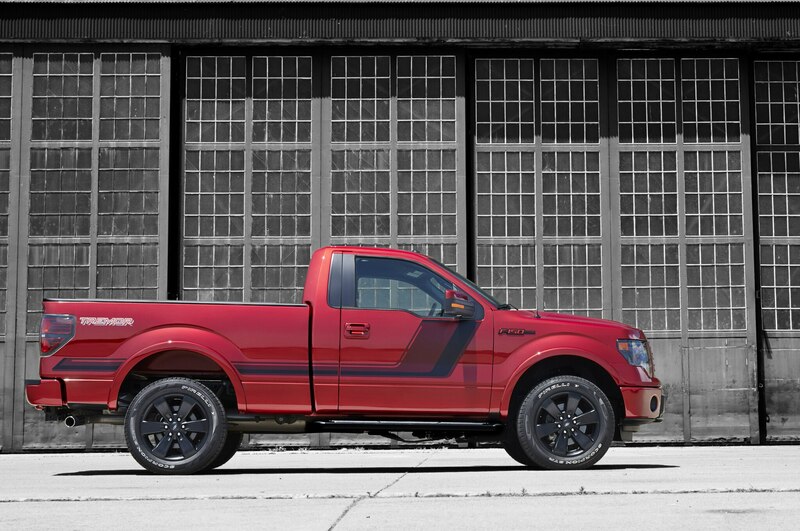 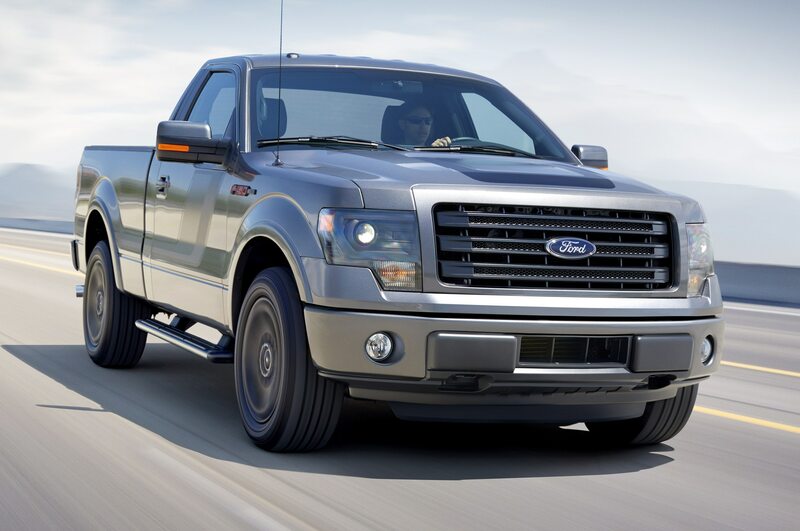 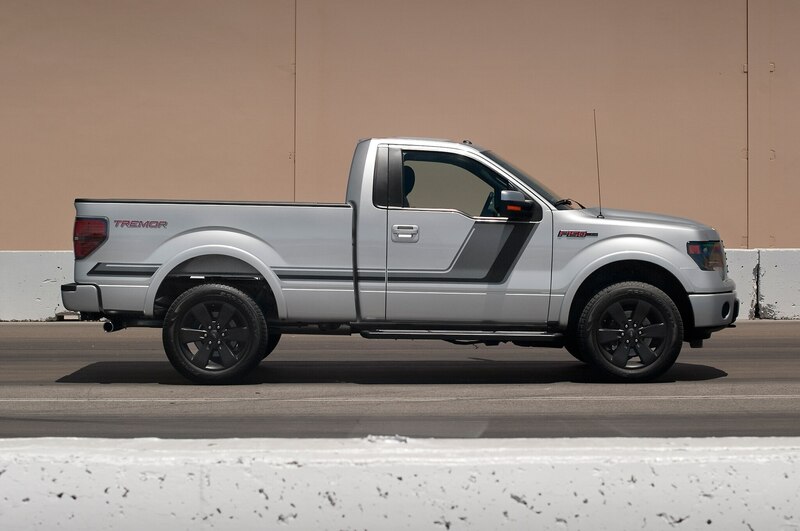 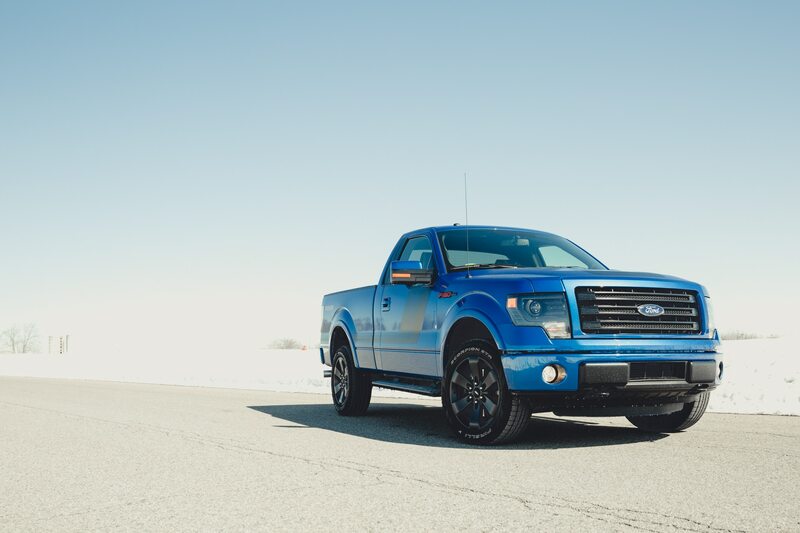 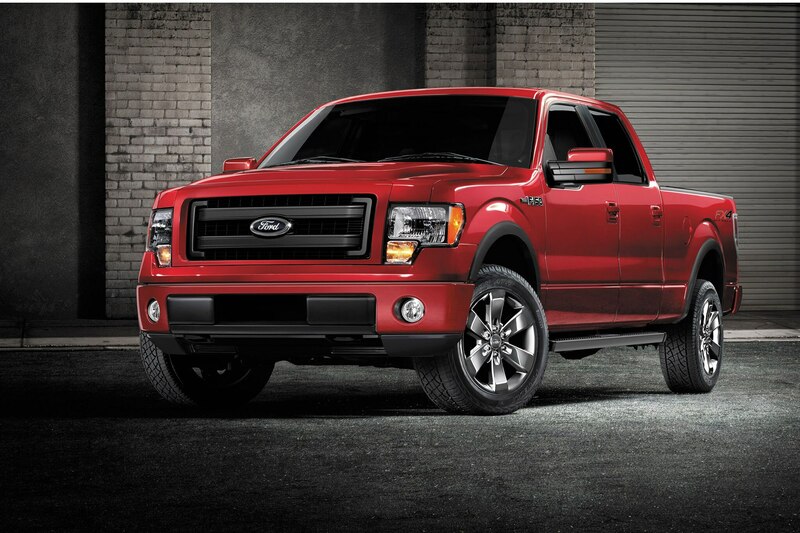 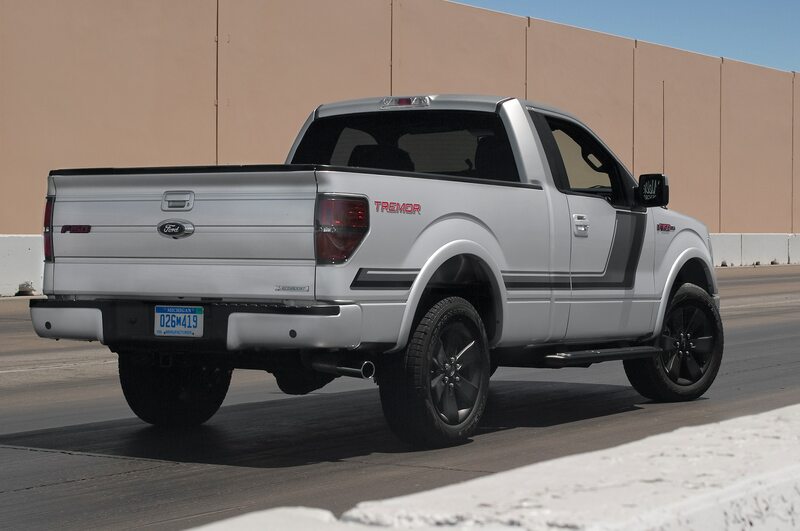 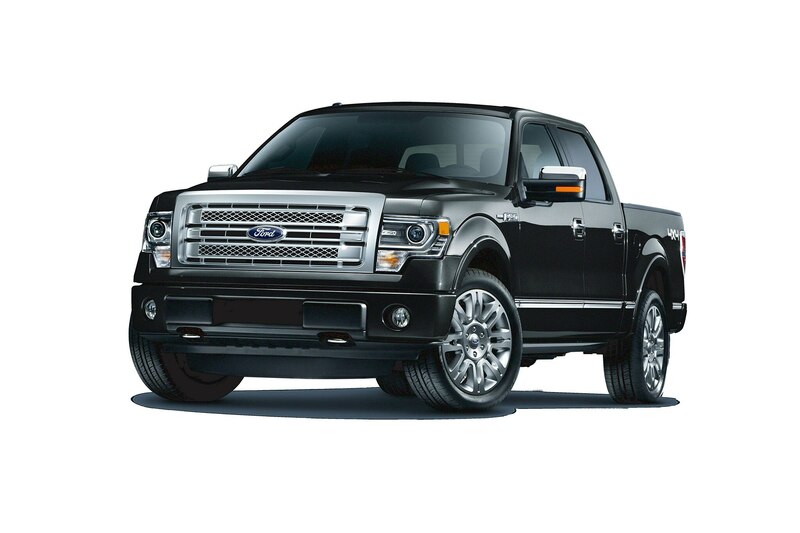 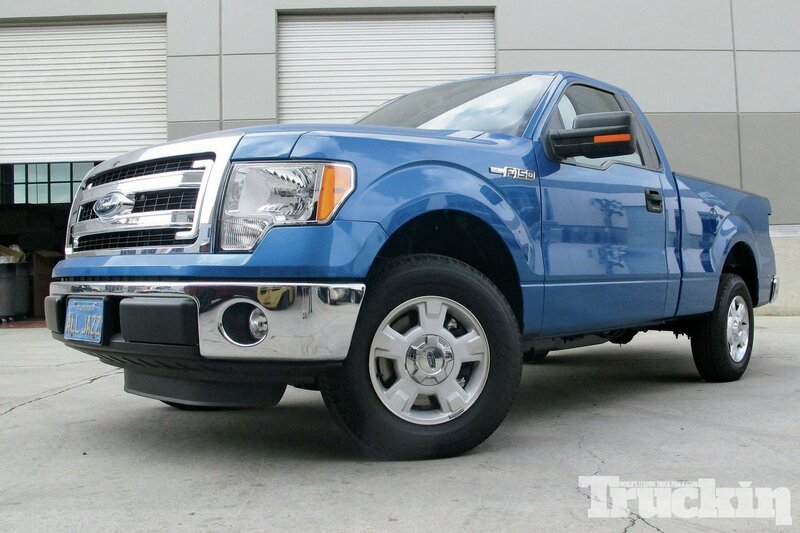 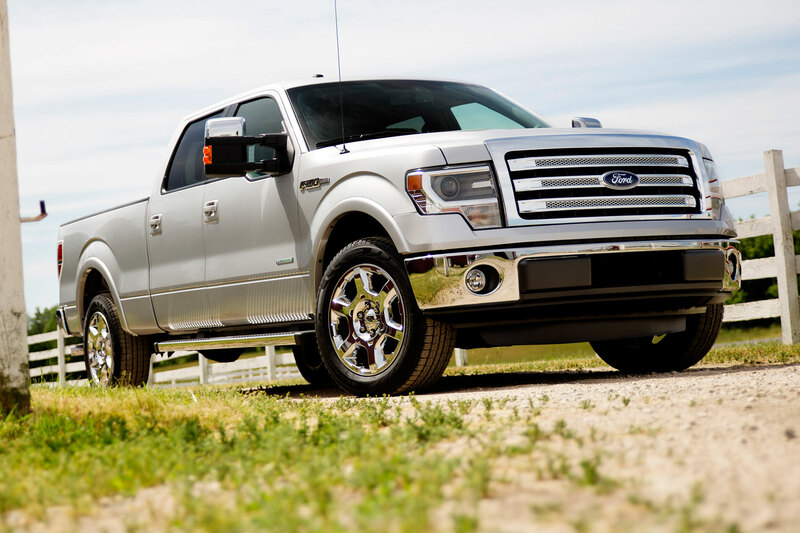 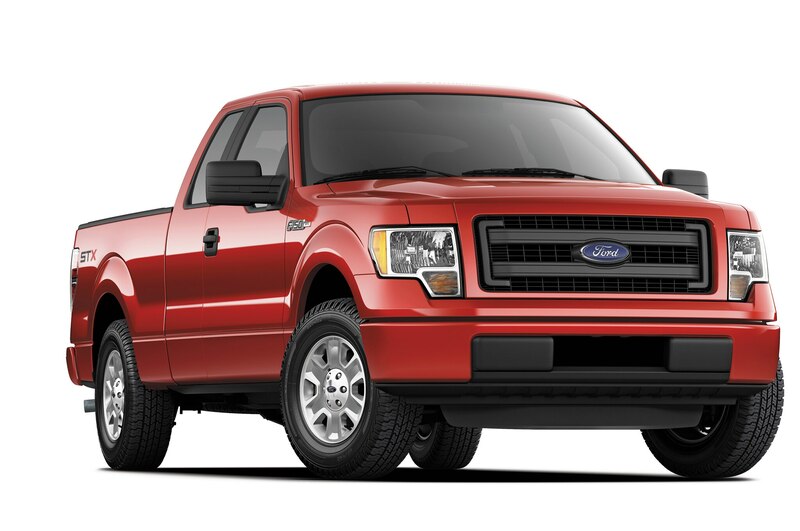 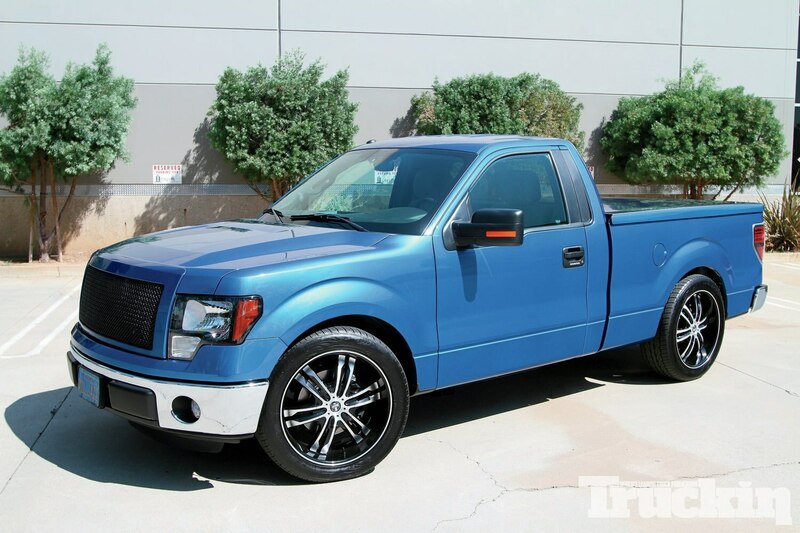 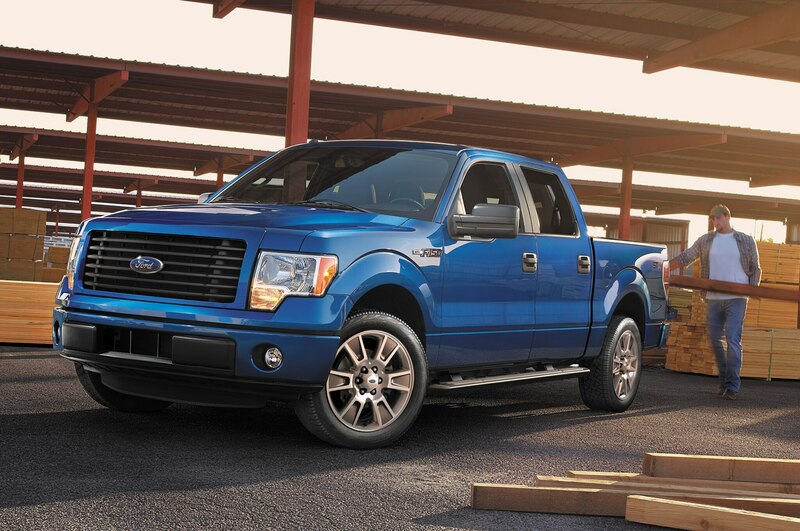 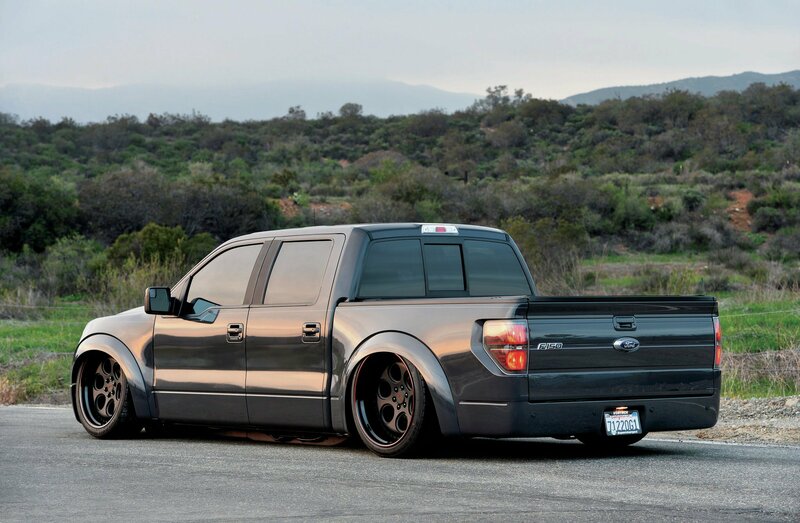 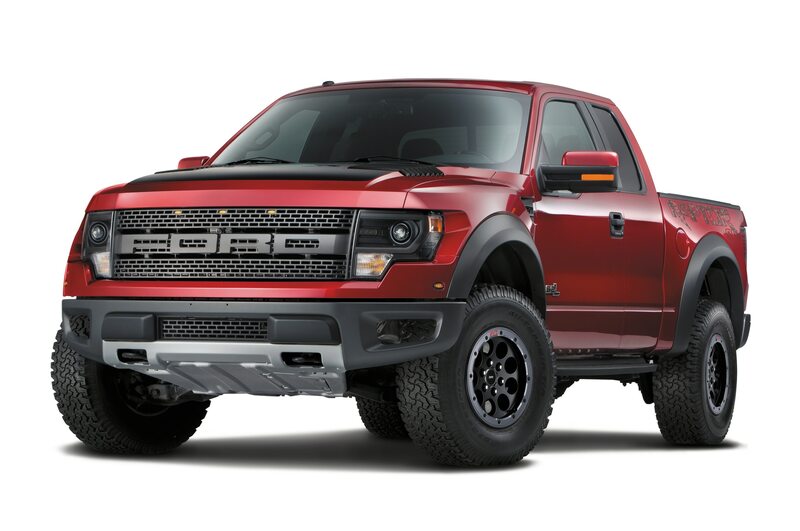 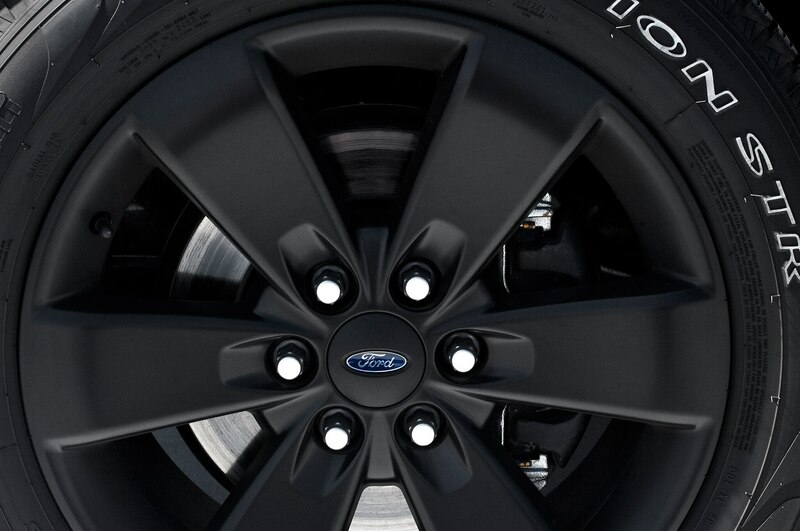 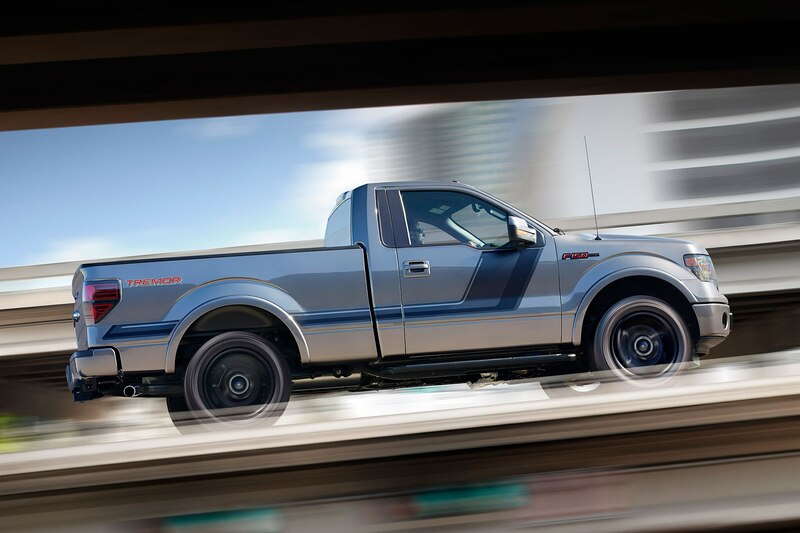 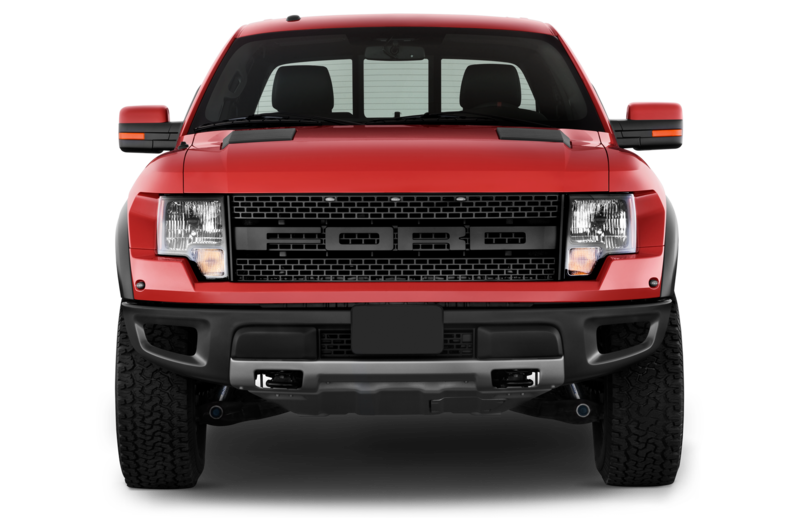 For even less dough, the 305-hp V-6 Ford F-150 would also make our list, at $85.97/hp. 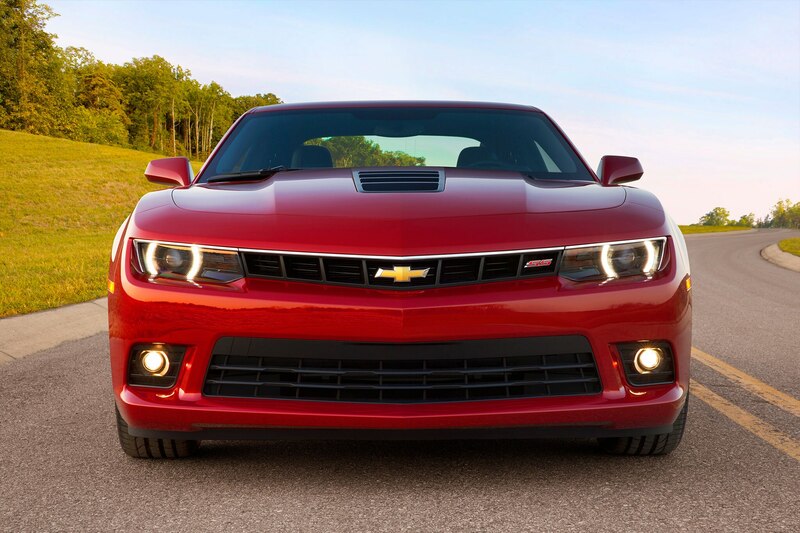 The 2014 Chevrolet Camaro wins top honors in the horsepower war among the six-cylinder pony cars, with a 3.6-liter V-6 that makes 323 horsepower. 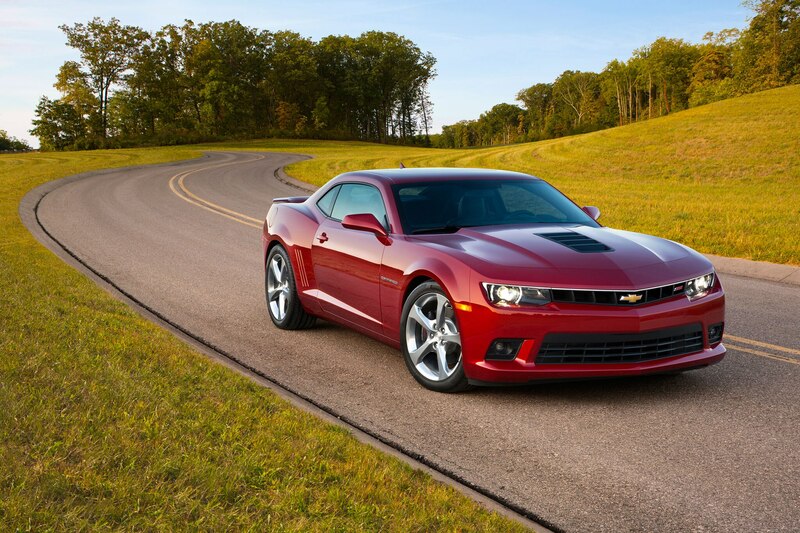 The V-6 Camaro is also the best value on a hp-per-dollar basis. 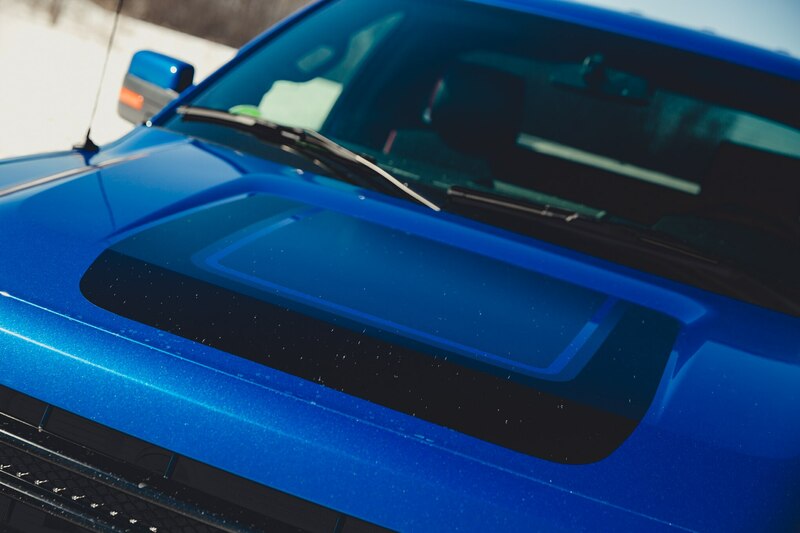 The base 2014 Chevrolet Camaro 1LS doesn’t include much in the way of equipment, but it does present an undeniable bargain at $24,550. 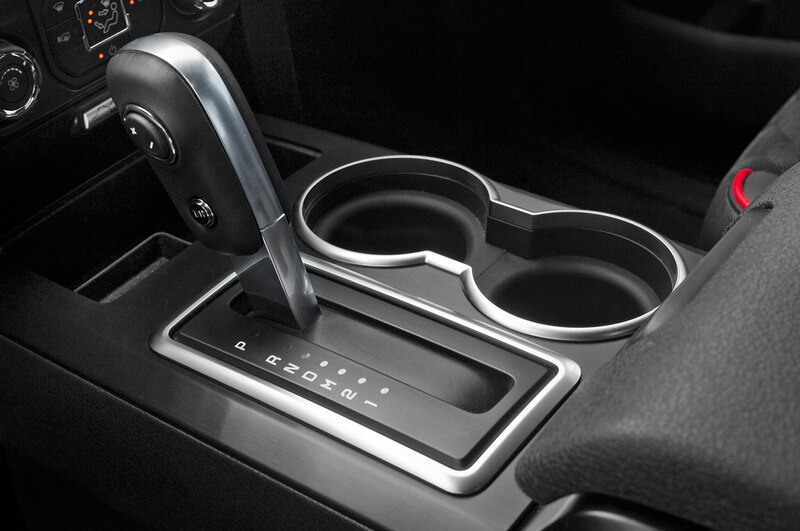 Also standard is a six-speed manual gearbox, making those 323 ponies even more fun. 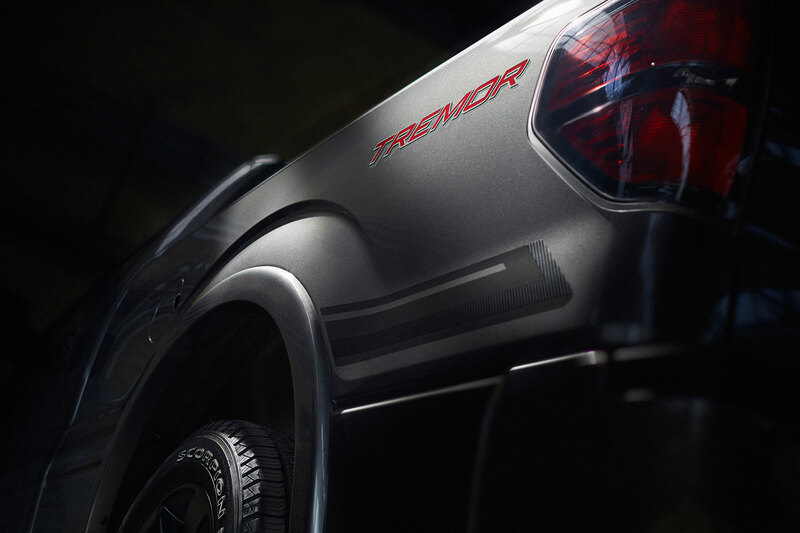 When the next-gen Camaro finally arrives in 2015, we hope it’ll stay on our list. 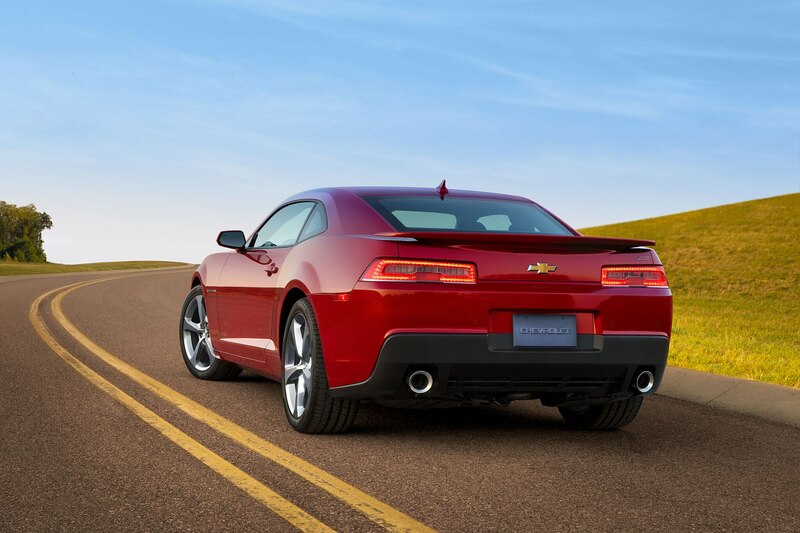 It was a close one, but the Mustang just barely lost out to the rival Camaro. 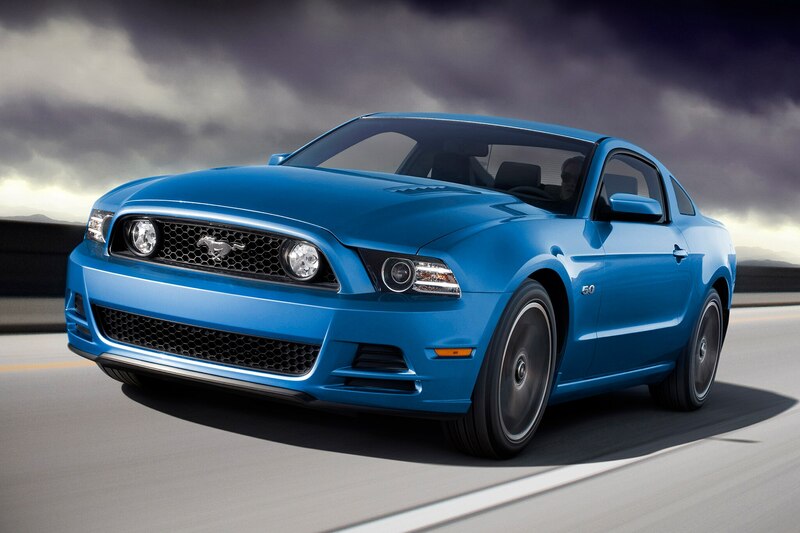 Even so, the Mustang faithful will be happy to know that America’s pony car is as good of a deal as ever. 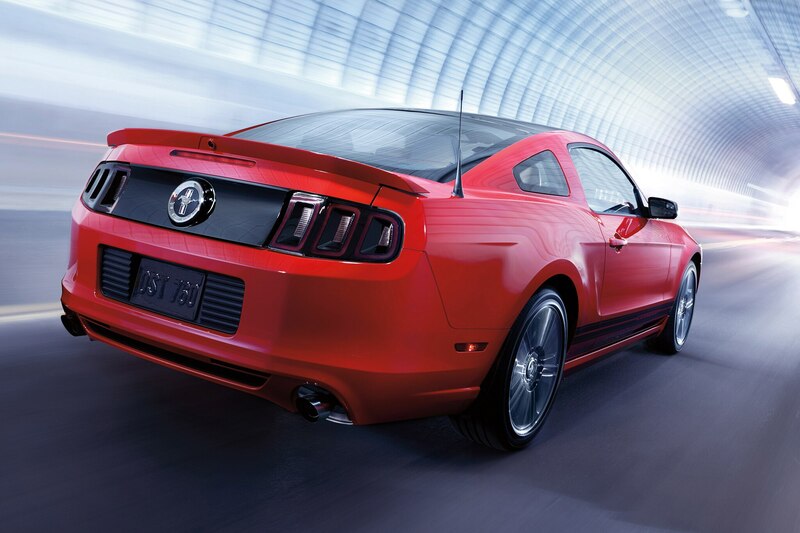 The 2014 Ford Mustang coupe totals $23,335, making it the lowest-priced pony car. 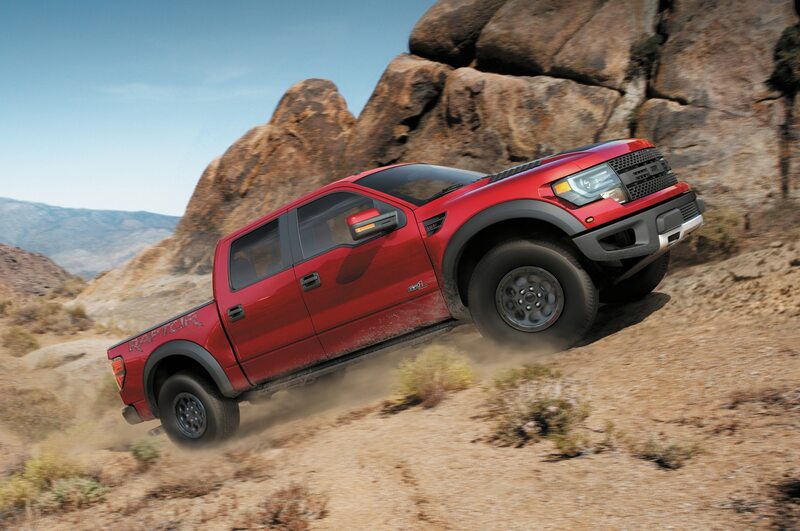 Its base, 3.7-liter V-6 makes 305 hp and is mated to six-speed manual transmission. 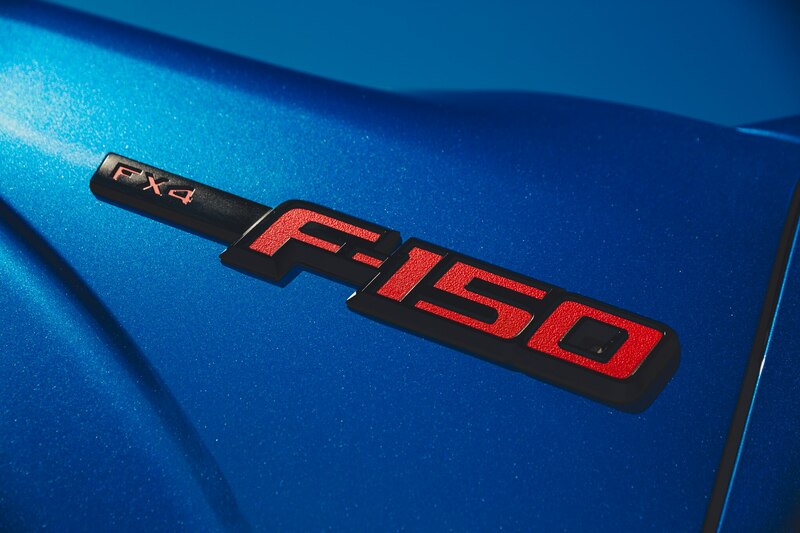 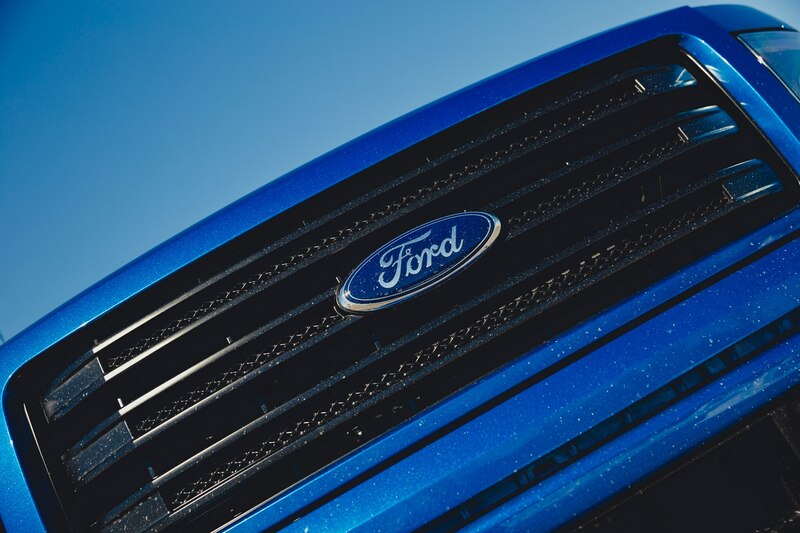 Later in the year, we’ll see this engine carry over into the entry-level 2015 Ford Mustang, which starts at $24,425. 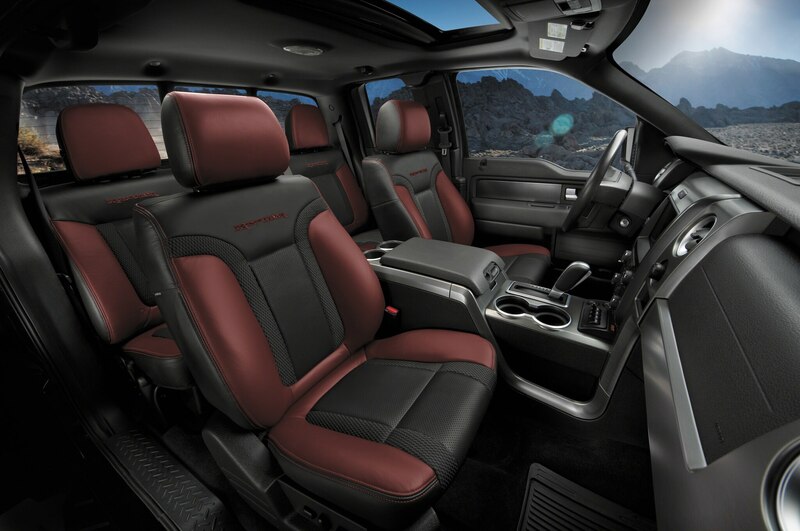 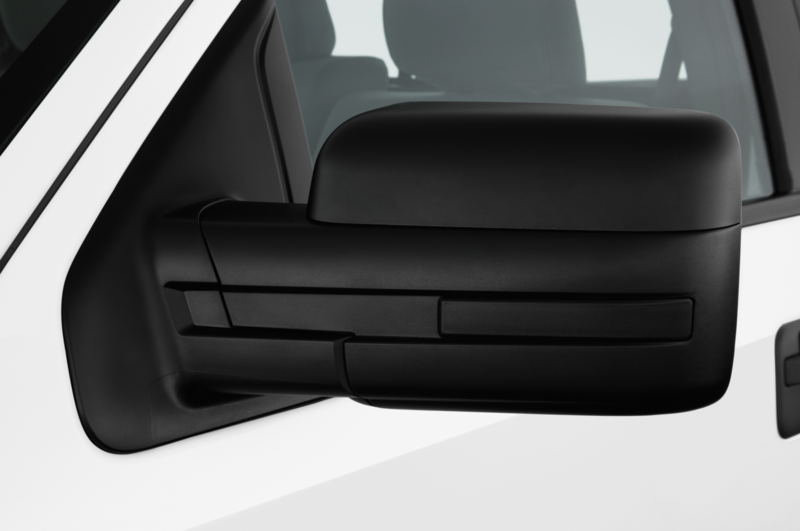 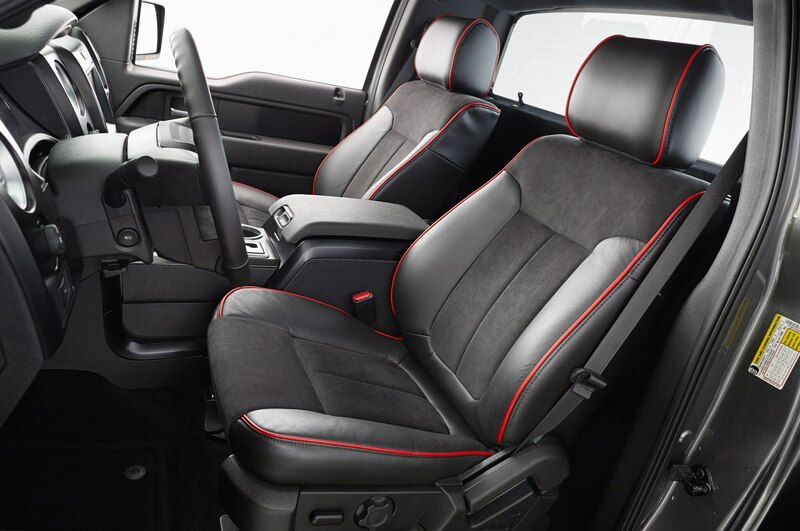 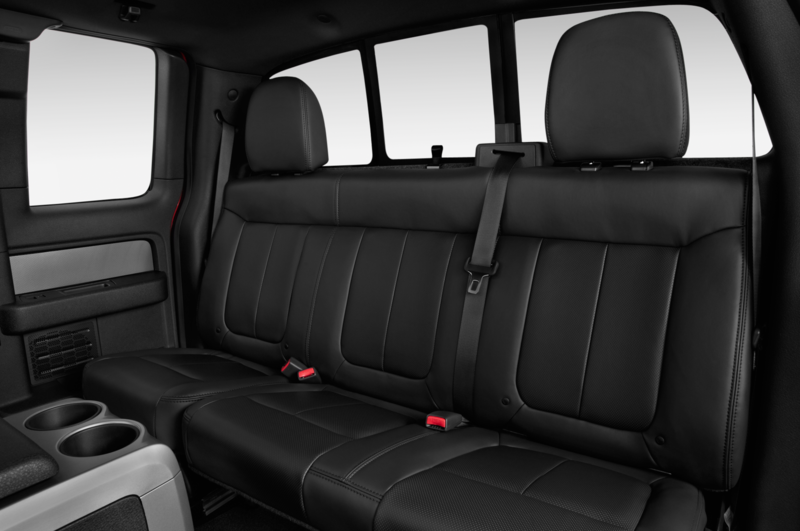 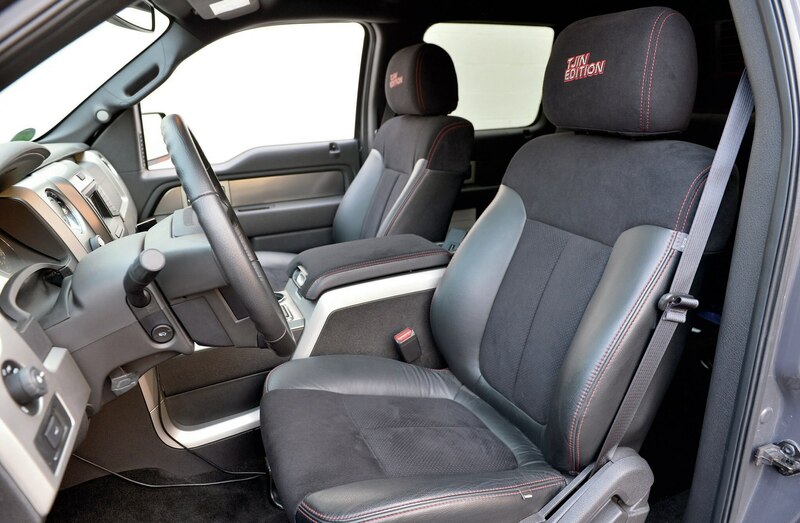 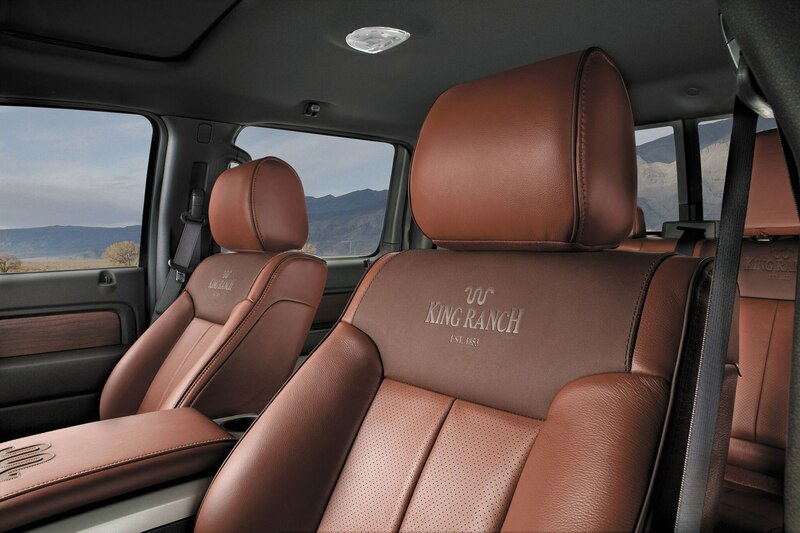 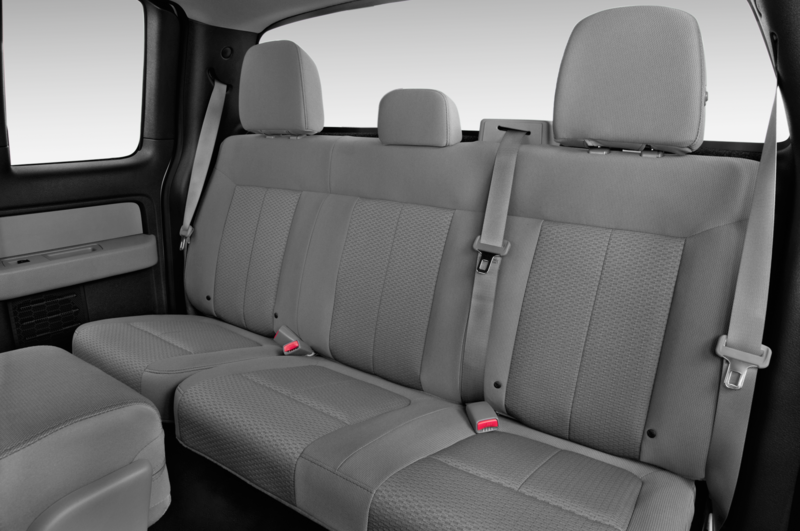 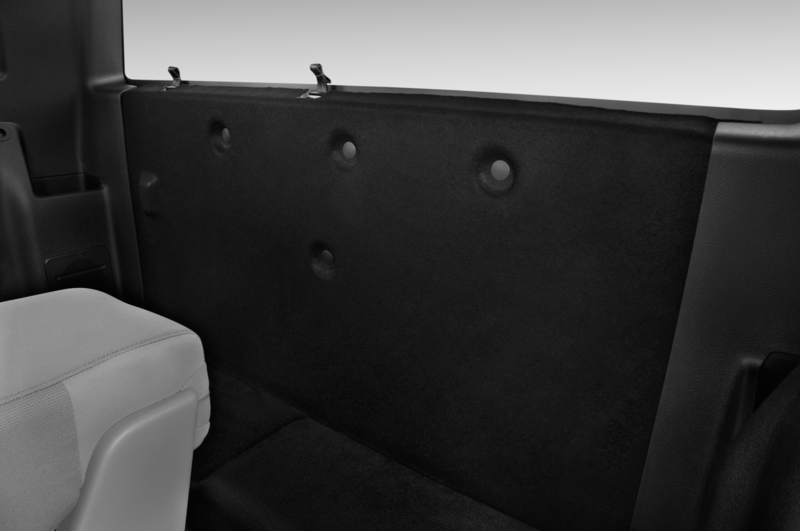 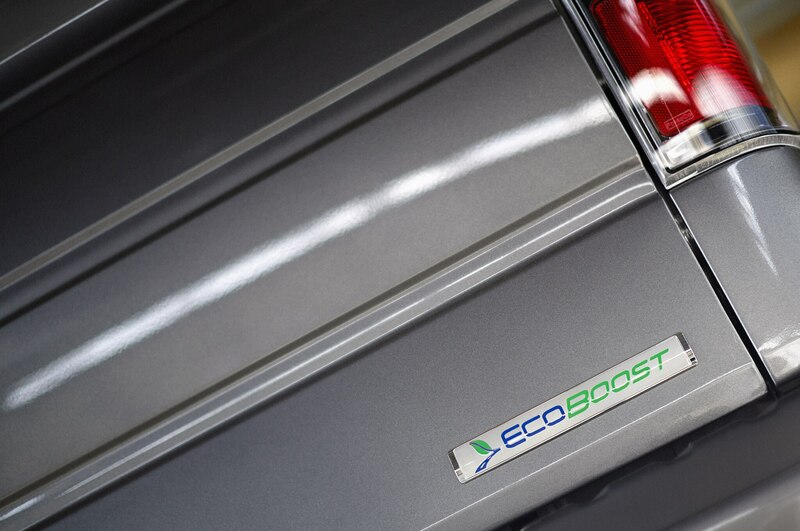 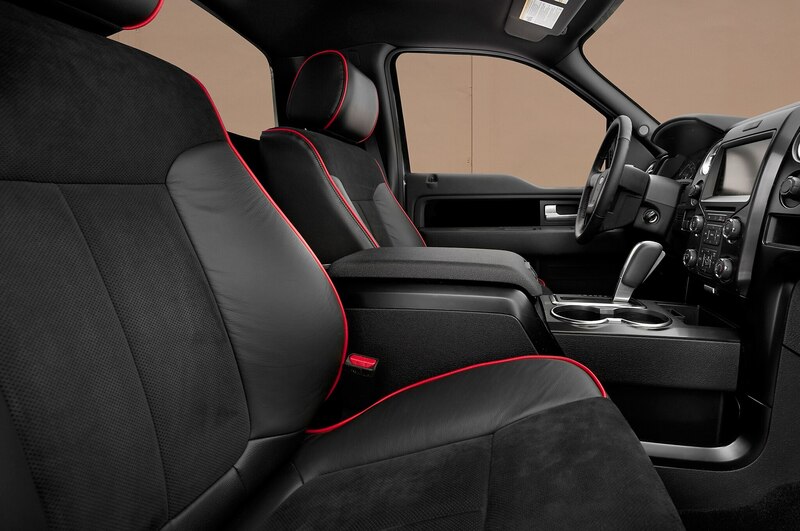 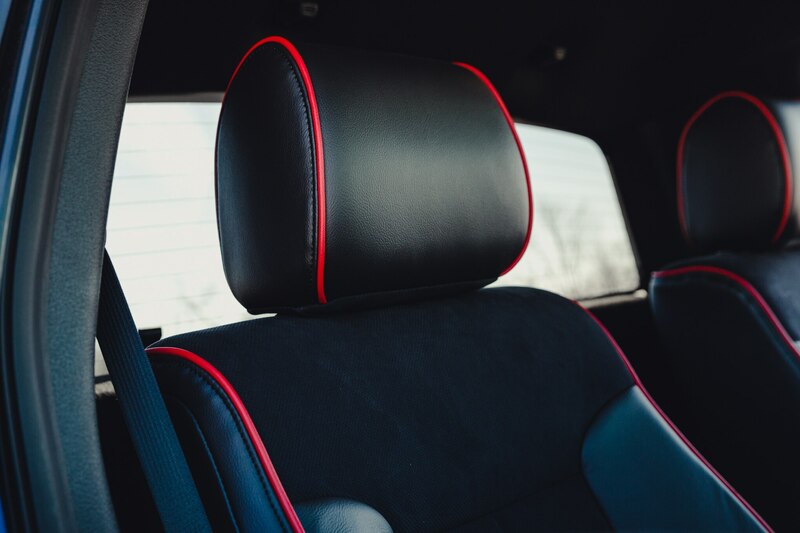 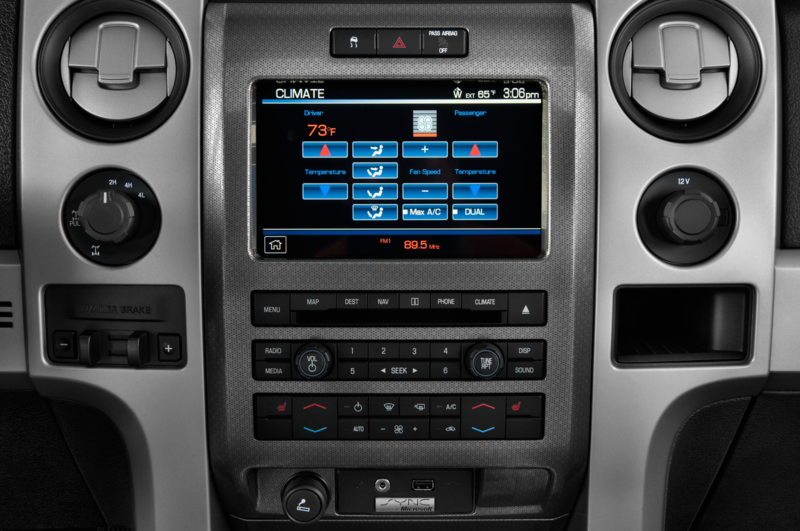 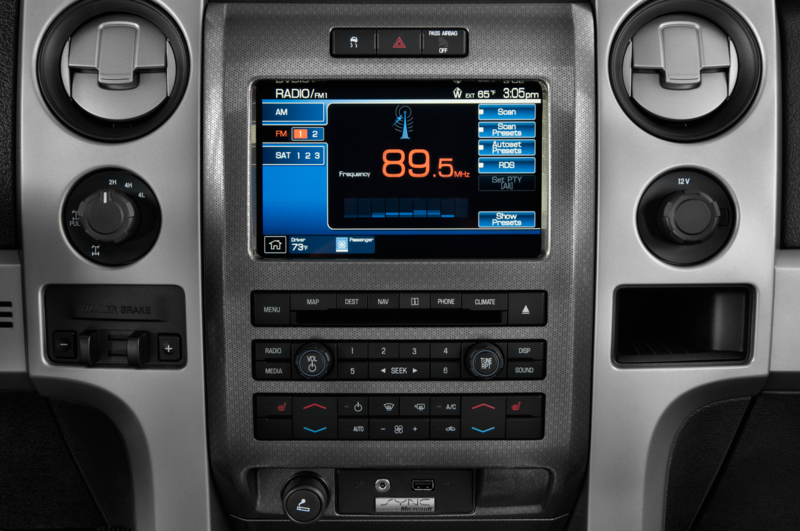 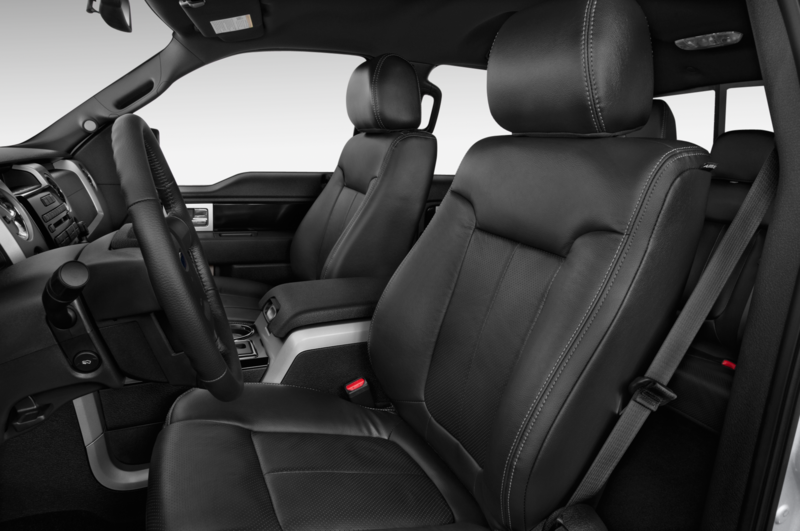 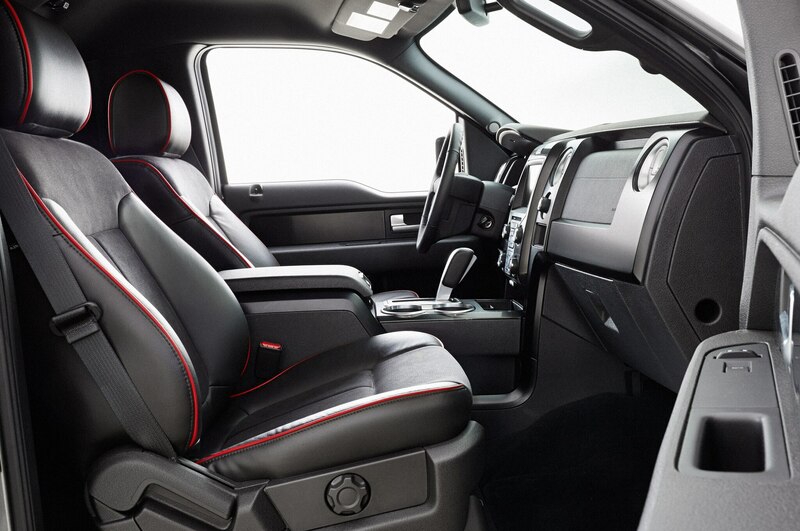 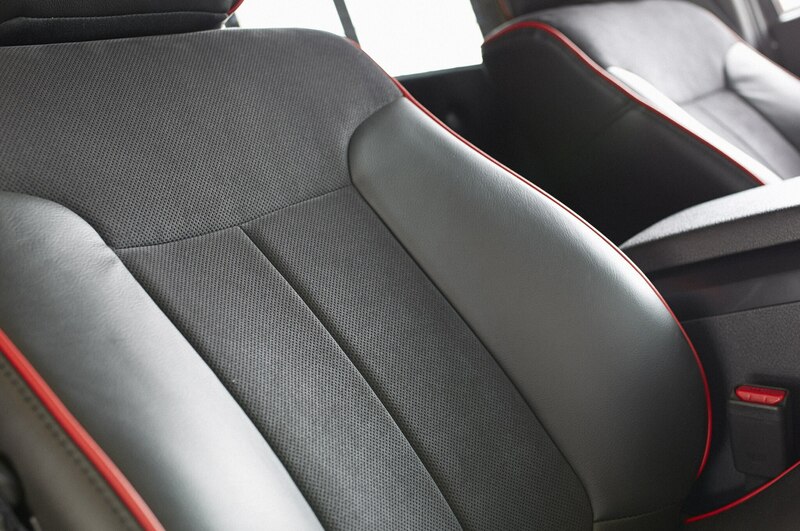 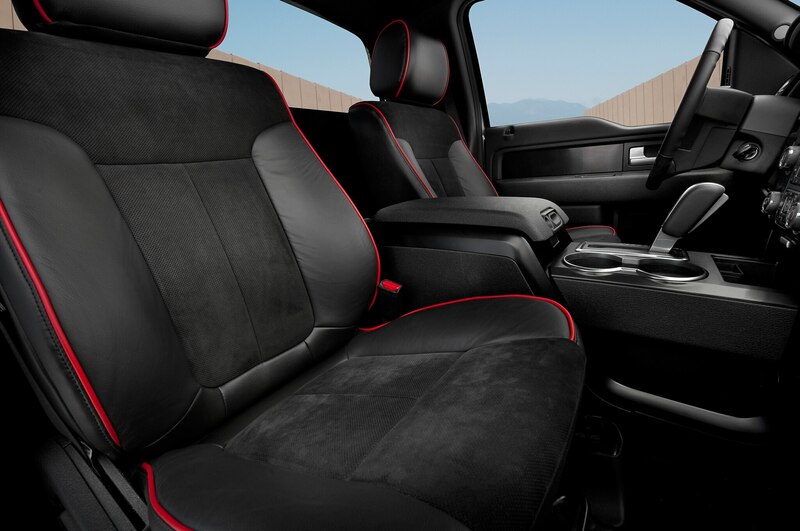 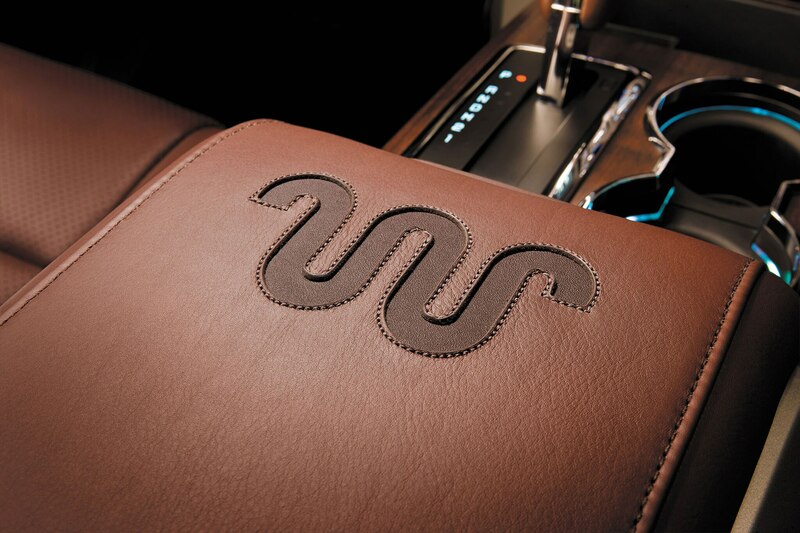 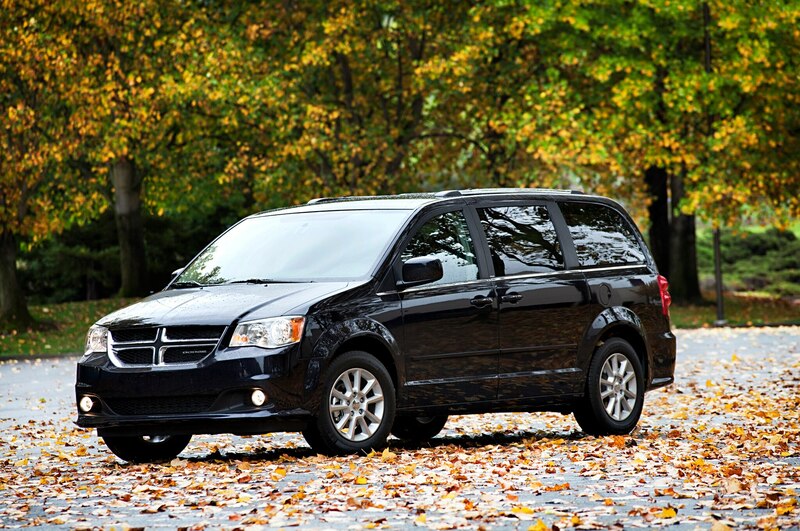 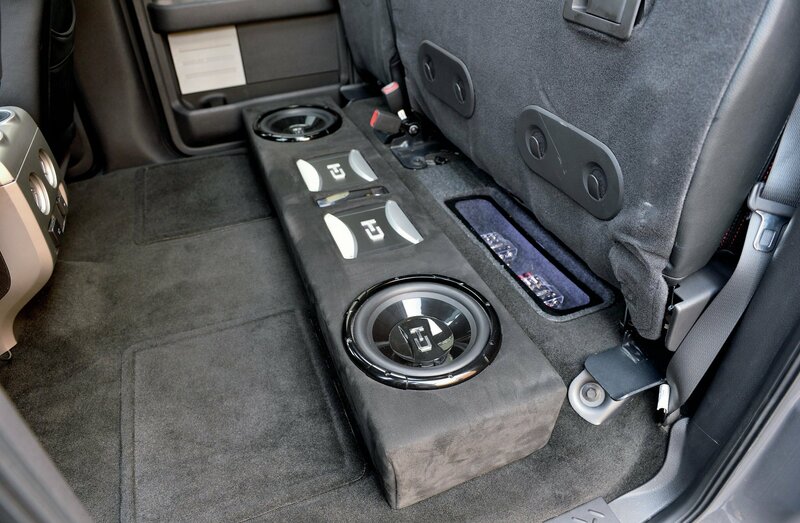 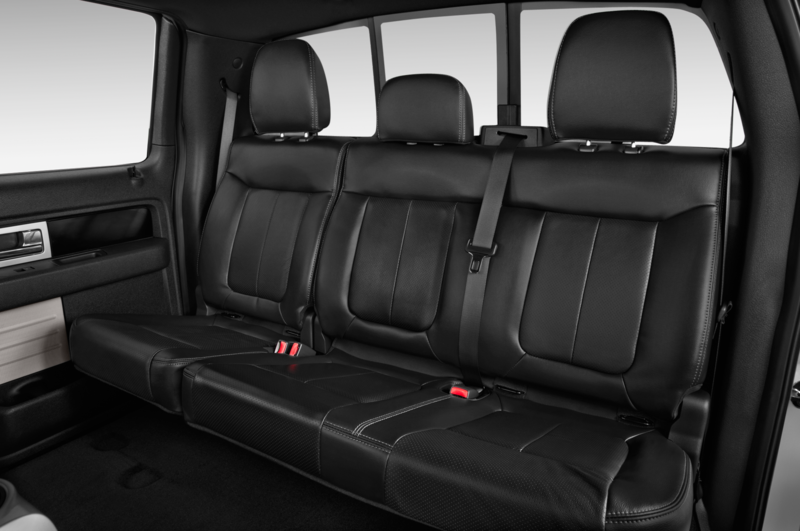 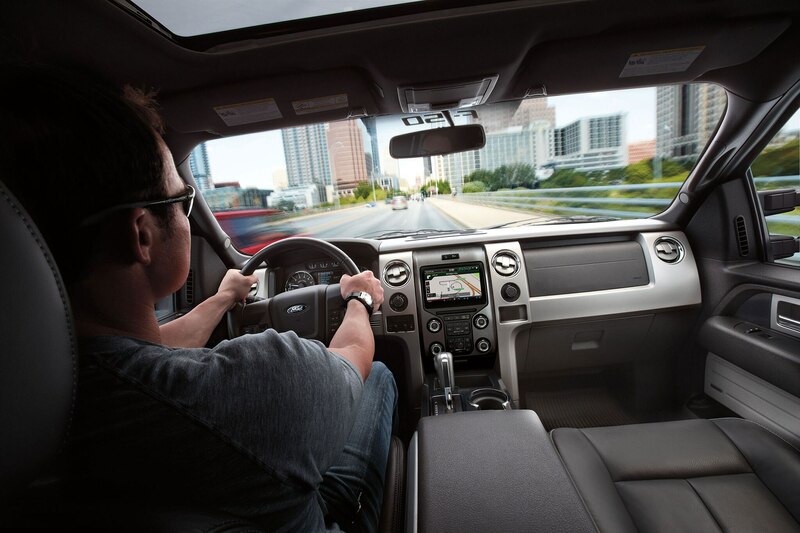 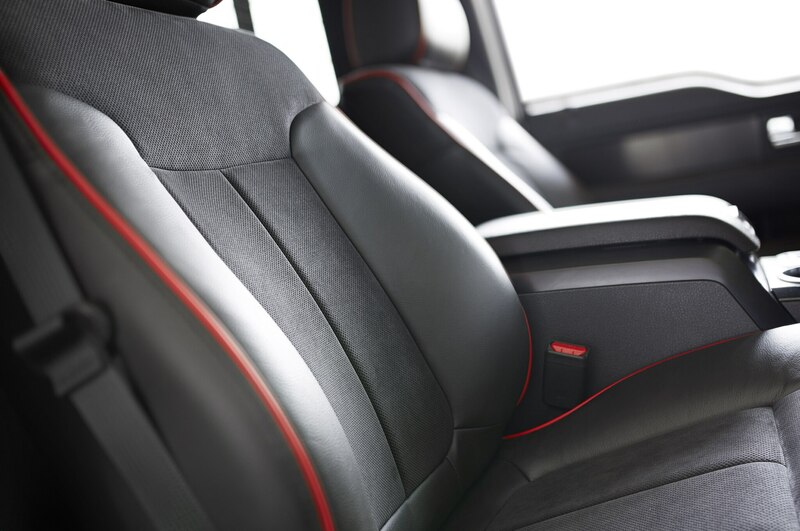 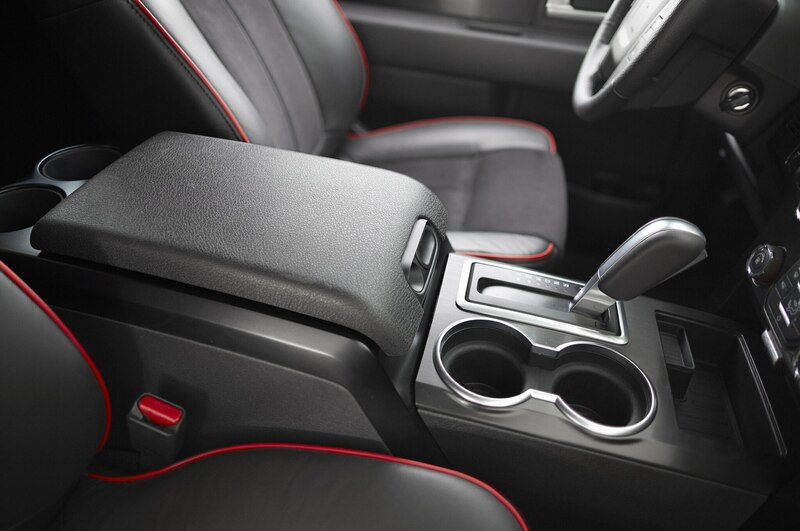 Stow ‘N’ Go seating isn’t the only thing to brag about with the 2014 Dodge Grand Caravan. 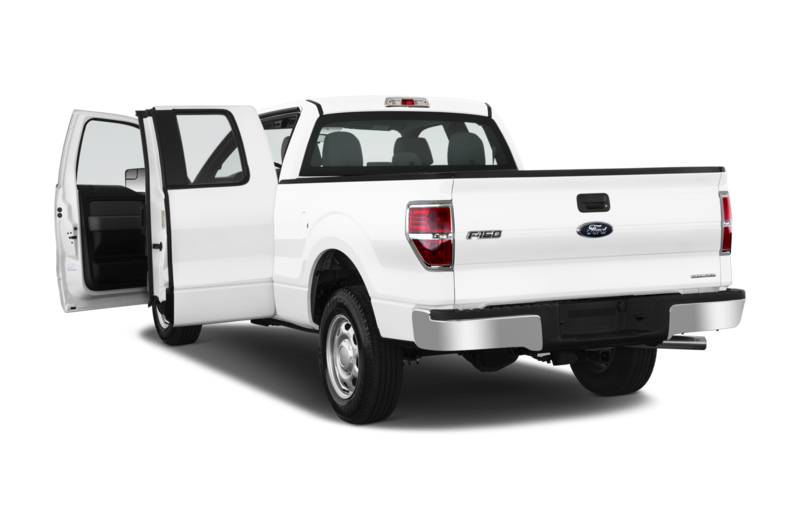 This classic people mover can be had in a stripped-down, All-American Value Package trim level that stickers for only $21,890. 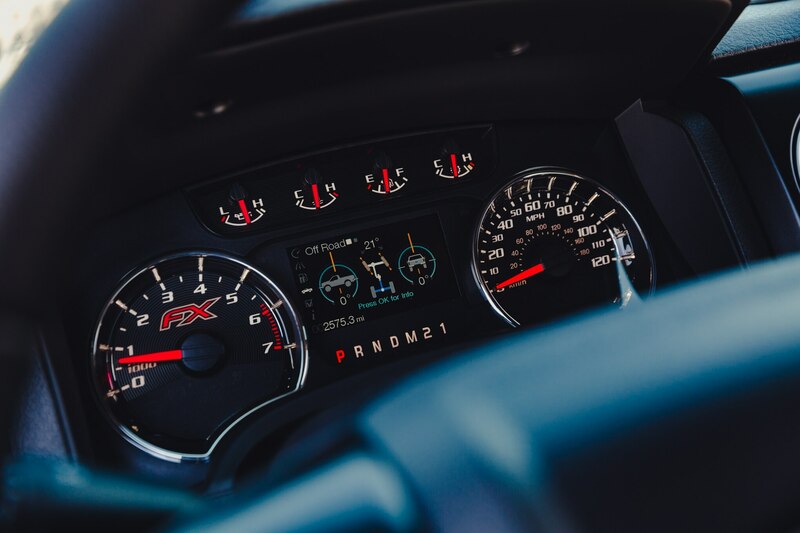 Even at that price, Caravan buyers will still get Dodge’s 283-hp Pentastar V-6, which appears on this list a total of five times. 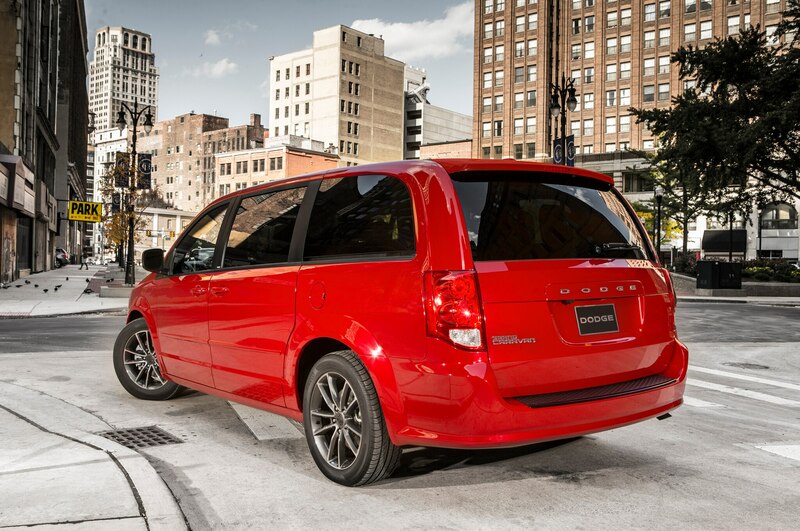 It’s a minivan with sports-car-level horsepower—who could complain? 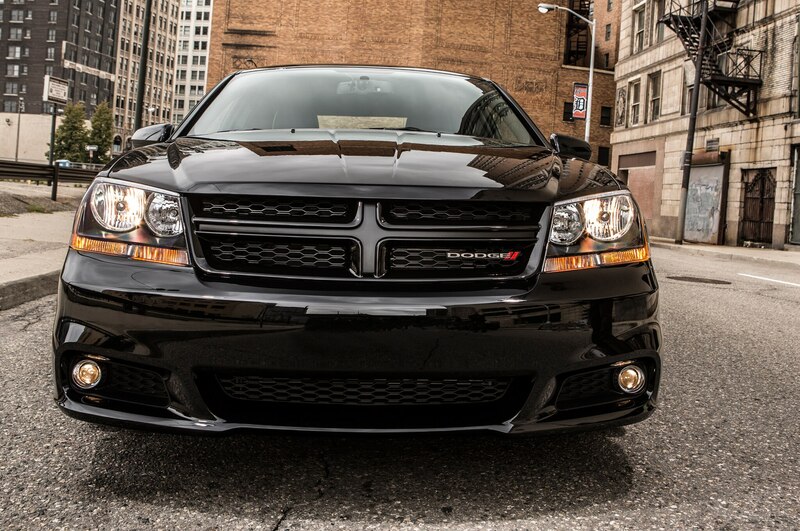 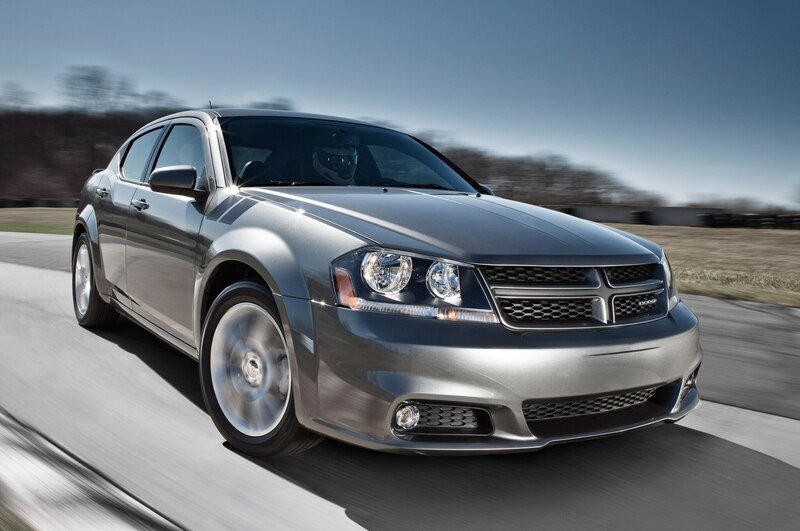 The 2014 Dodge Avenger will be dropped after this year, so this is the last crack you’ll get at the Pentastar V-6-powered sedan. 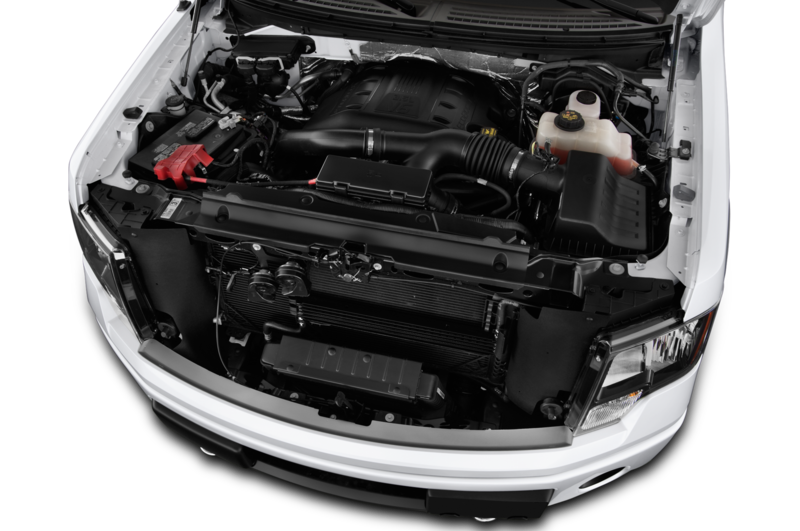 Although it makes a healthy 283 hp, the Avenger never caught on in the marketplace due to its unrefined driving dynamics and cramped interior. 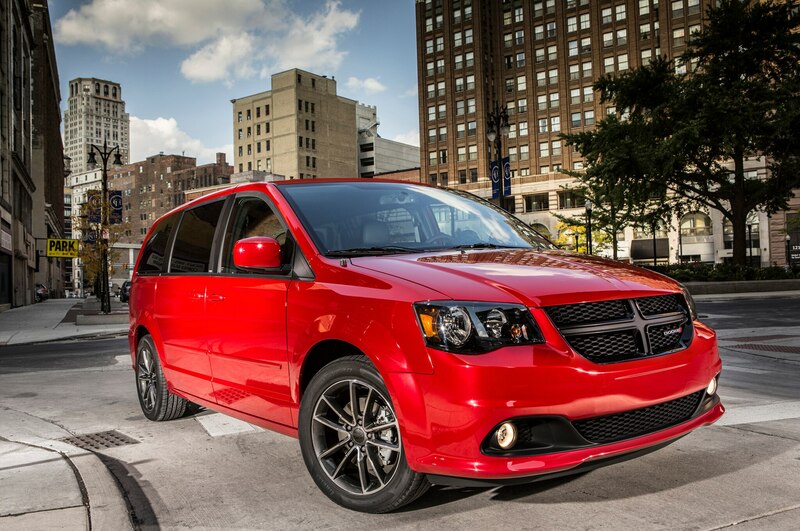 The good news is that it is still mighty cheap — with the $1000 optional V-6, the Avenger’s price tag reads $22,590. 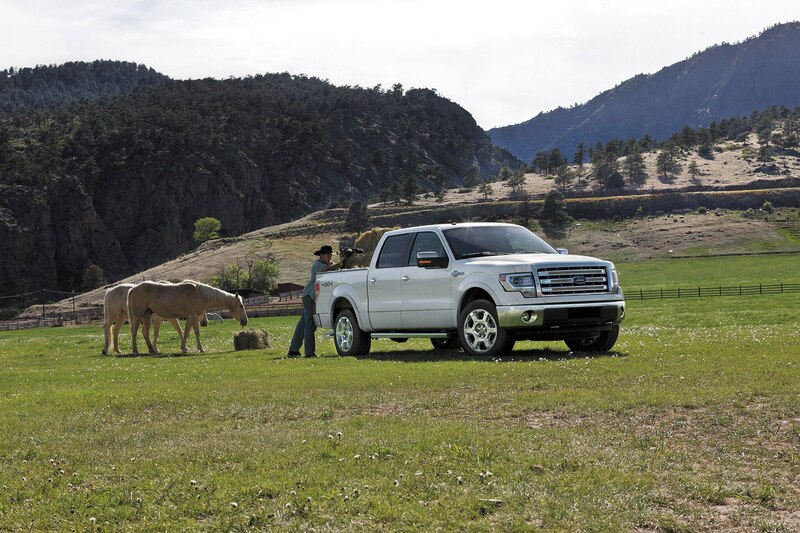 If all you care about is cheap horses with the convenience of a four-door sedan, look no further. 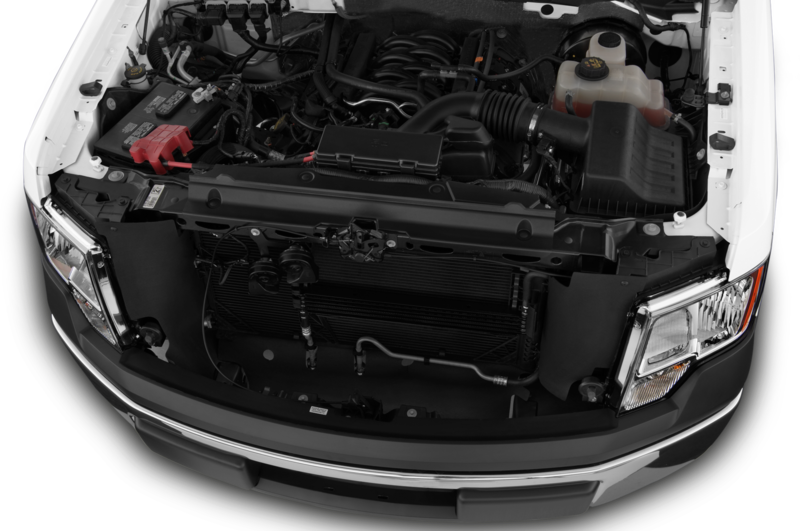 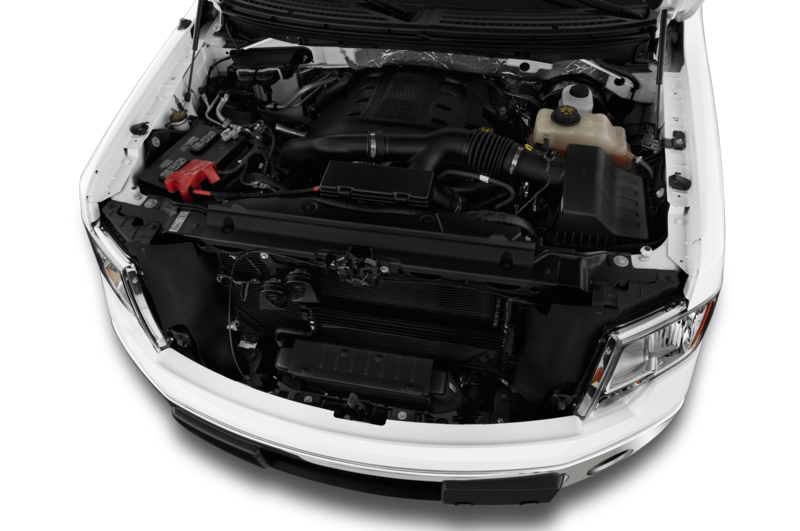 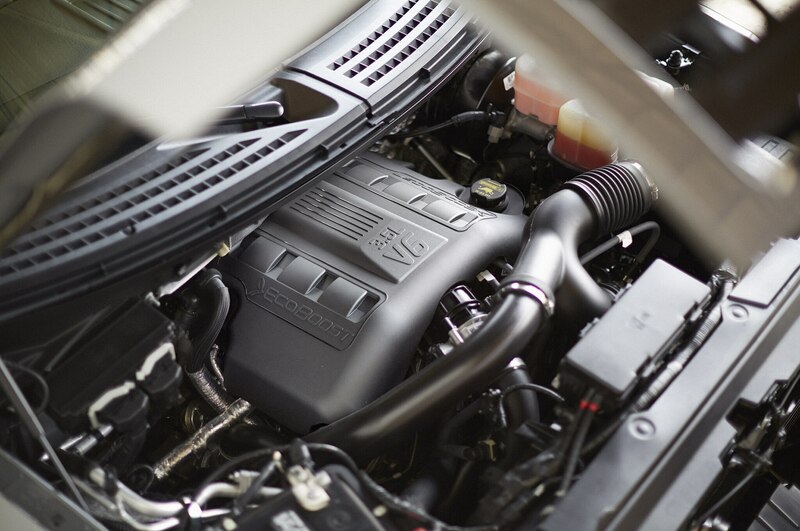 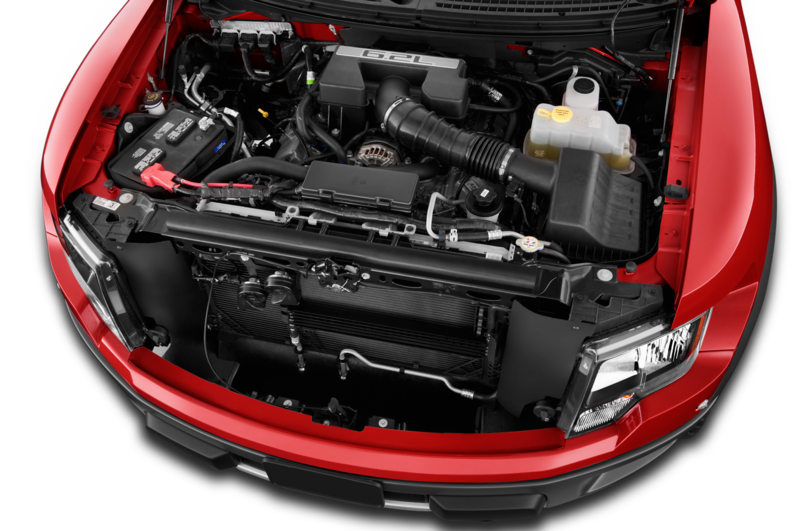 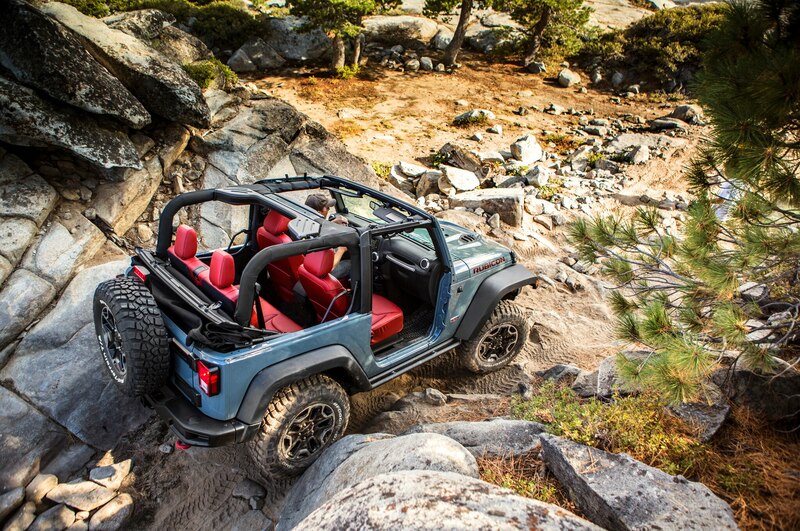 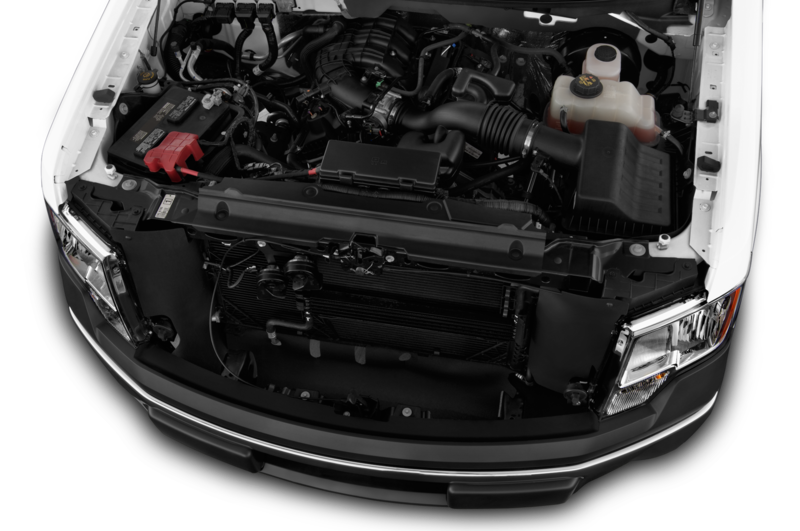 There’s only one available engine for the 2014 Jeep Wrangler, and it is again the trusty Pentastar V-6. 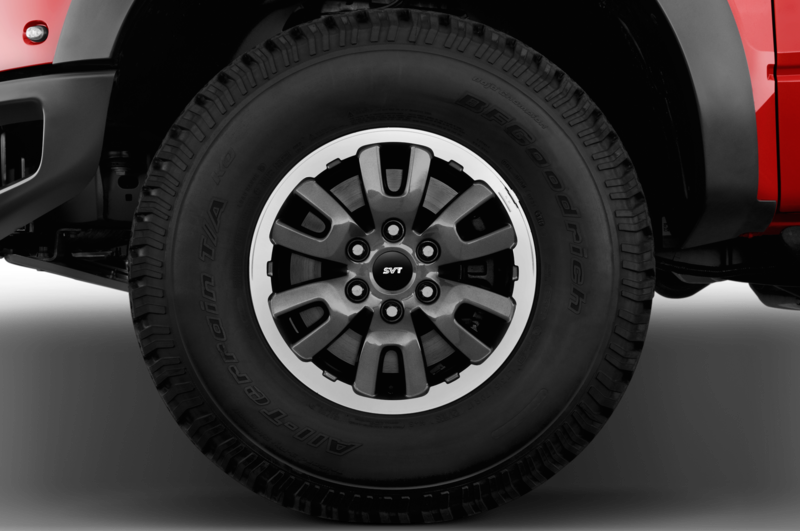 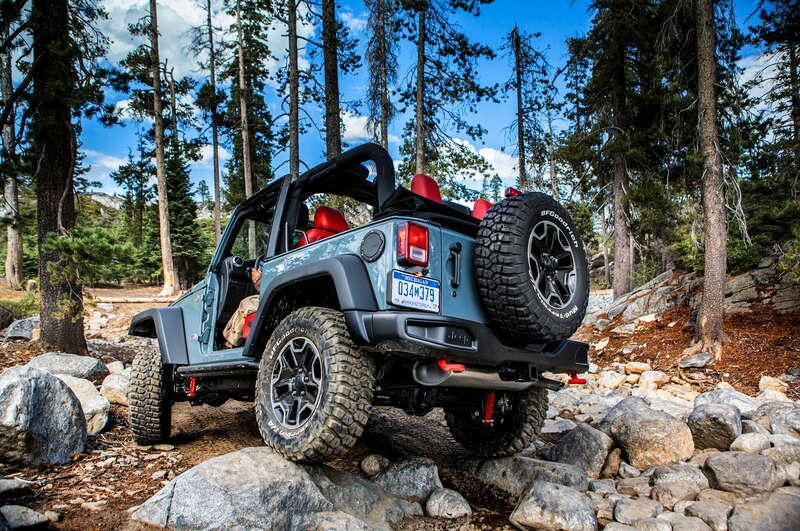 Making 285 hp in this application, it can be had in the base 2014 Jeep Wangler Sport for as little as $23,390, with a six-speed manual transmission. 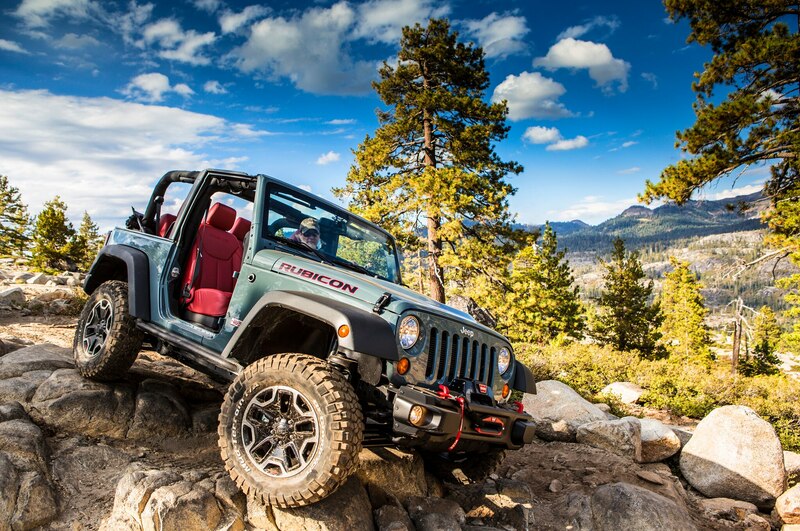 That price also includes the Wrangler’s off-road-ready 4-wheel-drive system, meaning the Wrangler’s combination of substantial grunt and all-terrain versatility can be had for not much coin. 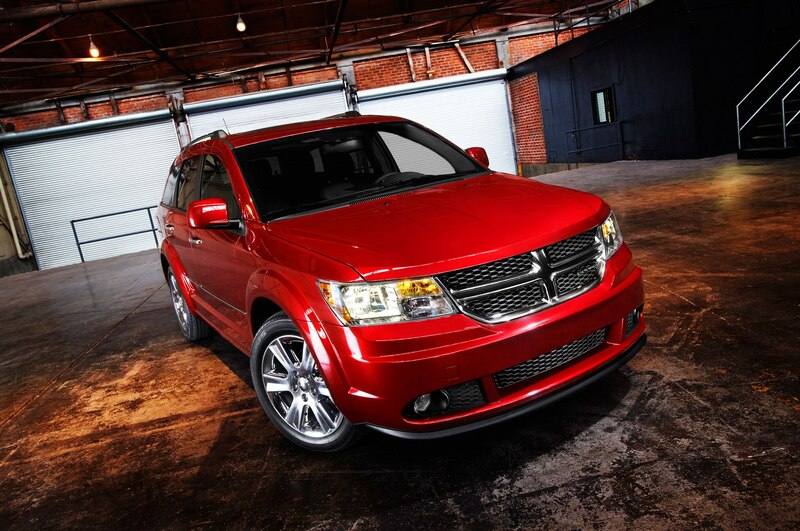 If you’ve got a big family, love the thrust of a powerful V-6, but prefer a crossover to a minivan, check out the Journey. 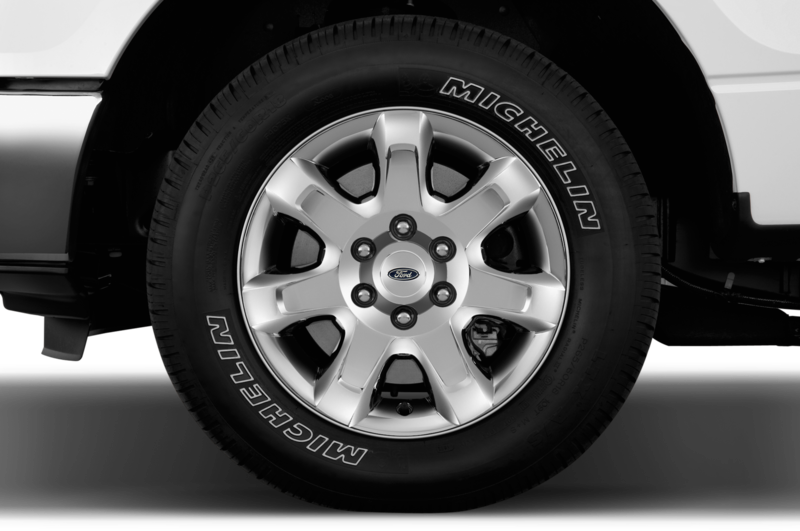 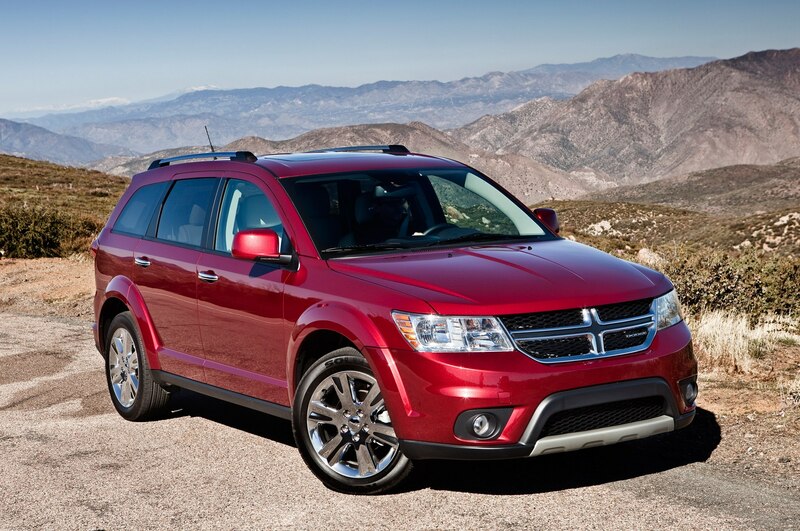 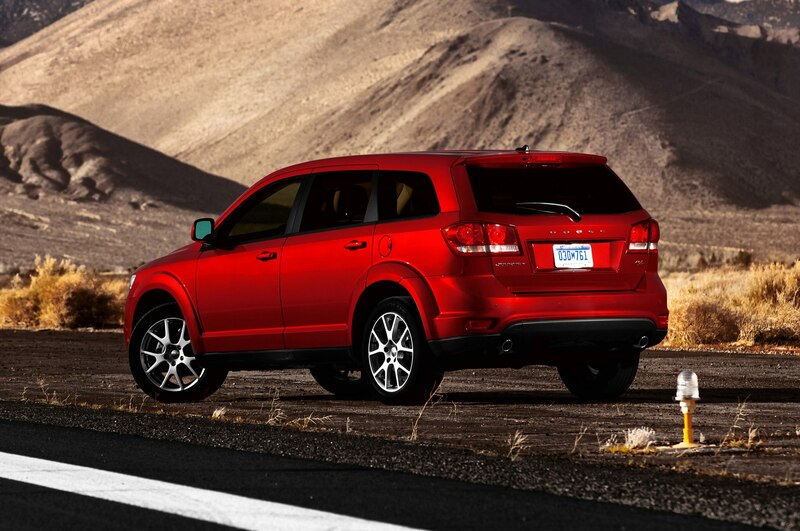 The 3.6-liter Pentastar V-6 comes cheapest in the $24,290 Journey SXT, with front-wheel drive. 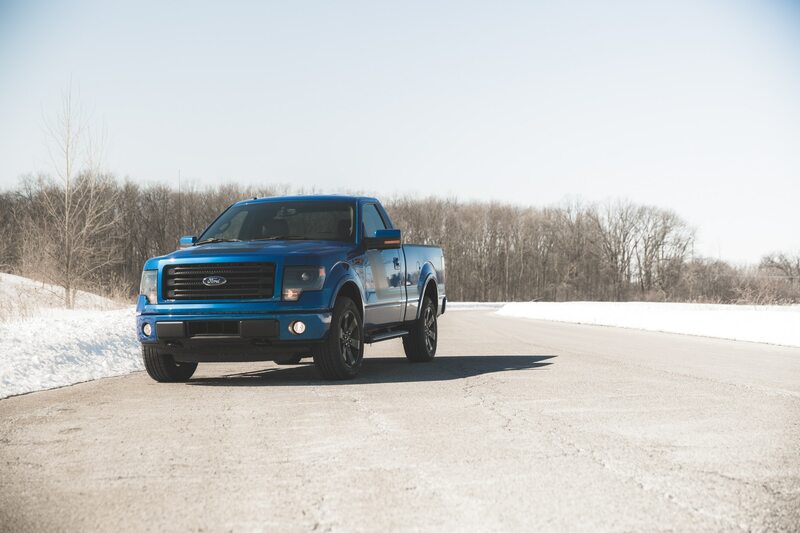 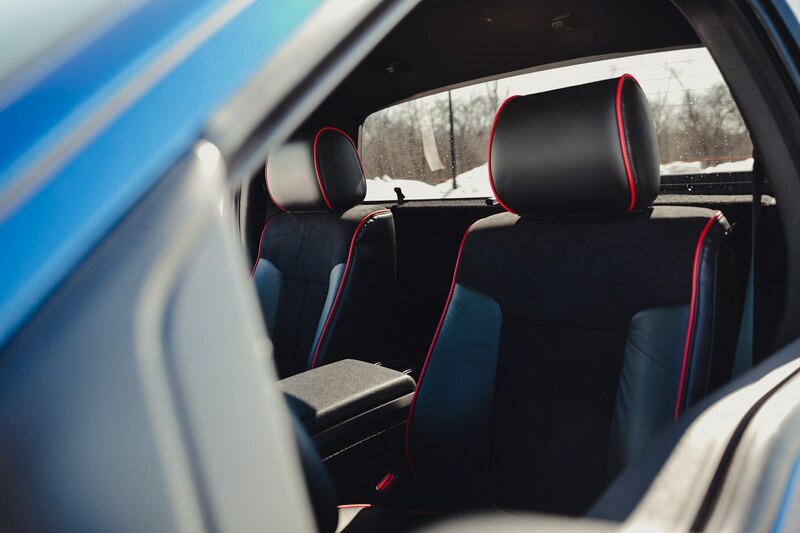 Not all horsepower is meant for tearing up the track, but the Journey’s 283 hp will be more than enough to carry all of your passengers and luggage. 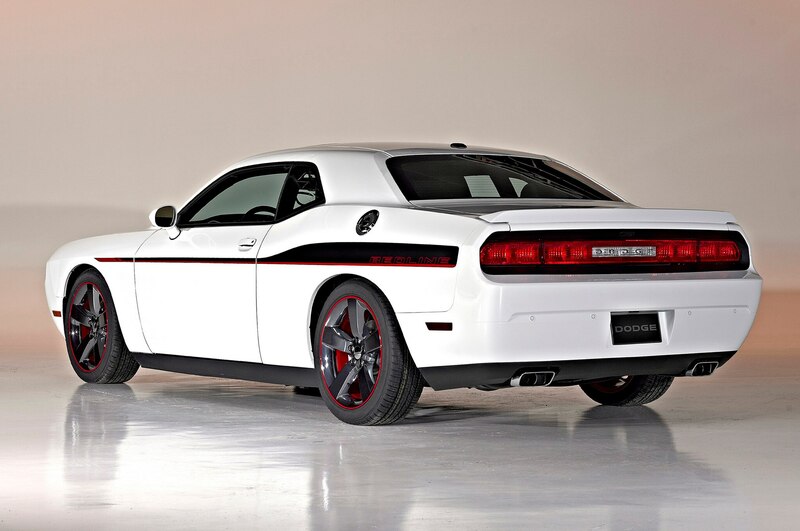 It might look the most badass among the modern American muscle cars, but its elevated price tag compared to the Mustang and Camaro pushed the Challenger to the #9 spot on our list. 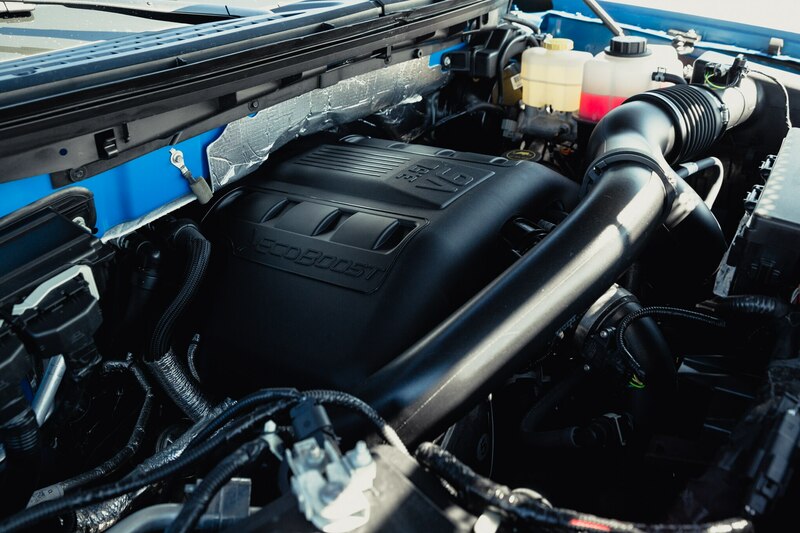 Again, the 3.6-liter Pentastar V-6 supplies the oomph, which matches the Mustang’s at 305 hp. 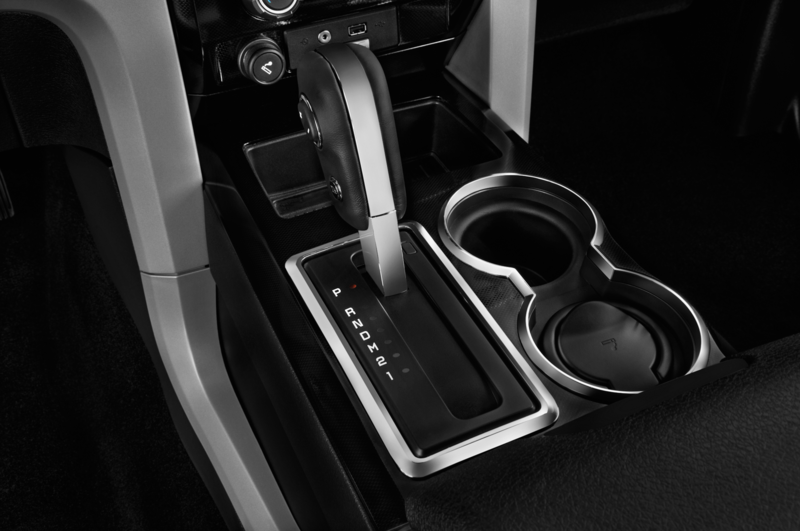 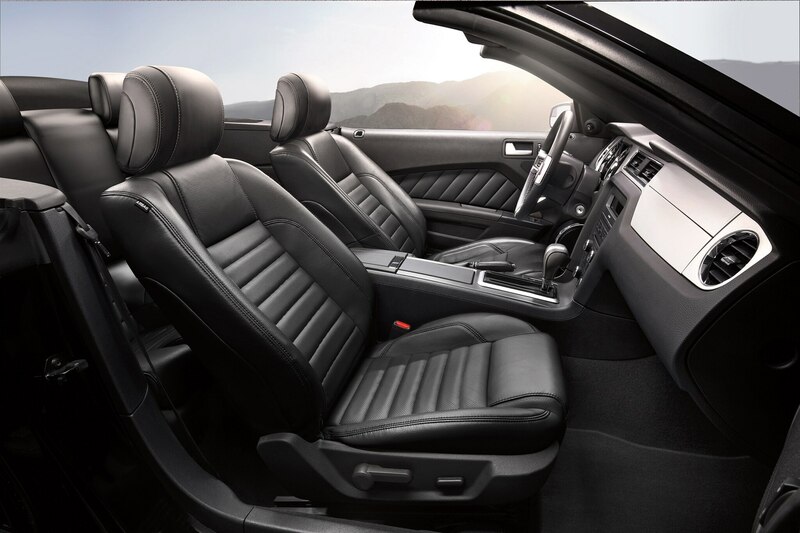 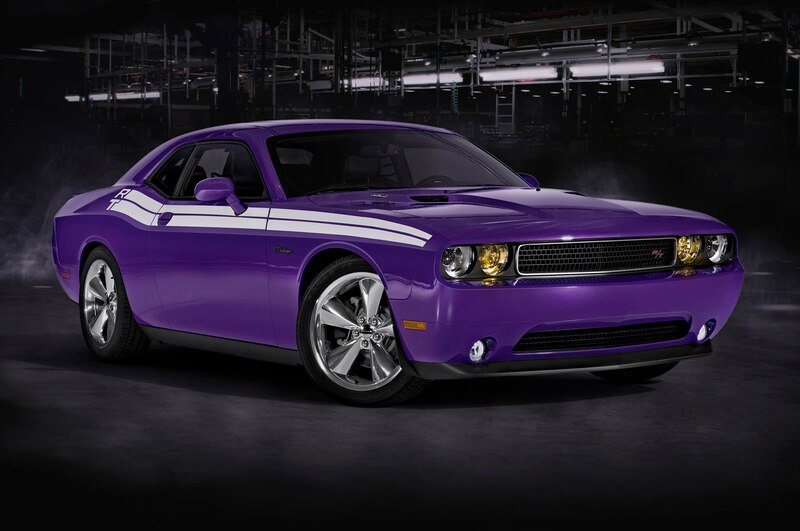 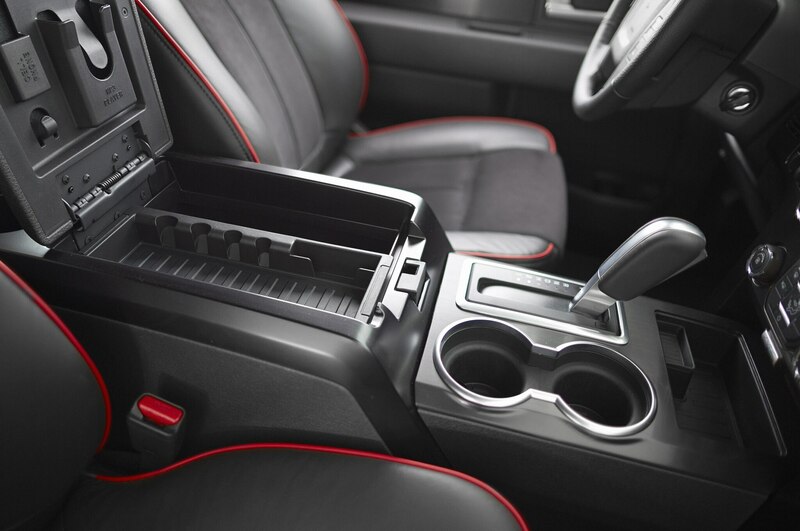 In base SXT trim, the Challenger gets a five-speed automatic transmission and a starting price of $27,490. 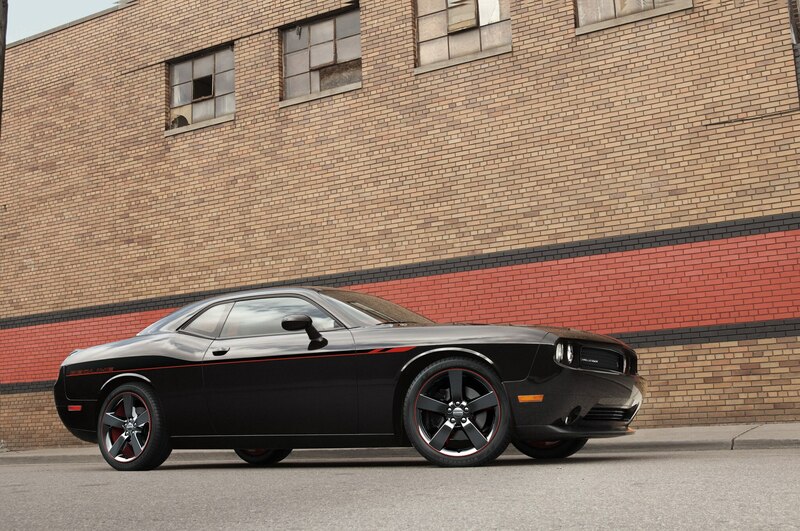 It’s nowhere near the hellacious 707 hp that’ll come with the 2015 Dodge Challenger SRT Hellcat, but it also costs a whole lot less. 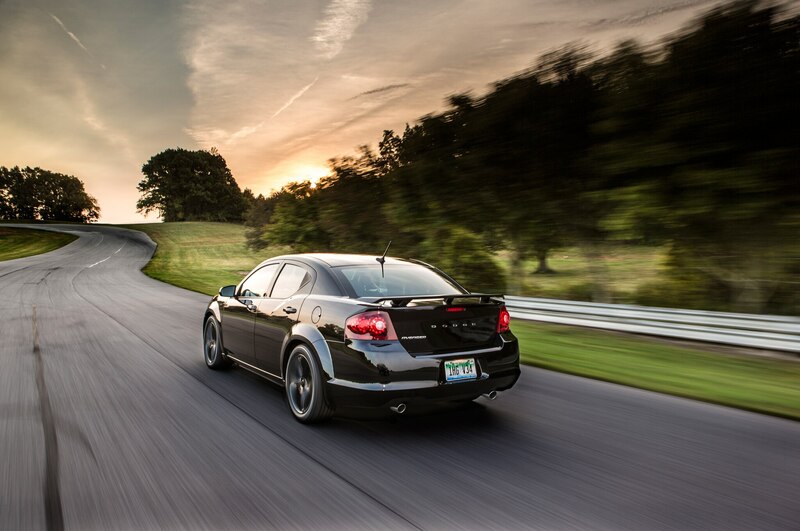 The Hellcat is expected to ring in at around $55,000. 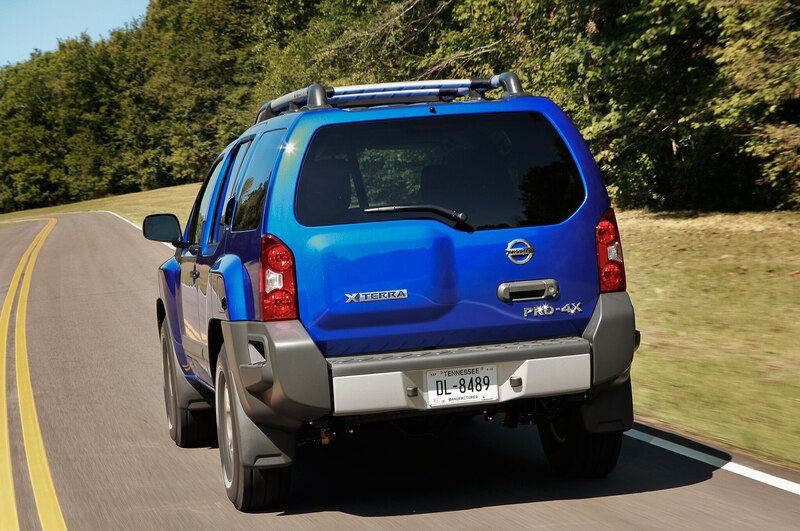 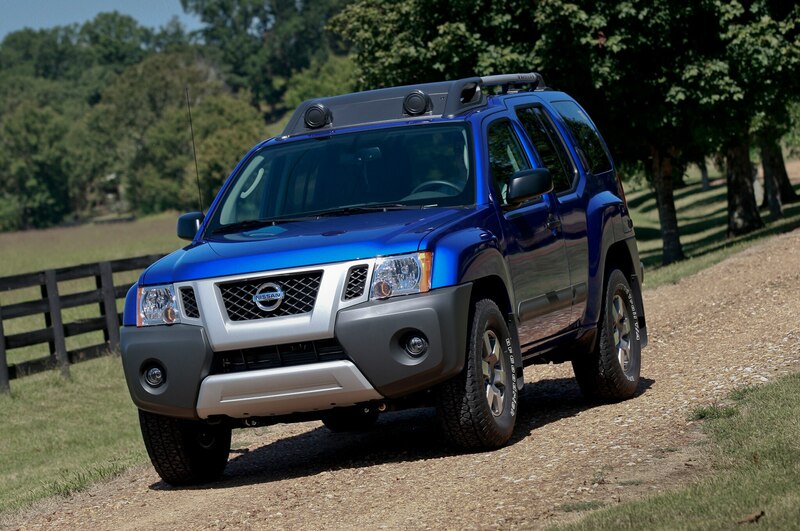 Sneaking into the last slot is the Nissan Xterra, the only import-brand vehicle to make our list. 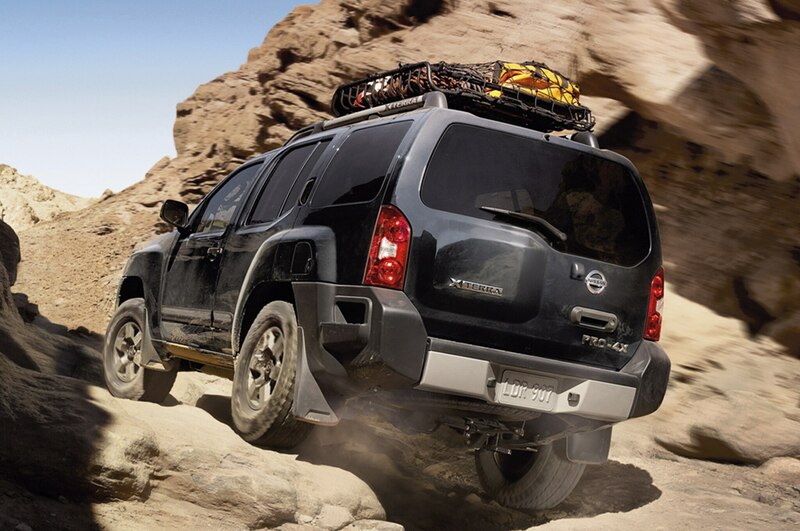 The Xterra was also the biggest surprise—we’d nearly forgotten that the 4×2 Nissan Xterra X musters 261 hp from a 4.0-liter V-6 for just $24,250. 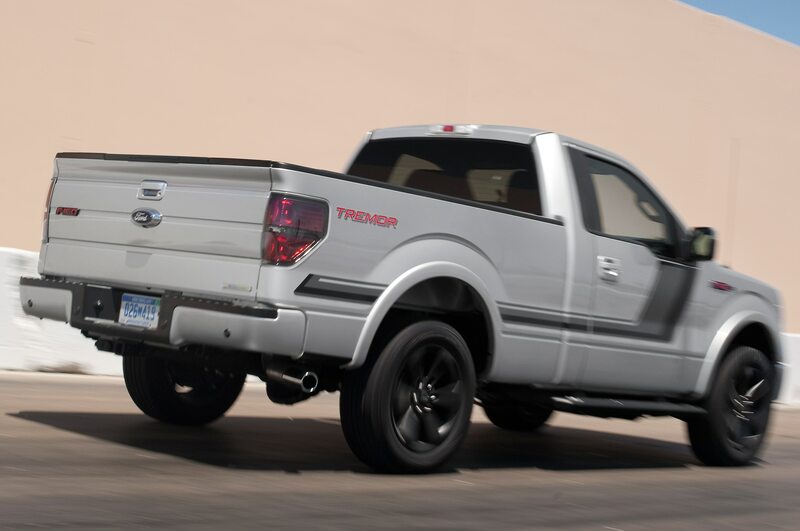 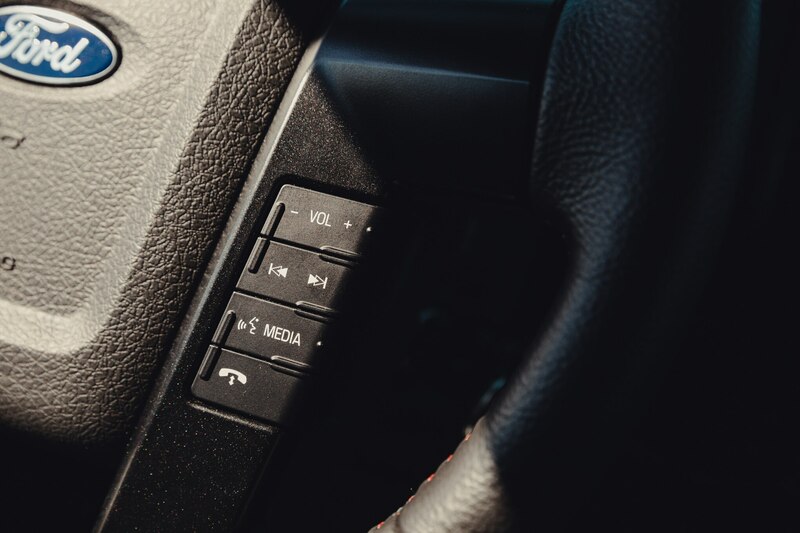 Even more surprising is what the Xterra beat out for the #10 spot—the Chevrolet Silverado/GMC Sierra pickups, the Dodge Charger V-6, the Ford Focus ST, and the Subaru WRX. 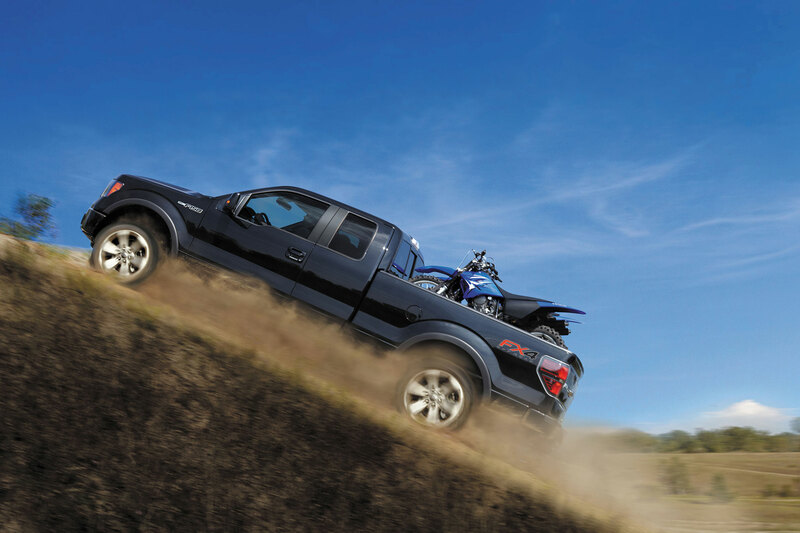 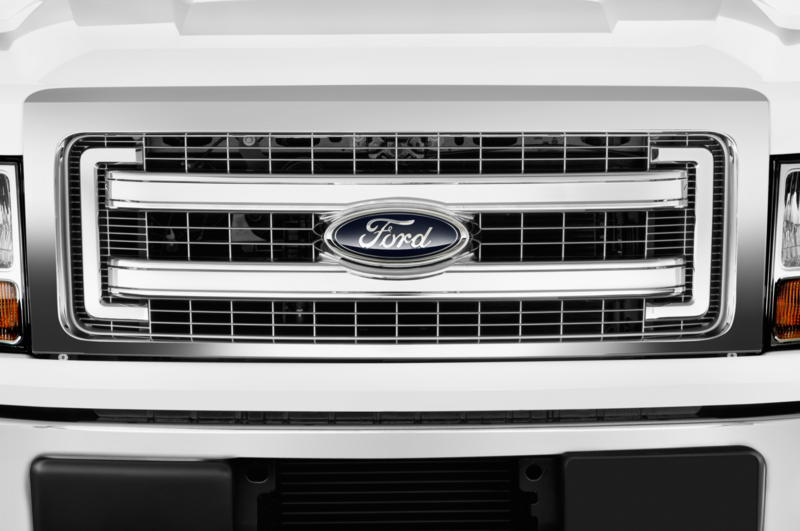 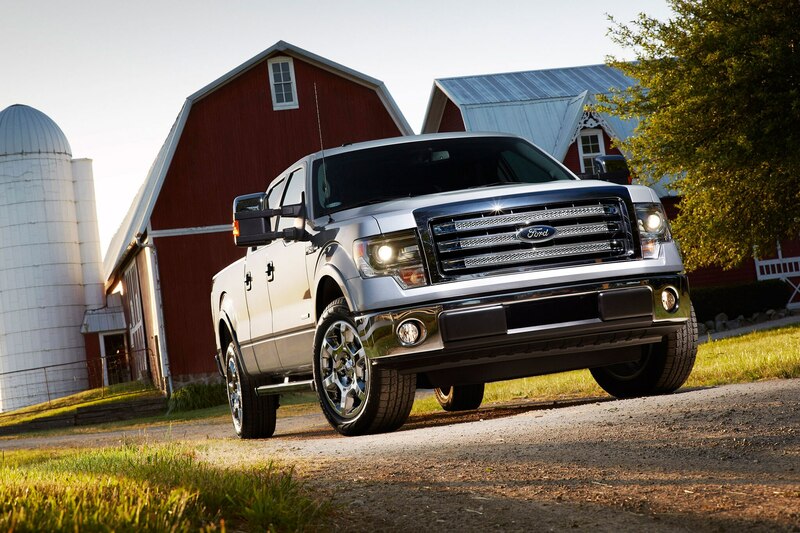 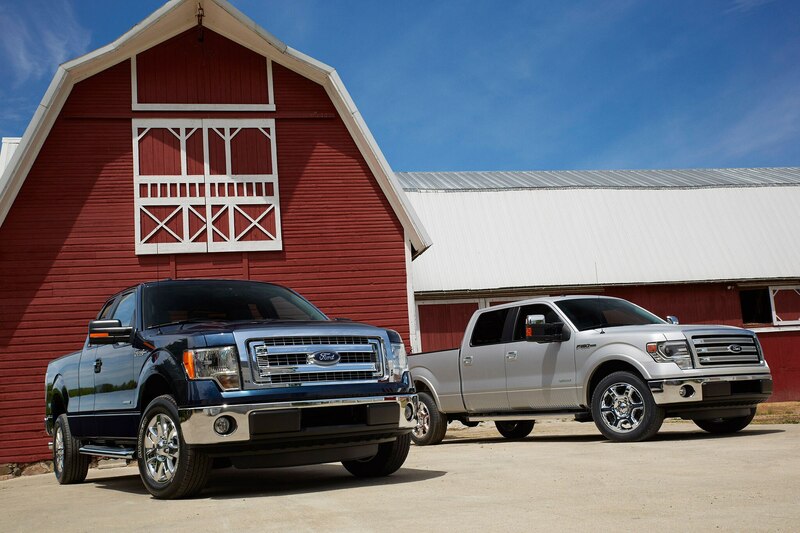 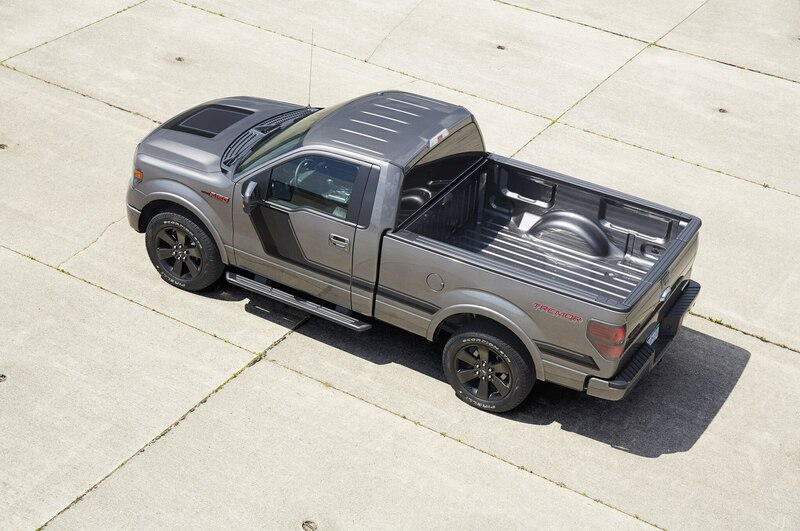 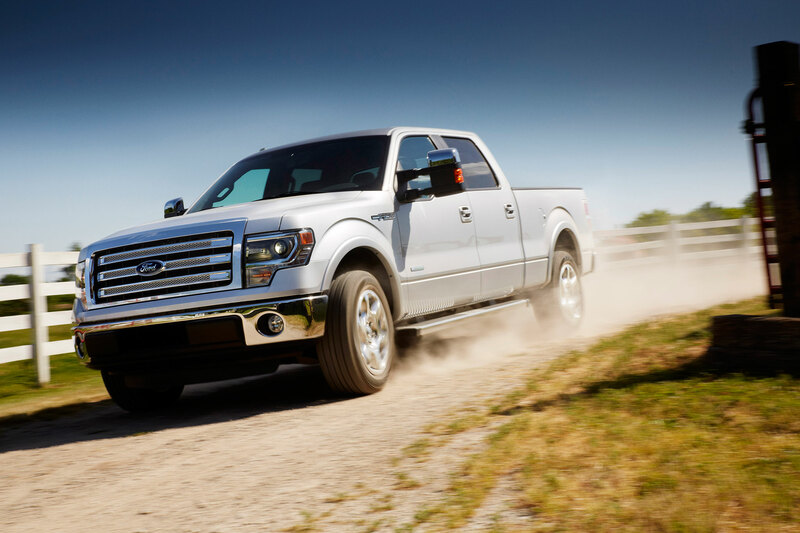 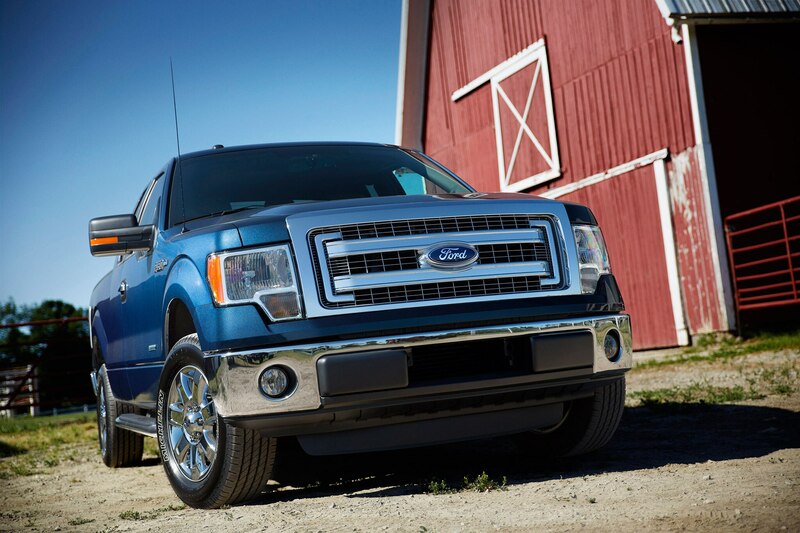 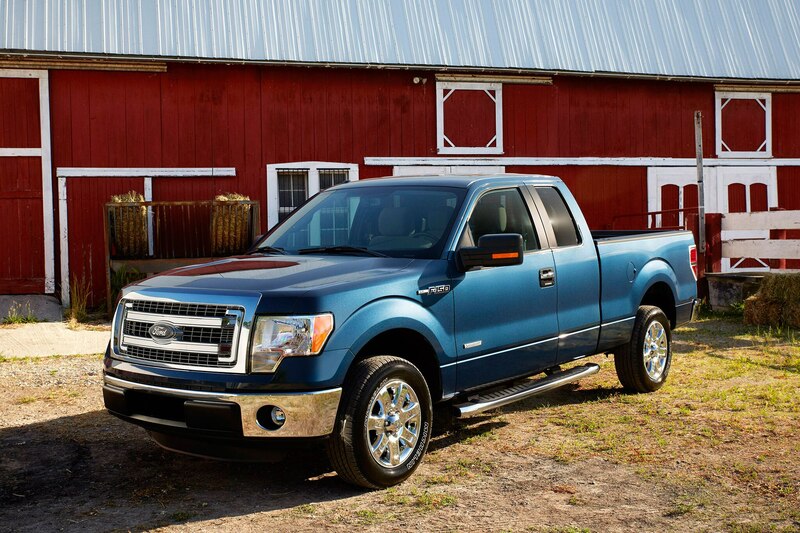 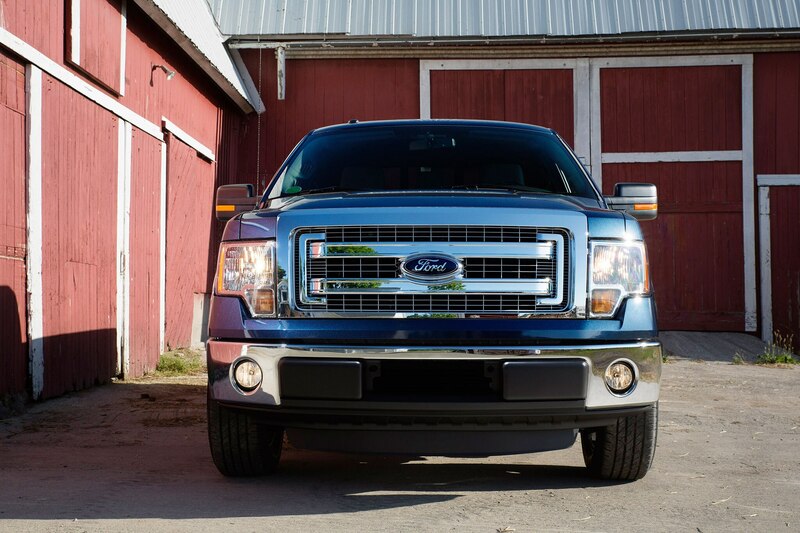 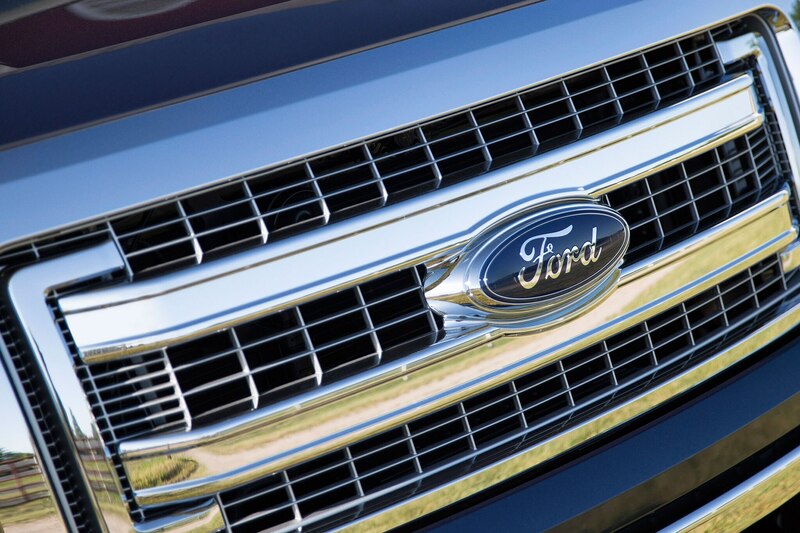 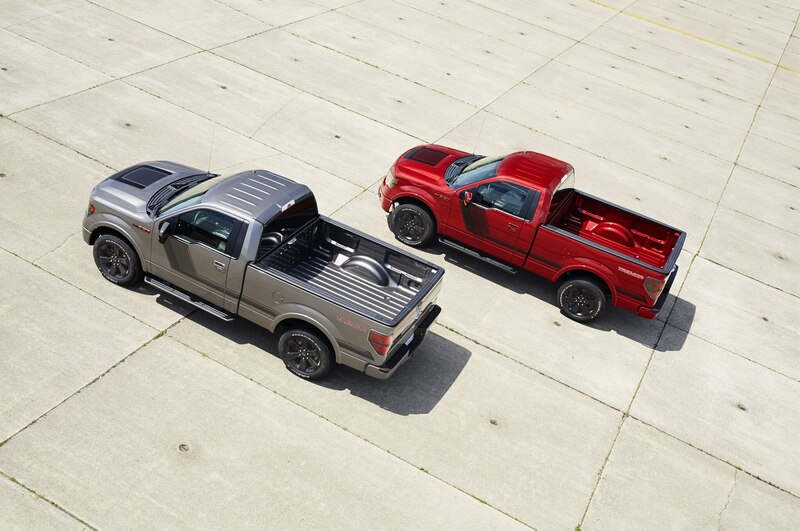 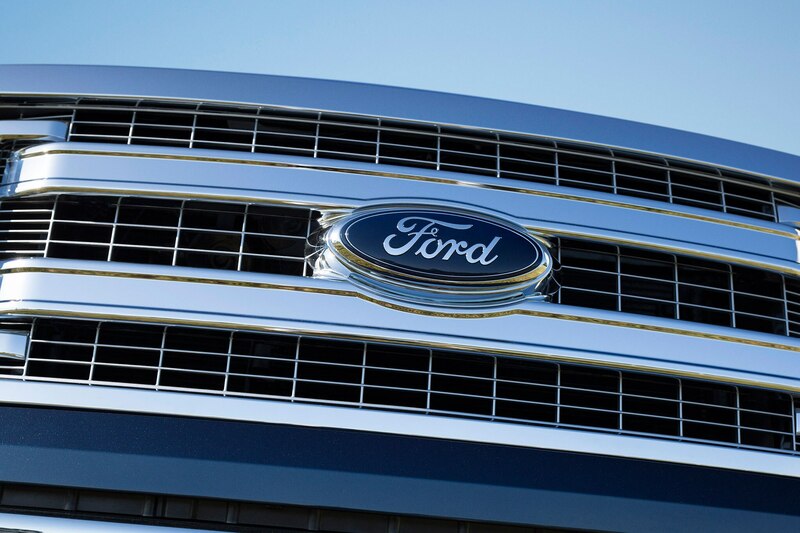 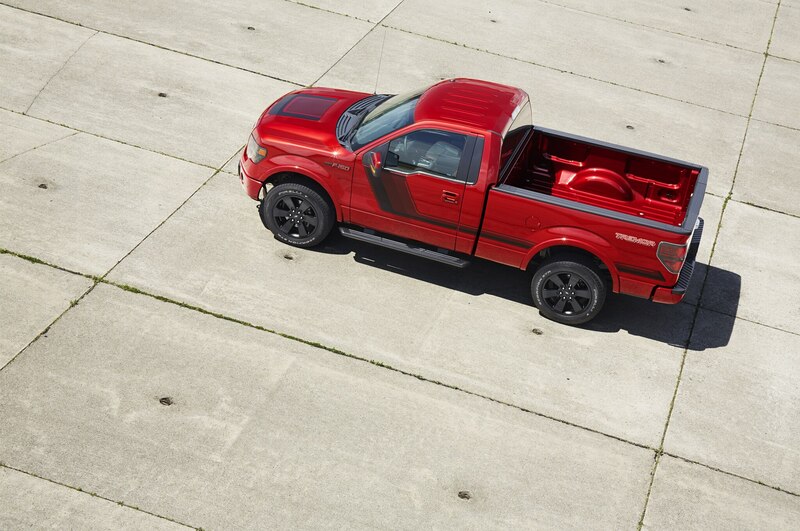 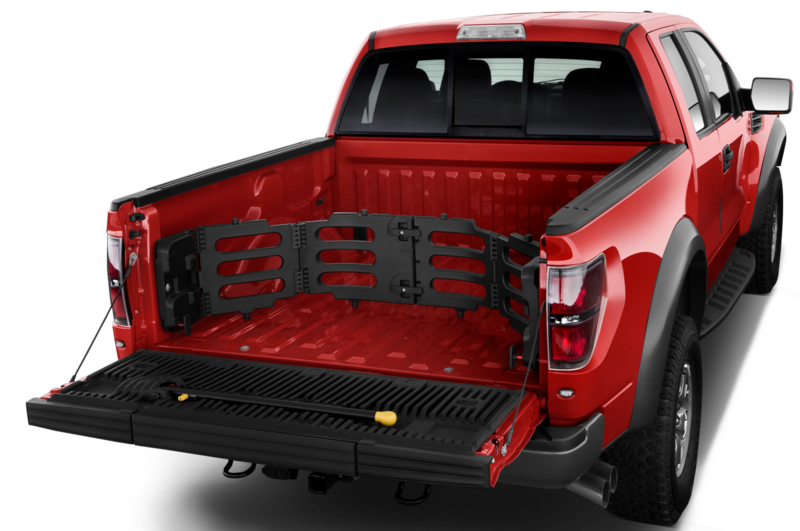 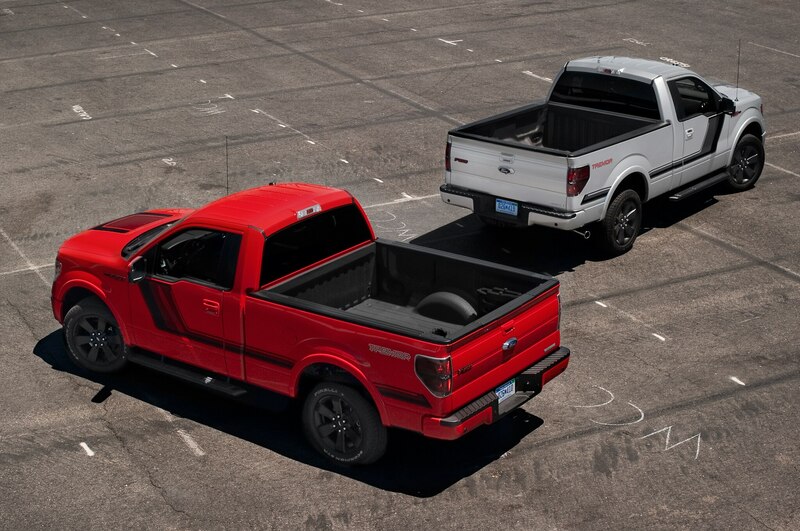 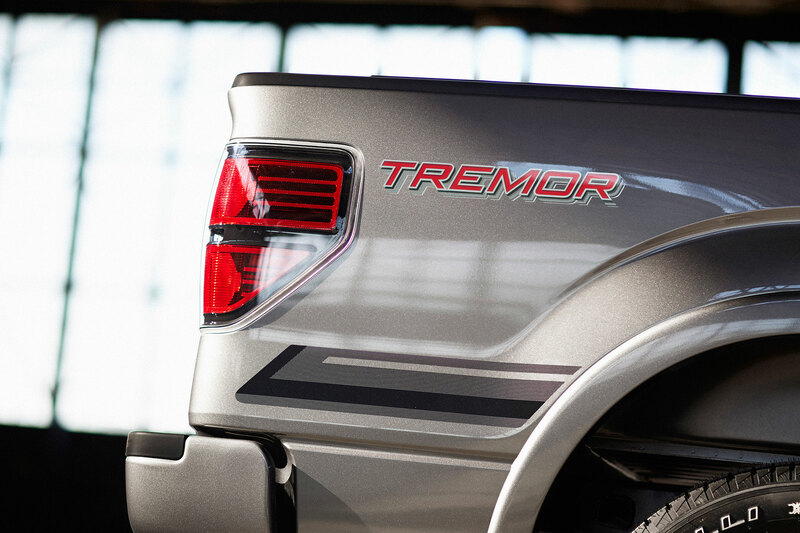 The truck was once again the best-selling vehicle in America.